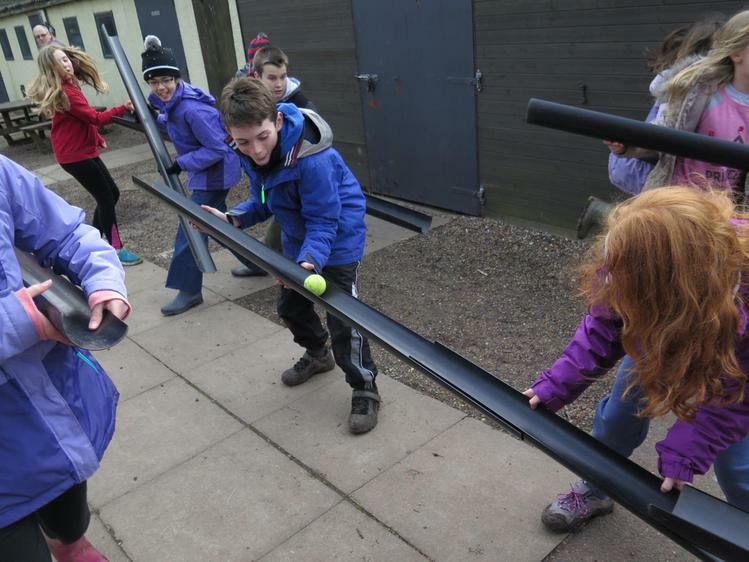 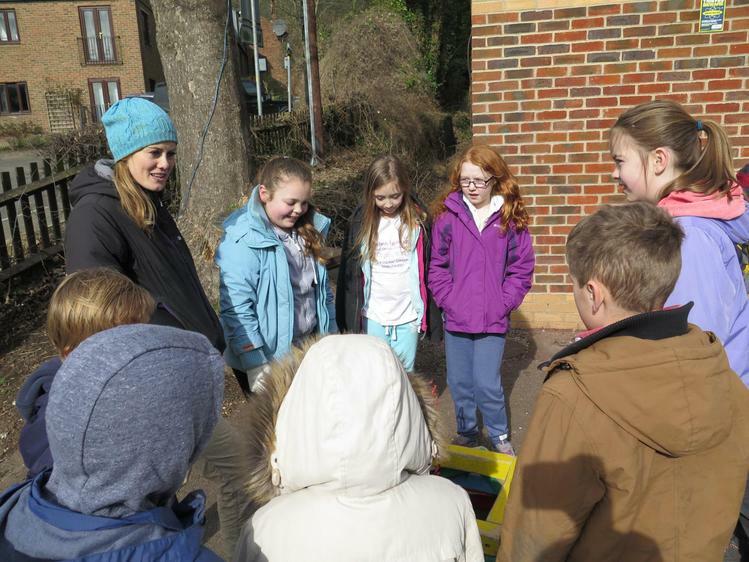 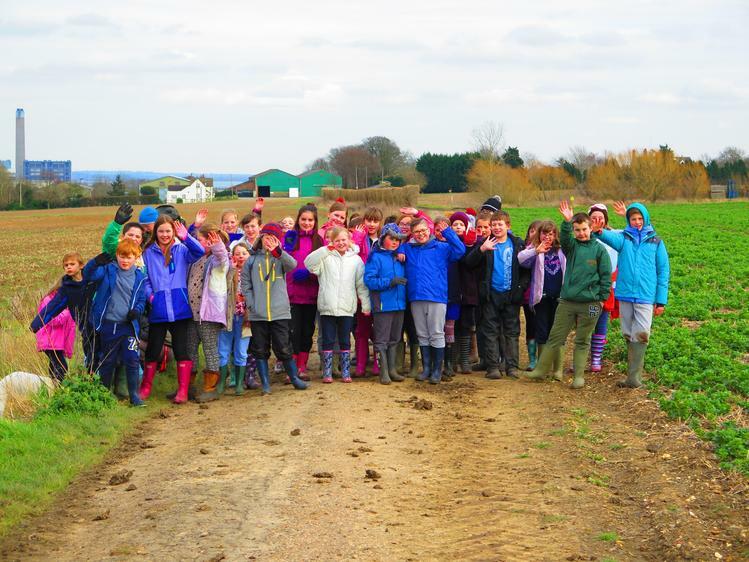 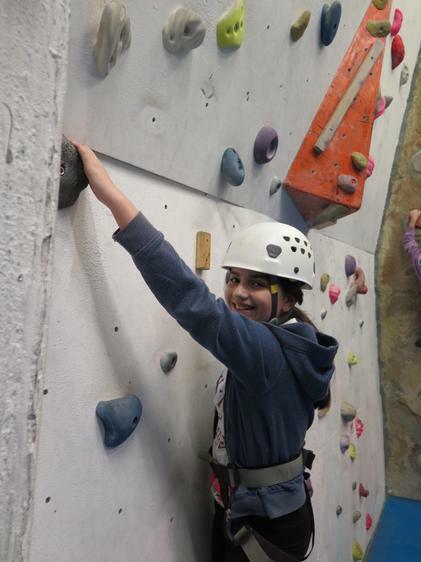 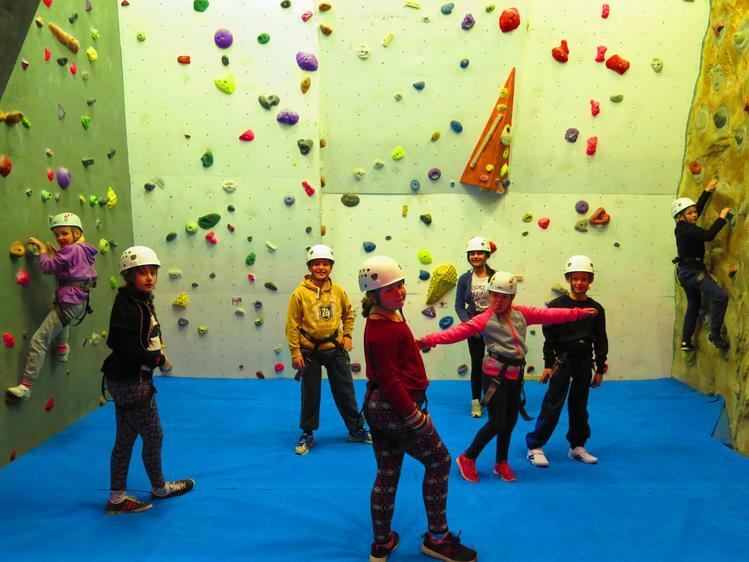 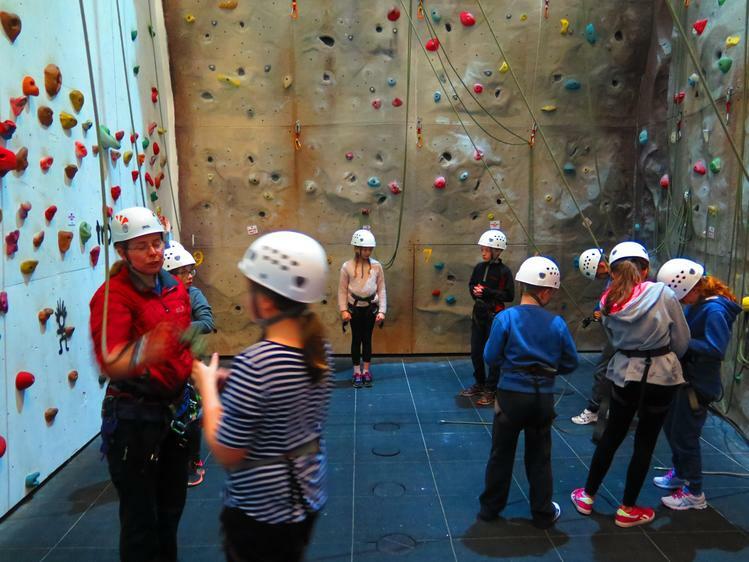 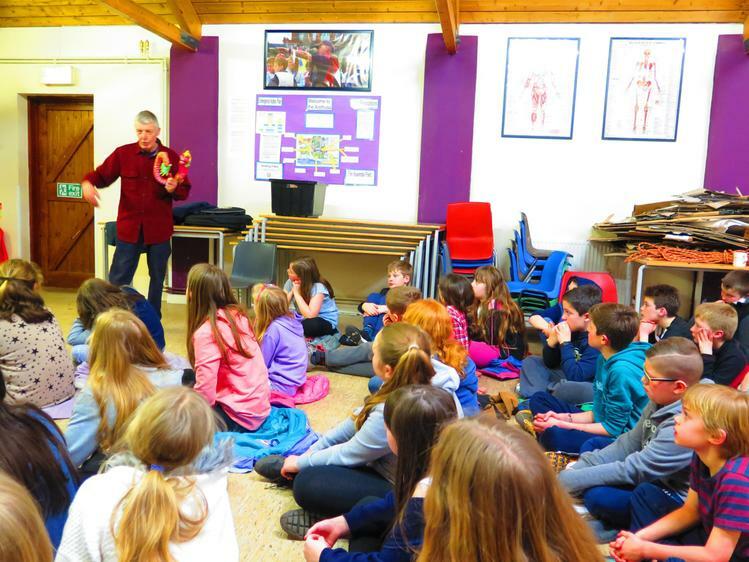 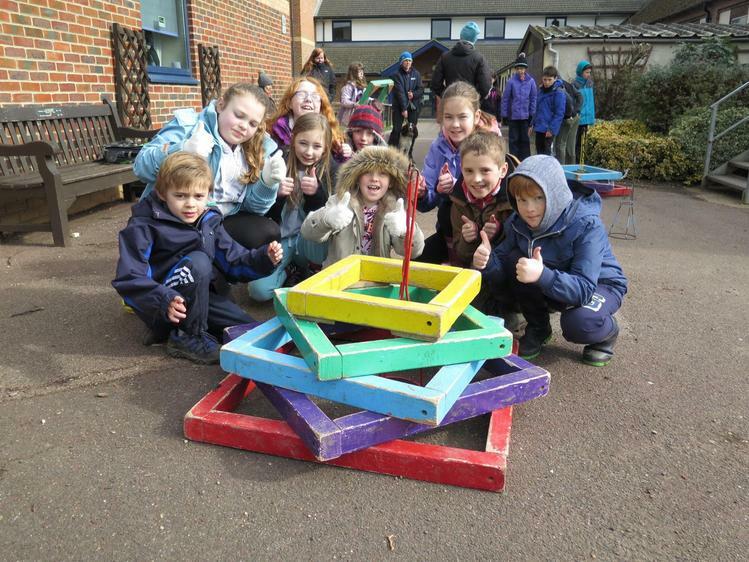 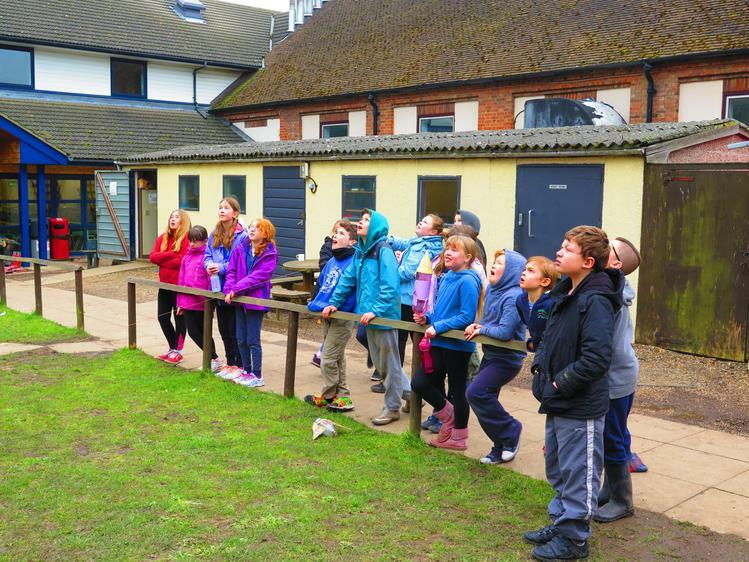 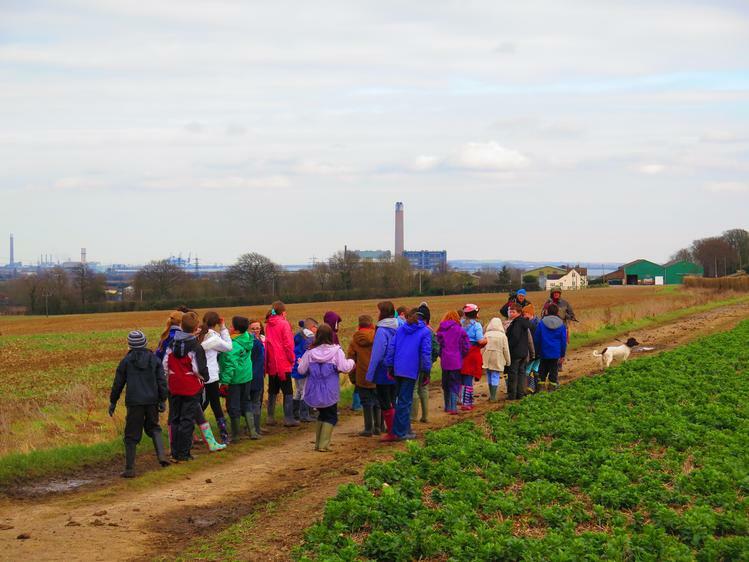 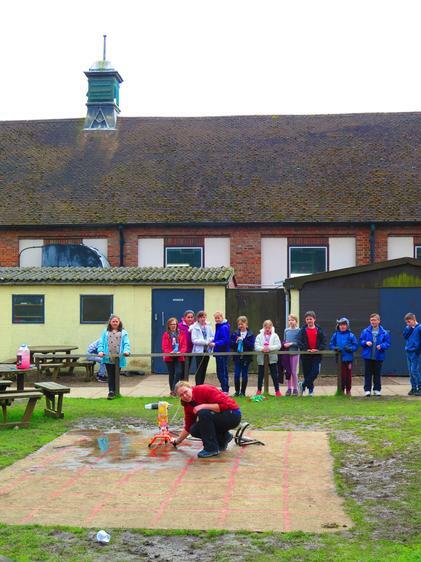 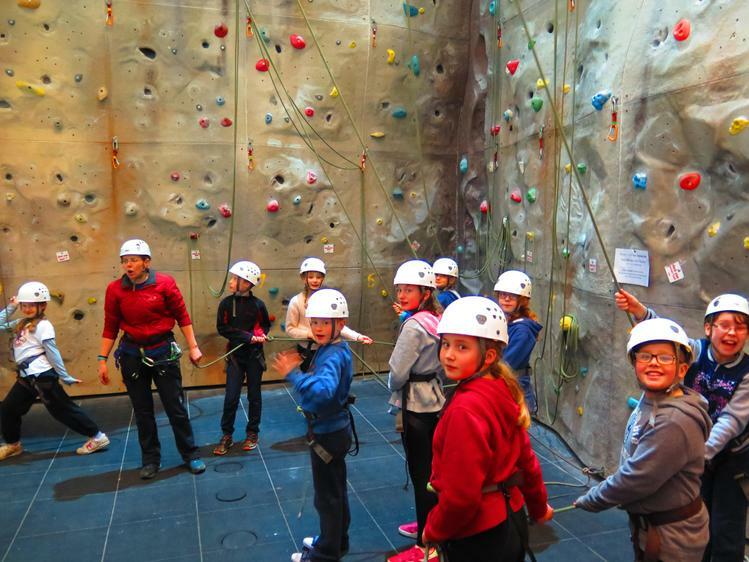 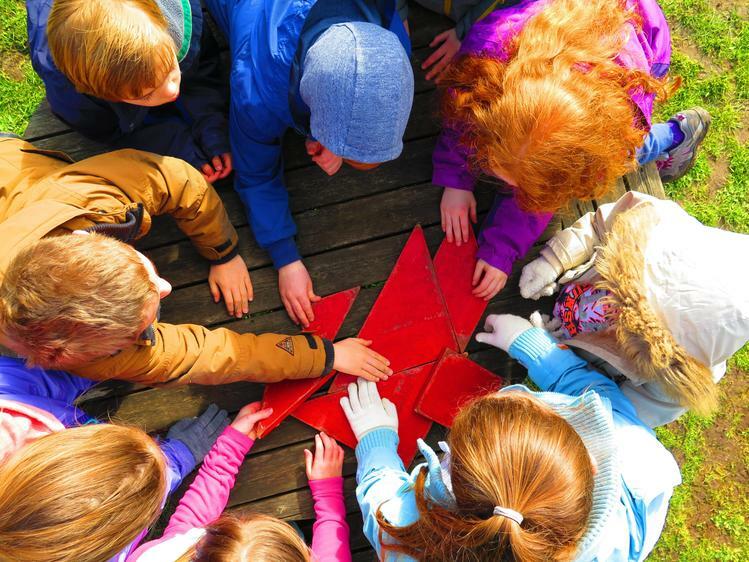 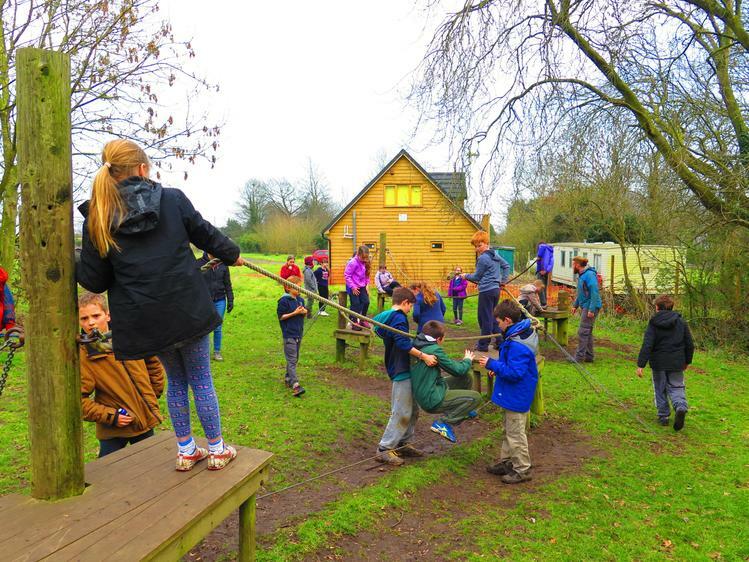 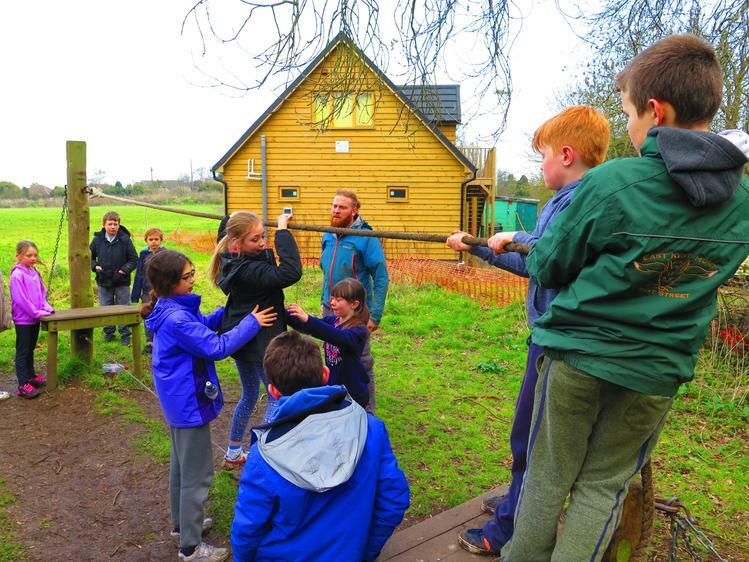 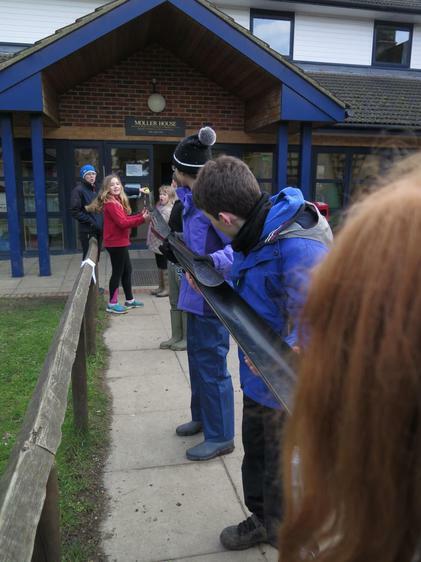 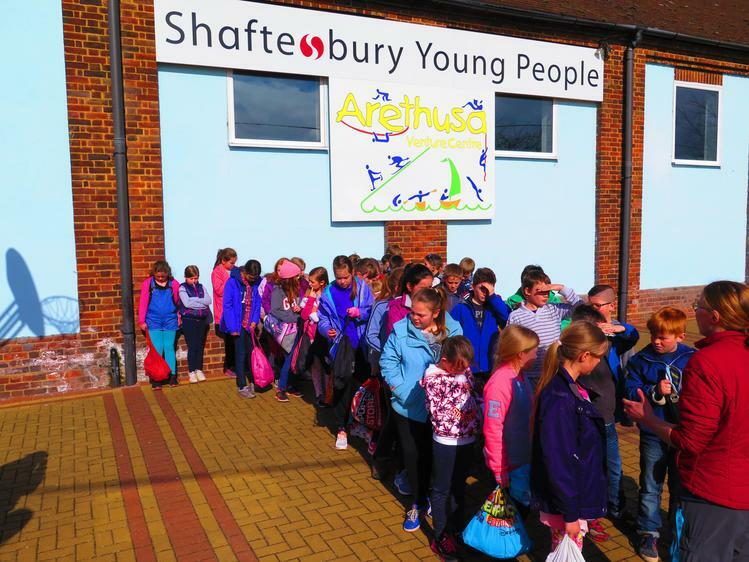 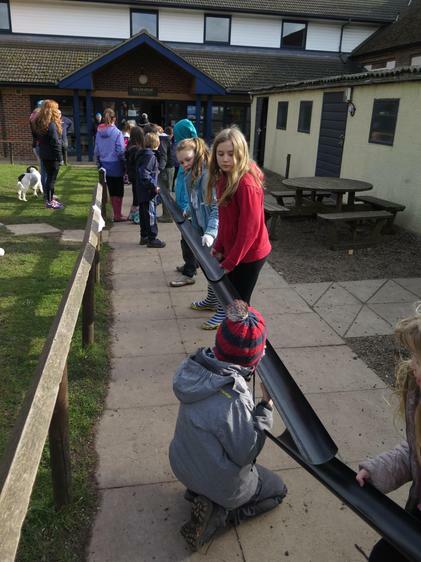 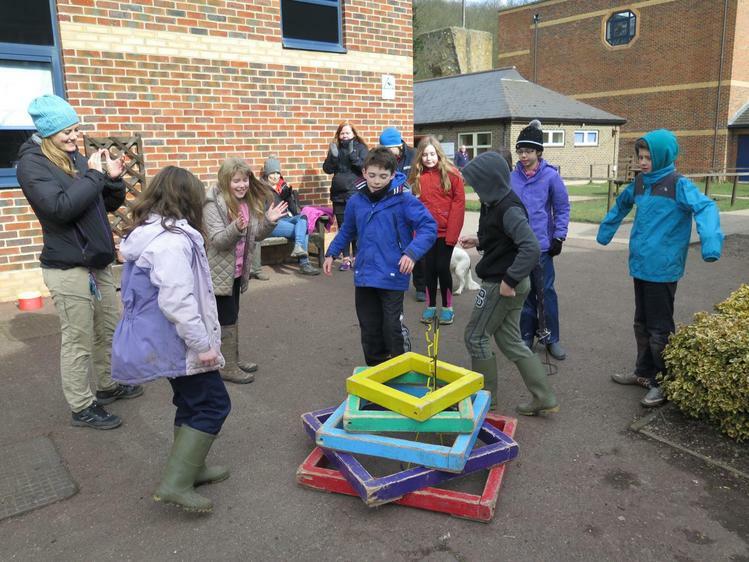 Years 5 and 6 are very excited to be heading off for a week of exciting activities at the Arethusa Venture Centre on Monday 26th February. 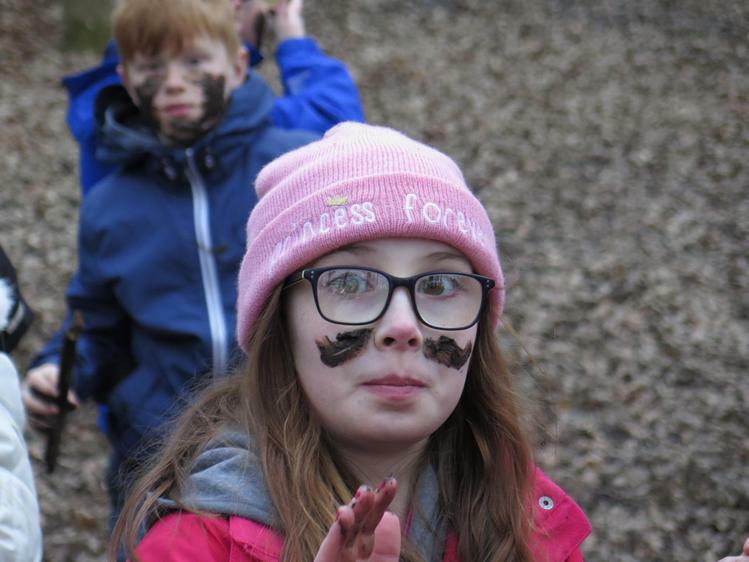 Despite the forecast of snow and potential blizzards later in the week, we shall wrap up warm and drink plenty of hot chocolate! 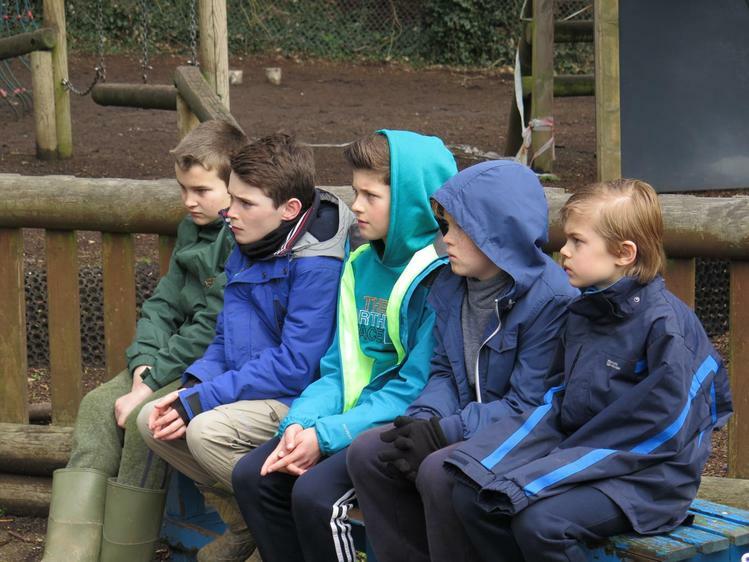 Daily updates will appear each evening, so keep checking back to see what we have been up to each day. 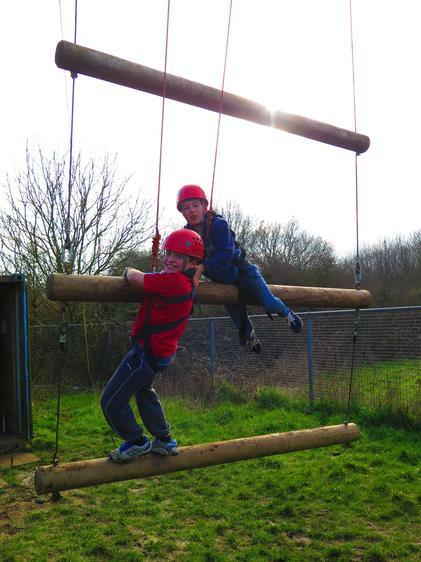 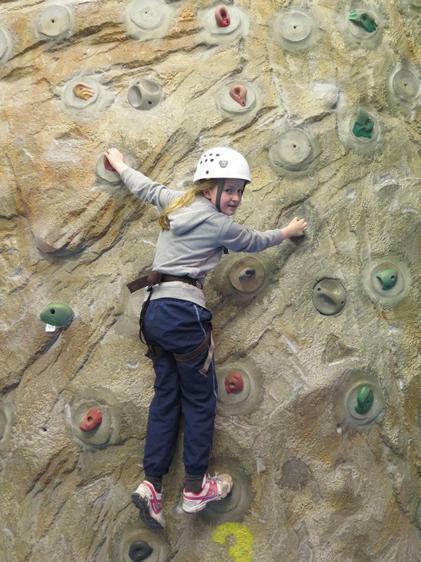 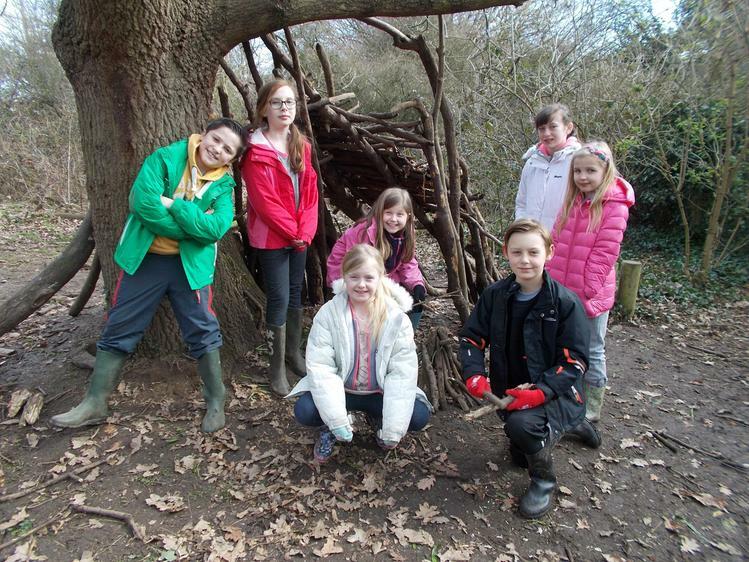 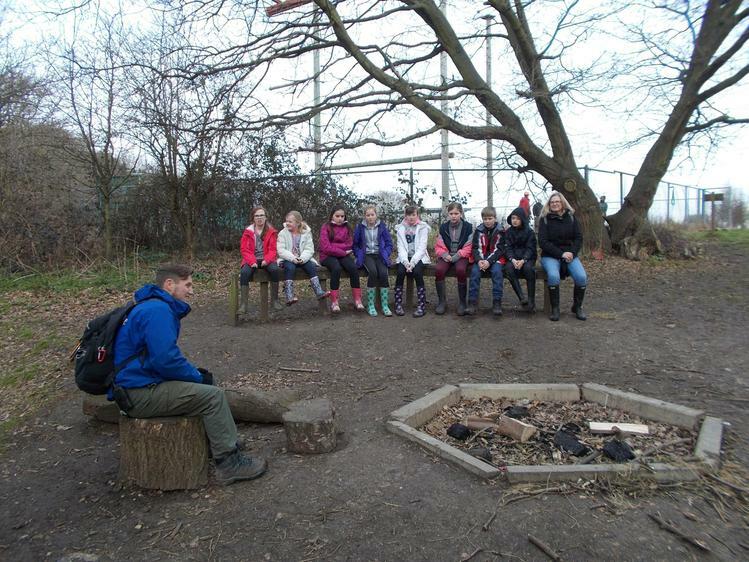 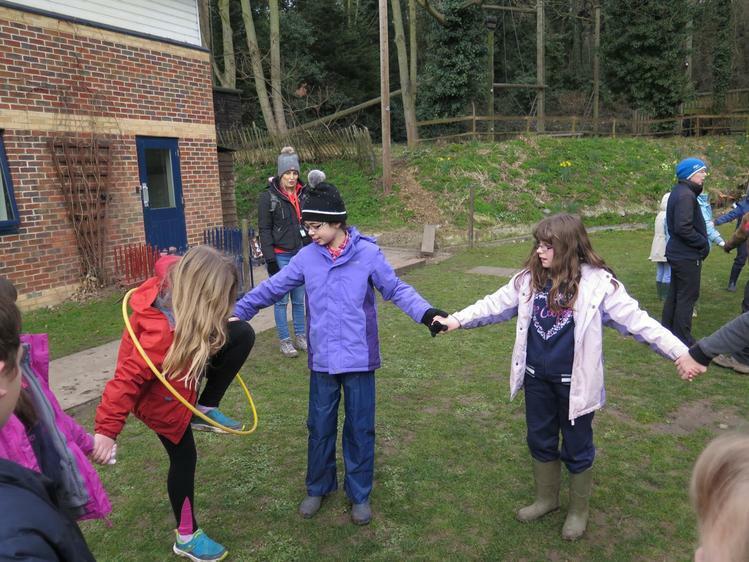 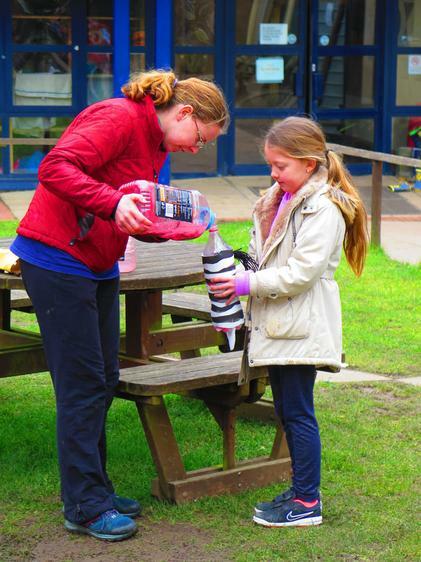 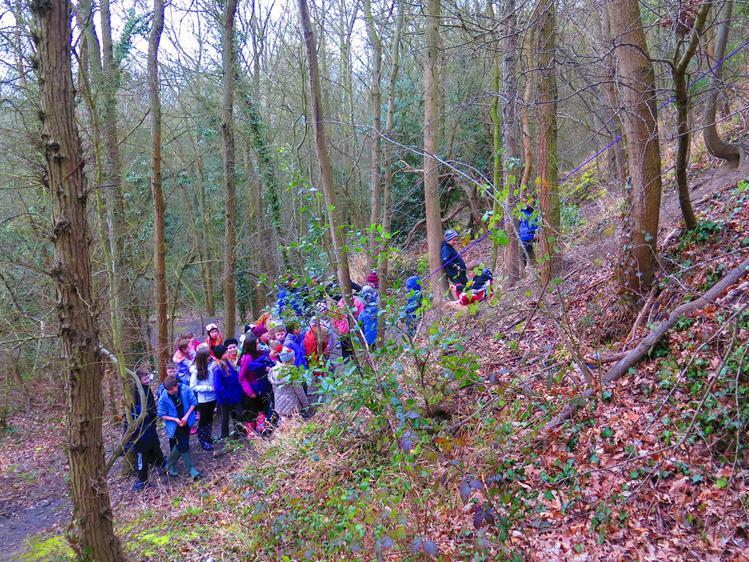 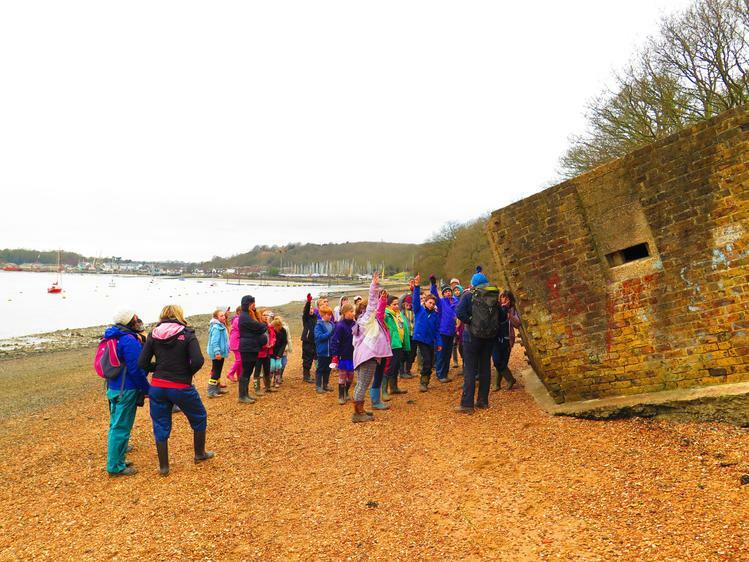 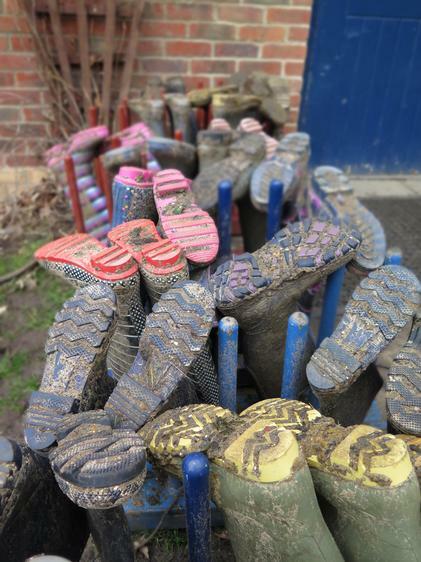 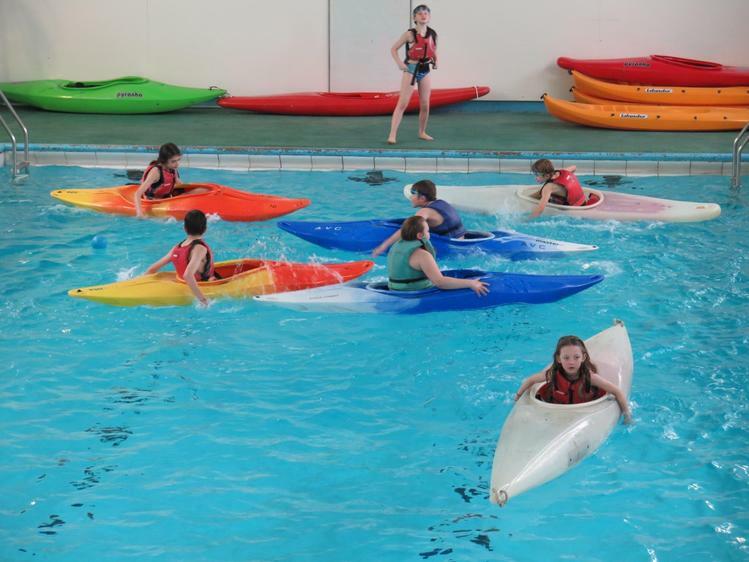 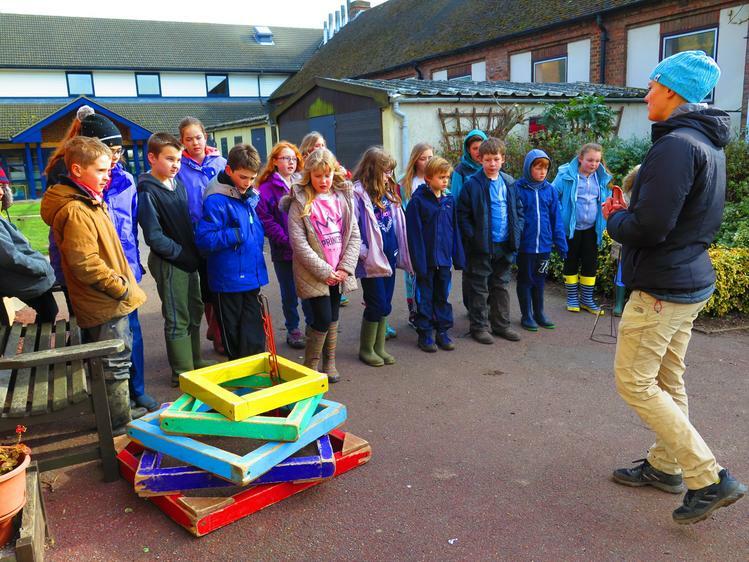 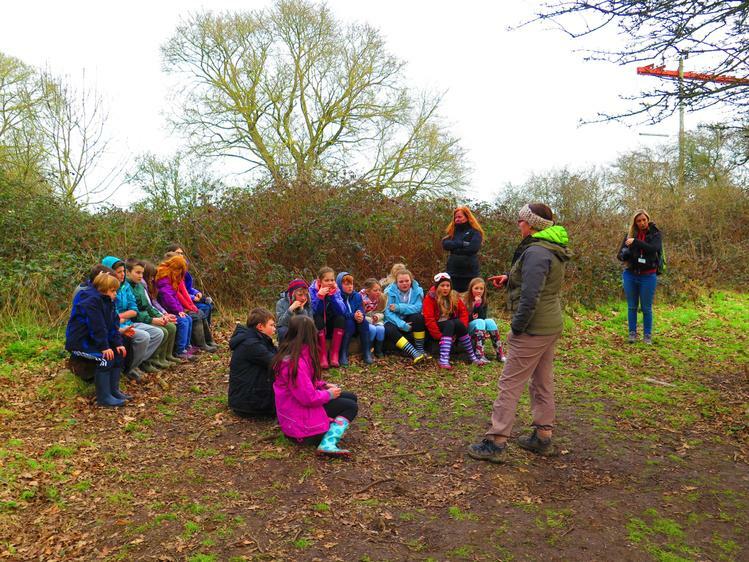 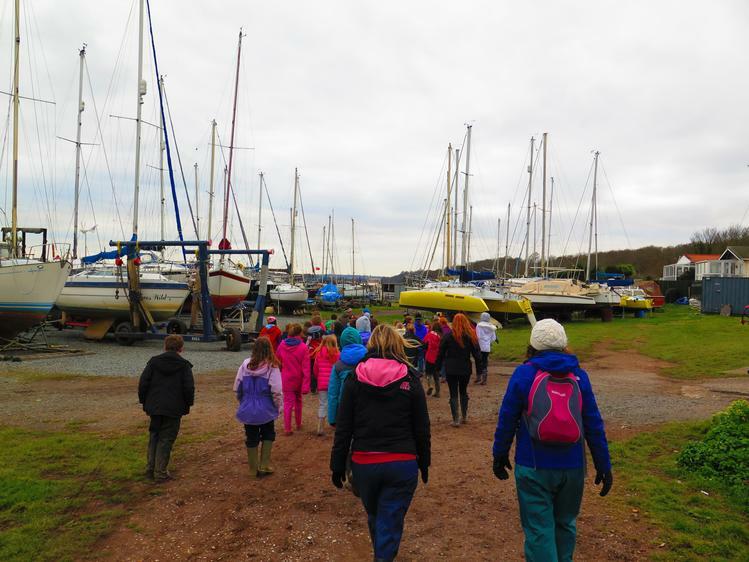 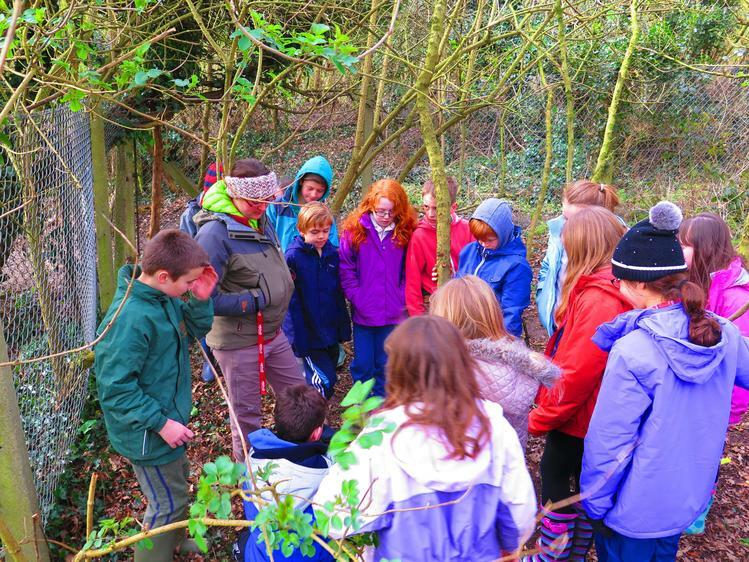 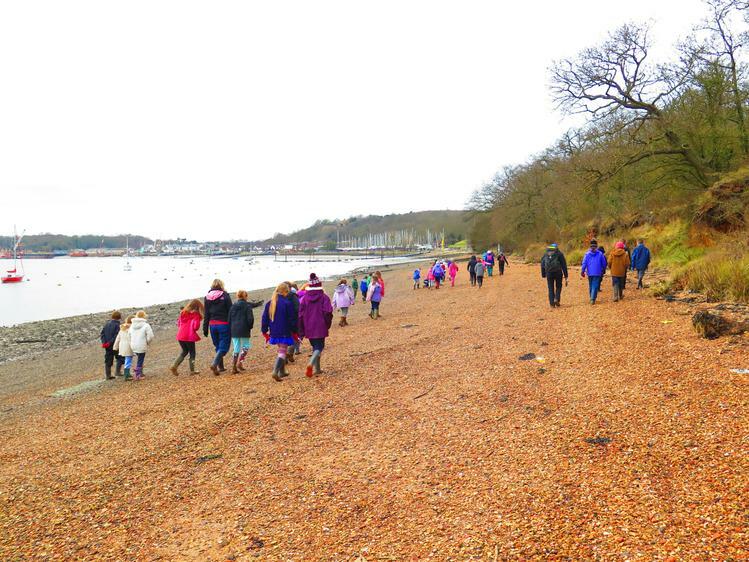 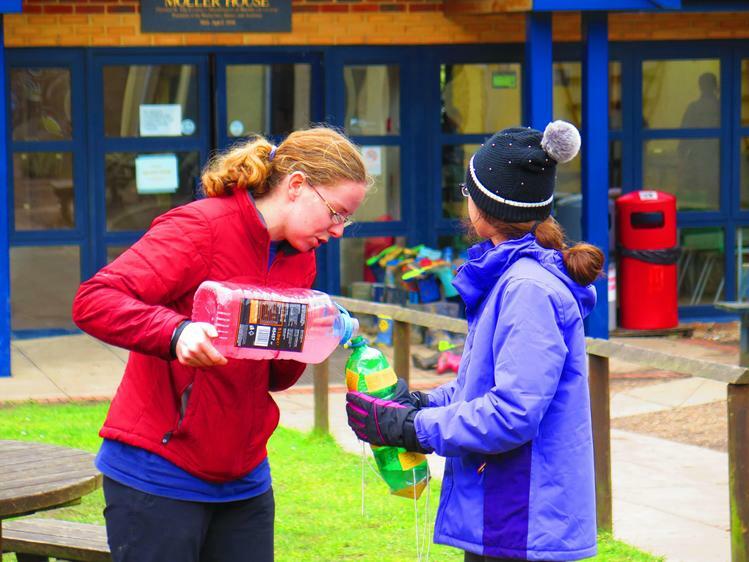 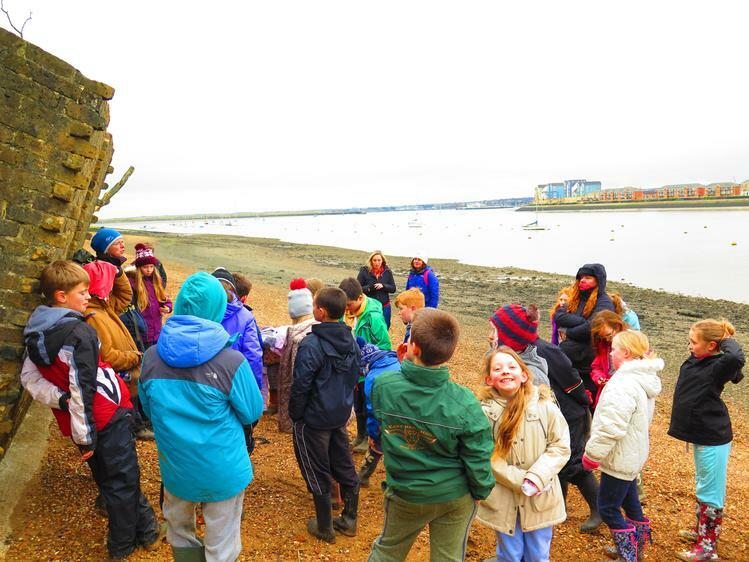 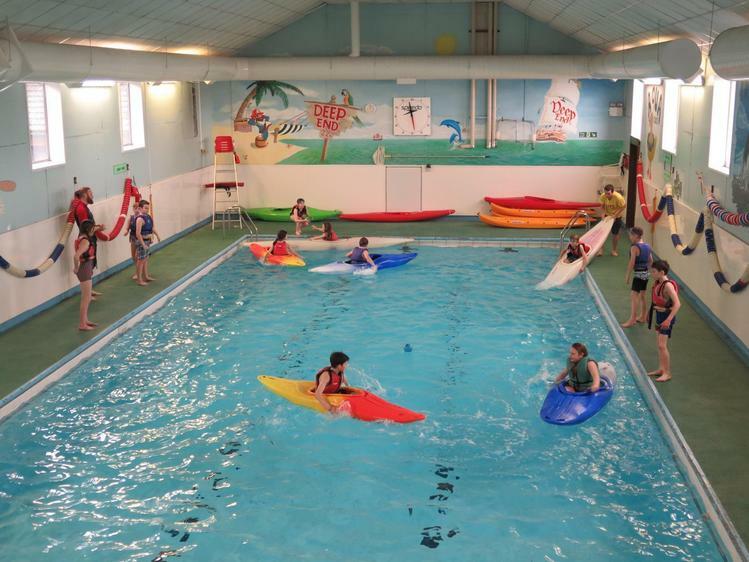 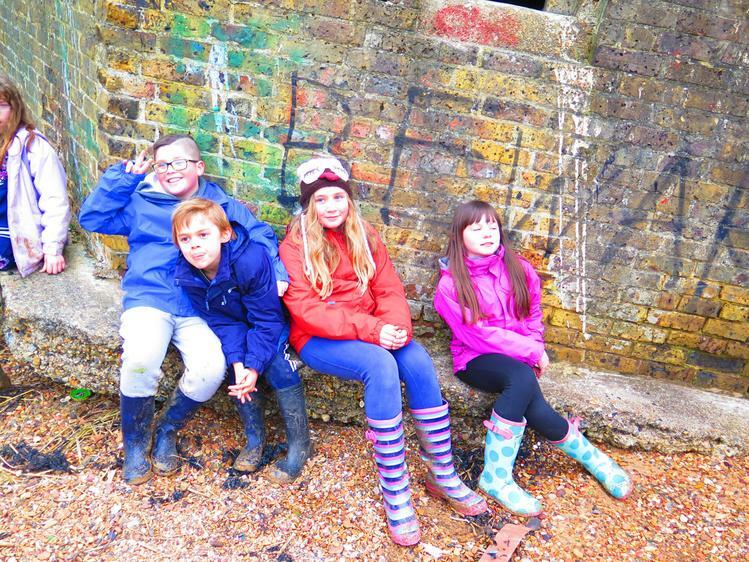 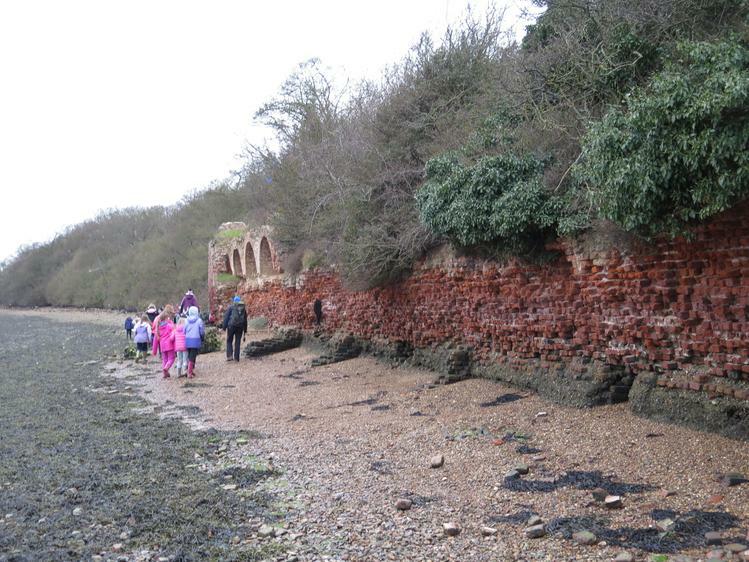 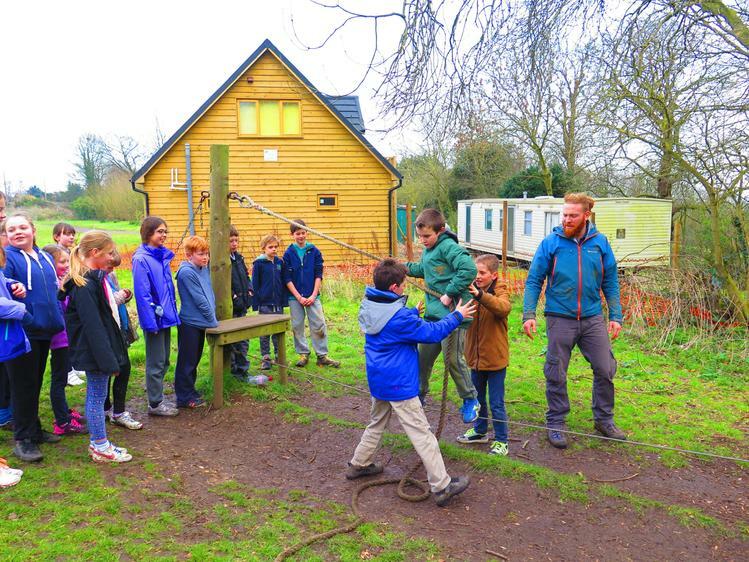 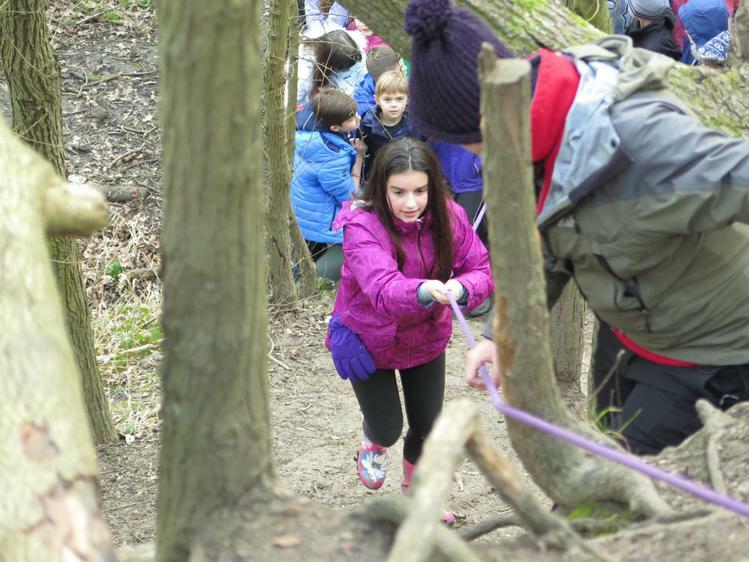 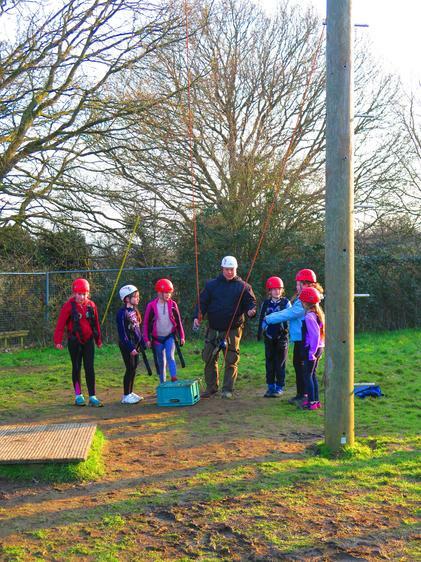 On Monday 7th March, Year 5 and Year 6 will be starting their adventure week at Arethusa. 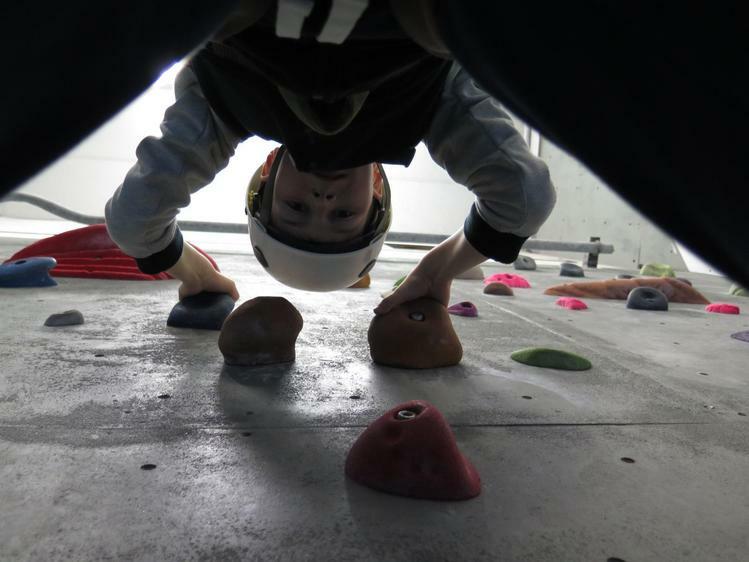 Daily updates will appear here! 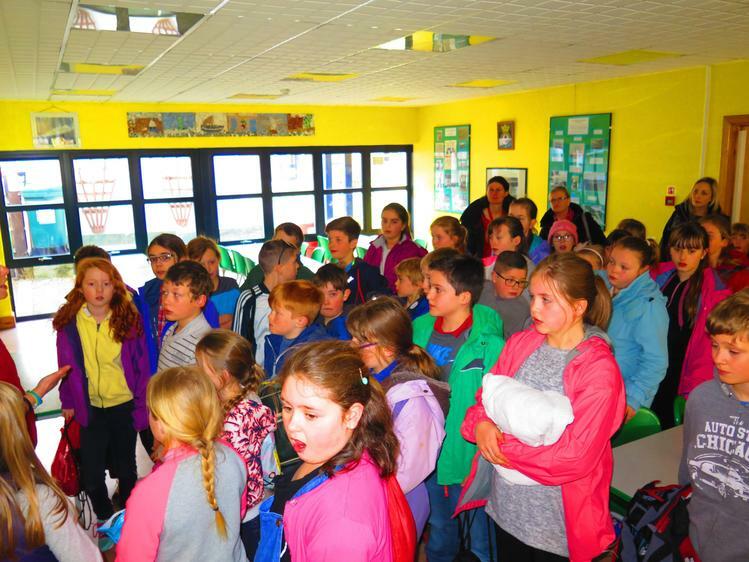 We all arrived safely after a very exciting coach journey. 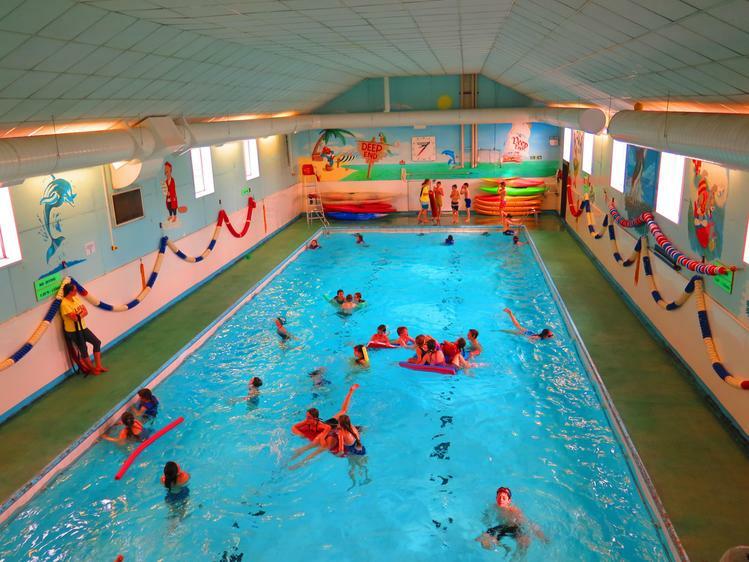 We didn't have time to unpack because we had to go straight to the swimming pool- as you can see by the pictures it is an awesome pool. 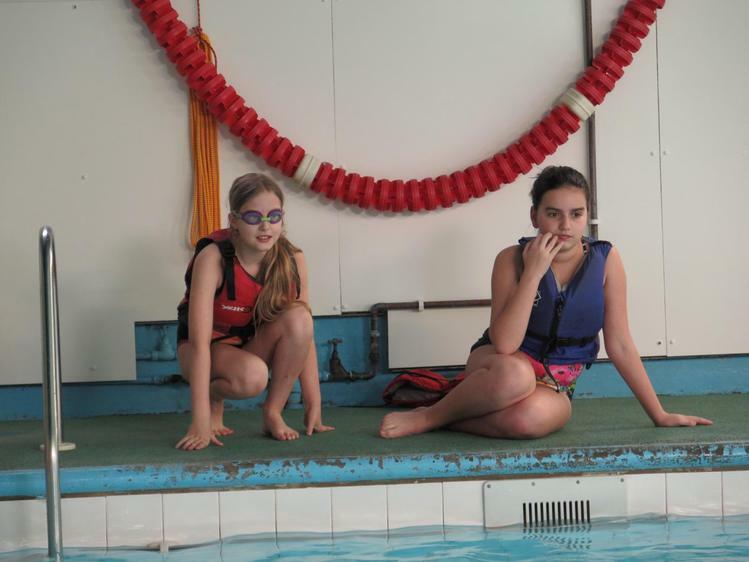 After swimming we had lunch. 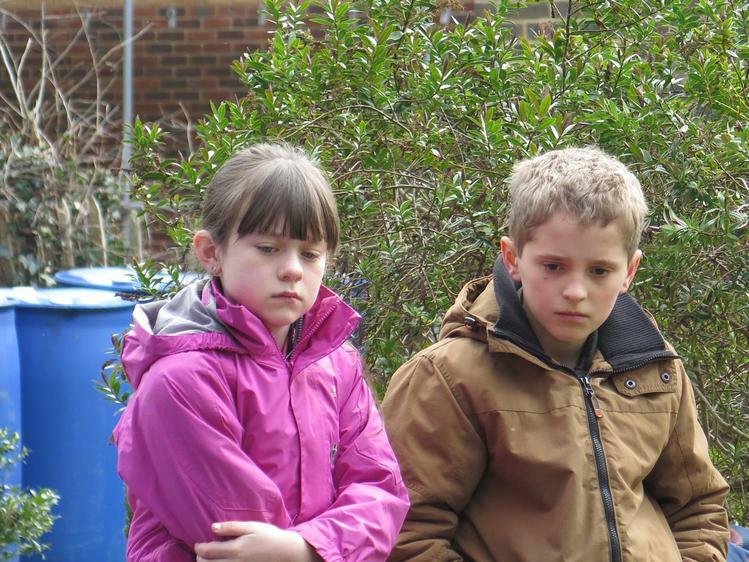 We had chicken nuggets, chips and salad. 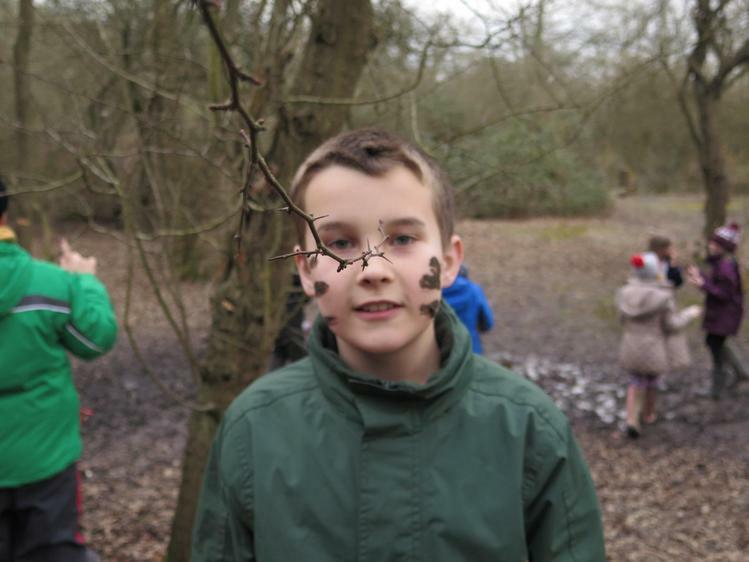 After lunch we went on a woodland adventure. 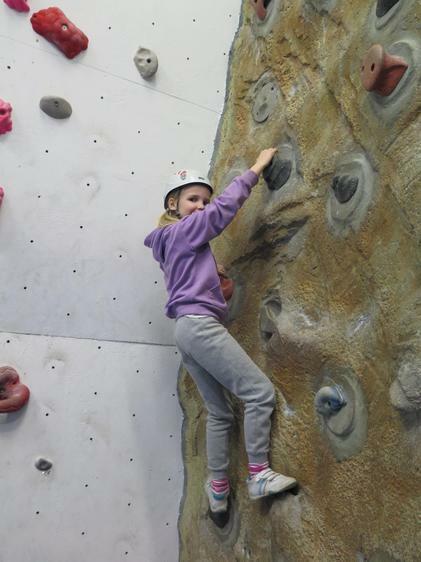 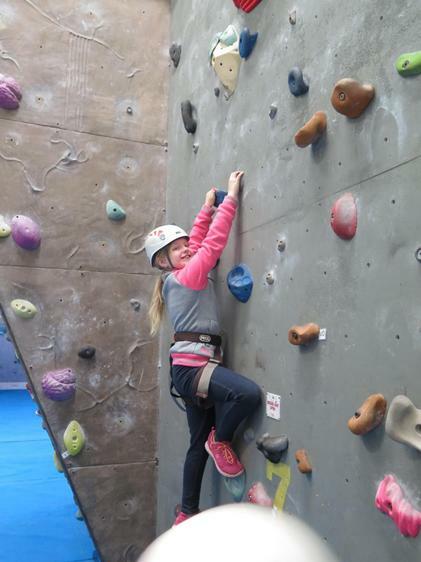 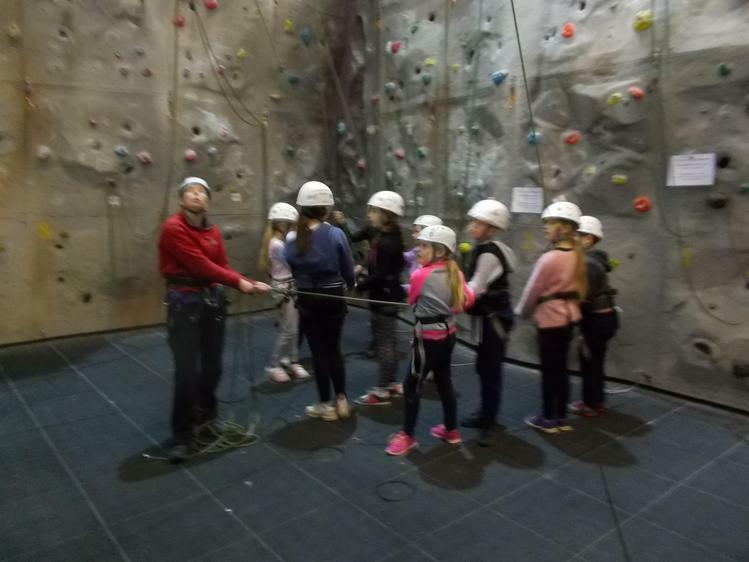 We had to do lots of climbing and had to look out for the Drop Bears...we can't tell you much more but one stole Mrs Godden's hat from her bag! 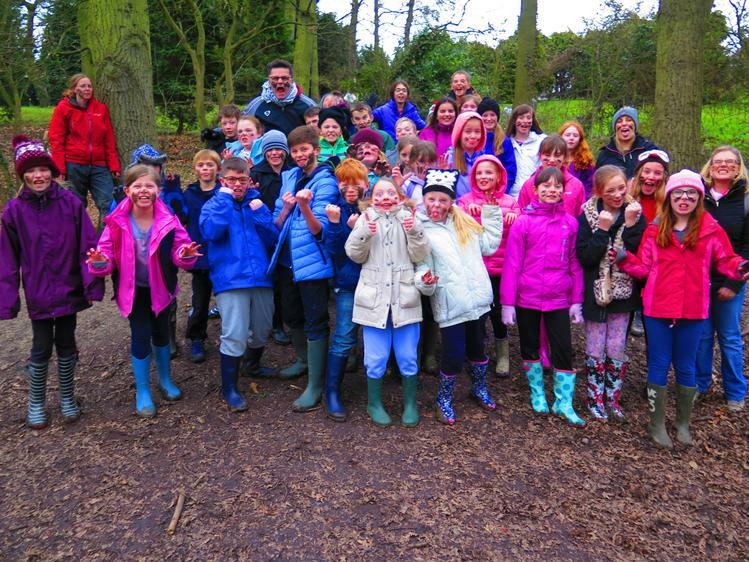 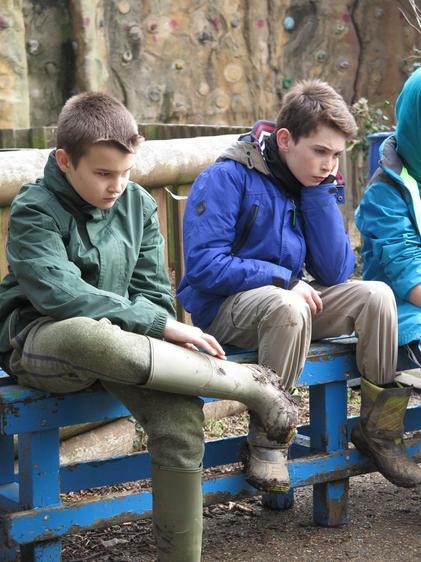 We also played some great games in the woods and got really muddy. 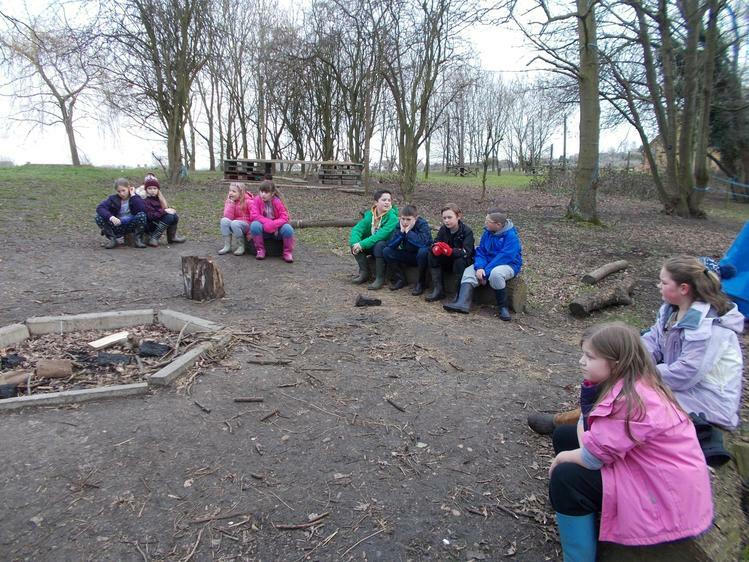 We are having pasta for our evening meal and then having a campfire. 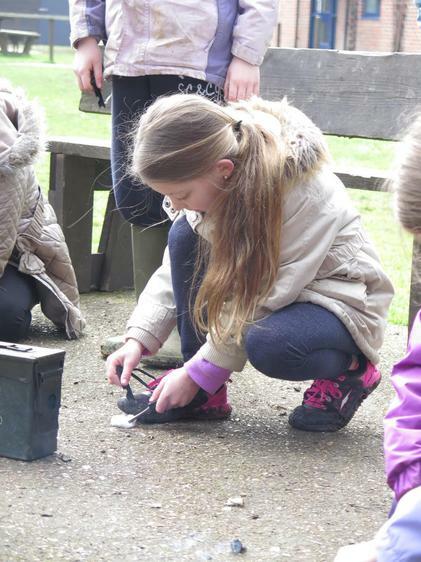 Today was a busy day- it was Mr File's birthday so we started by wishing him a happy day and he opened some cards. 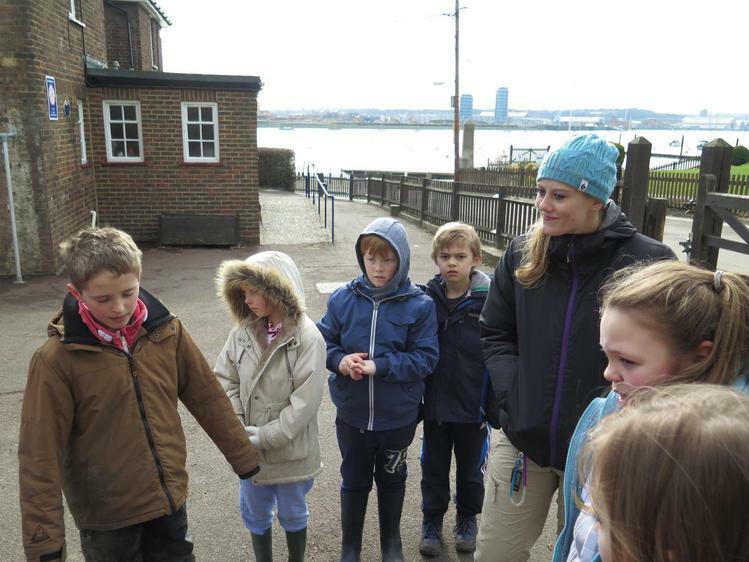 After a lunch of burgers and wedges we went on a really long walk. 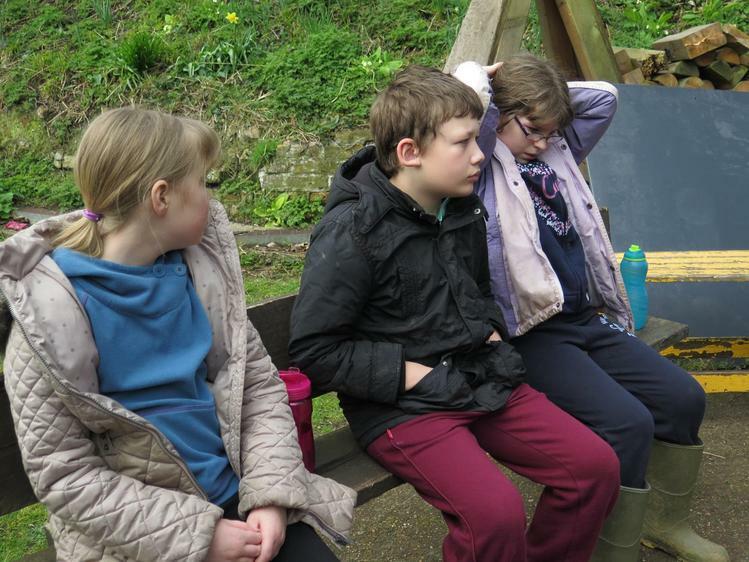 We learnt lots of things on the way. 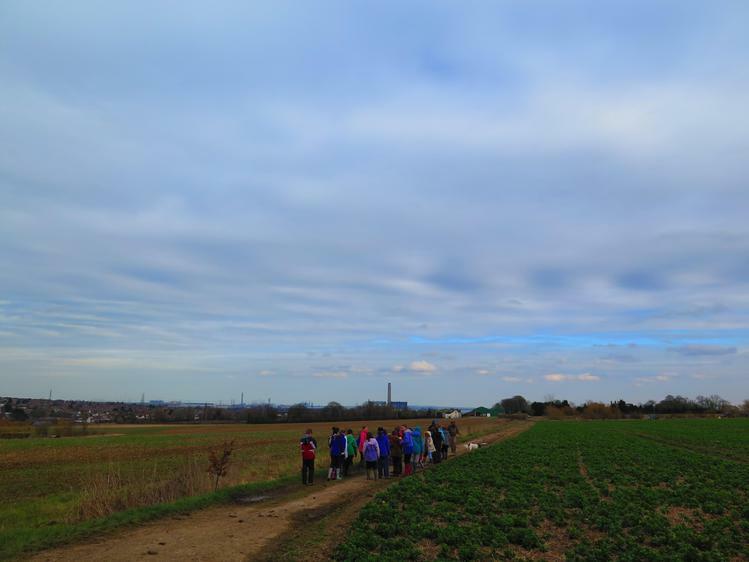 Monty, the dog, came with us on our walk and he led the way. 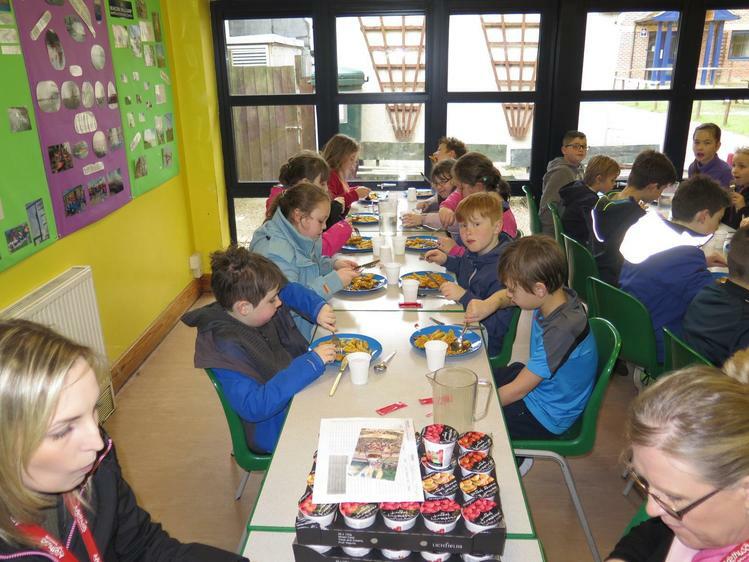 After our chicken curry for tea, we had a chance to get cleaned up and Mr File shared a cake that Mrs Blaxill bought for him. 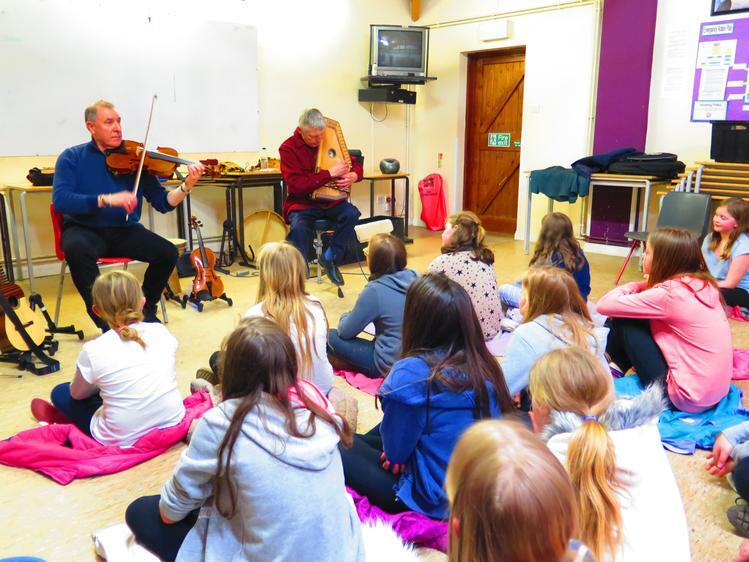 In the evening we had an hour of story telling and amazing music. 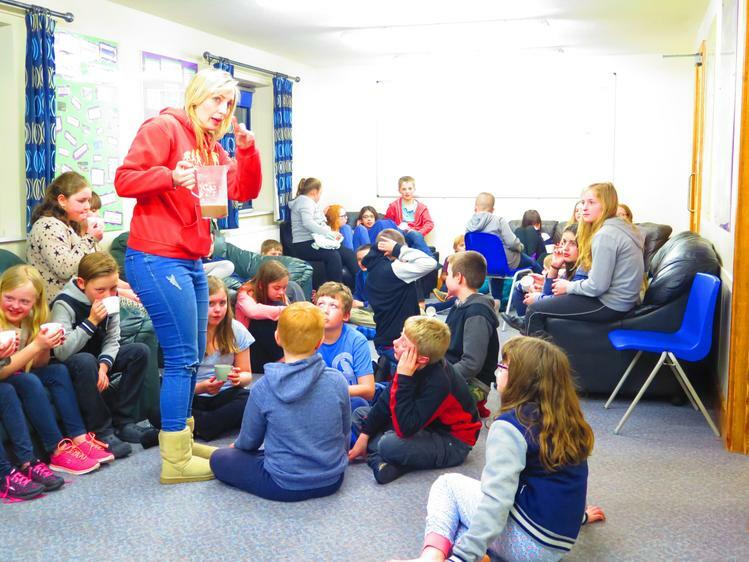 We then went back to our headquarters, had hot chocolate and then went to bed...E..X...H...A...u...S...T...E...D! 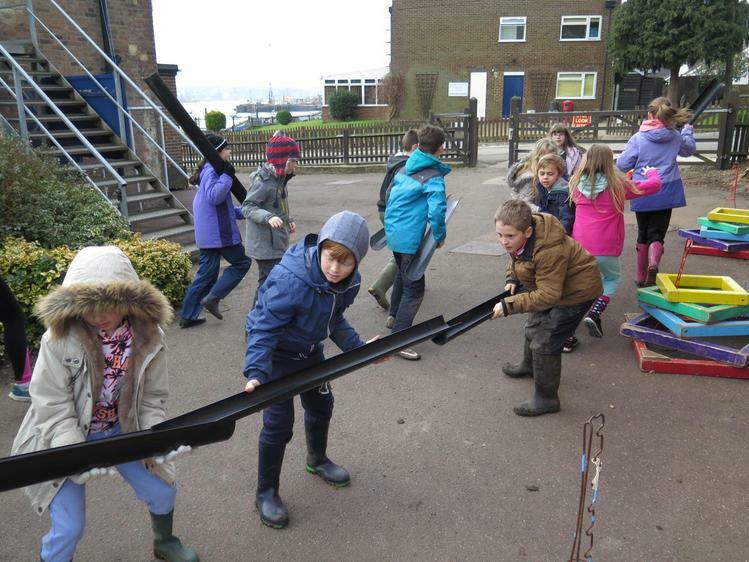 When we opened our curtains we were met by heavy rain- it's a good job all our activities were inside today! 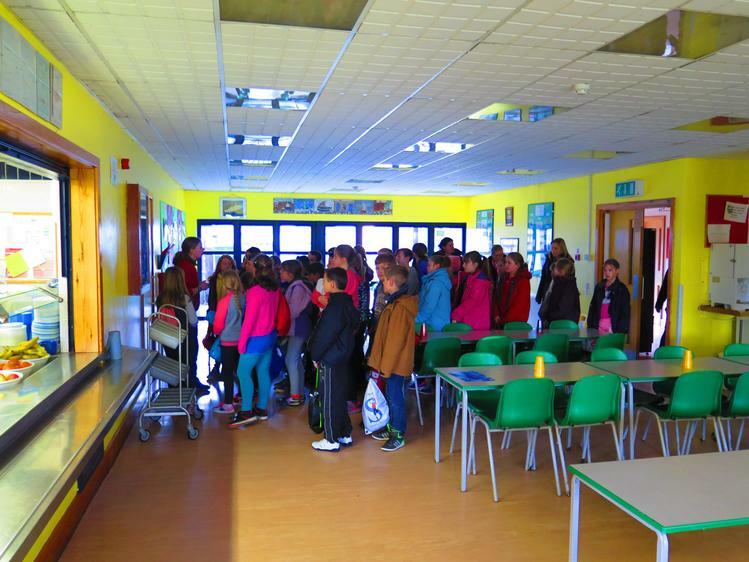 Before breakfast we had our usual room inspections. 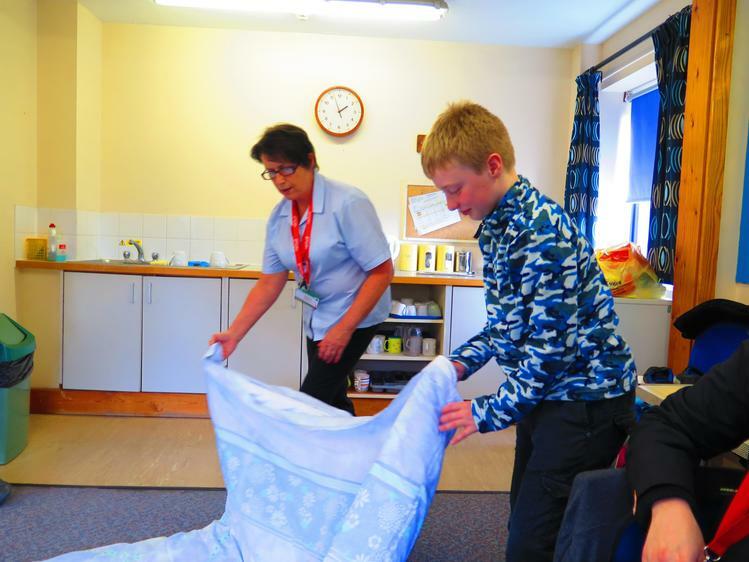 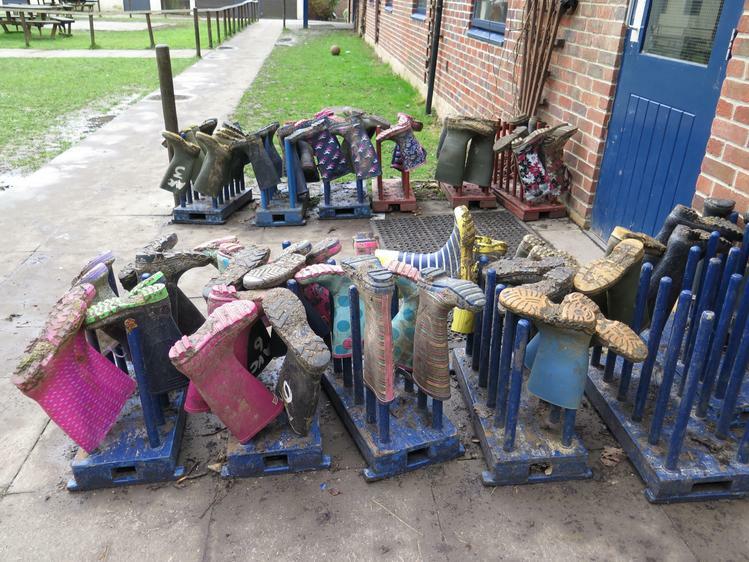 Lots of us have learnt to make our own beds, tidy our clothes away and even open the window so the rooms don't smell when the inspection is carried out. 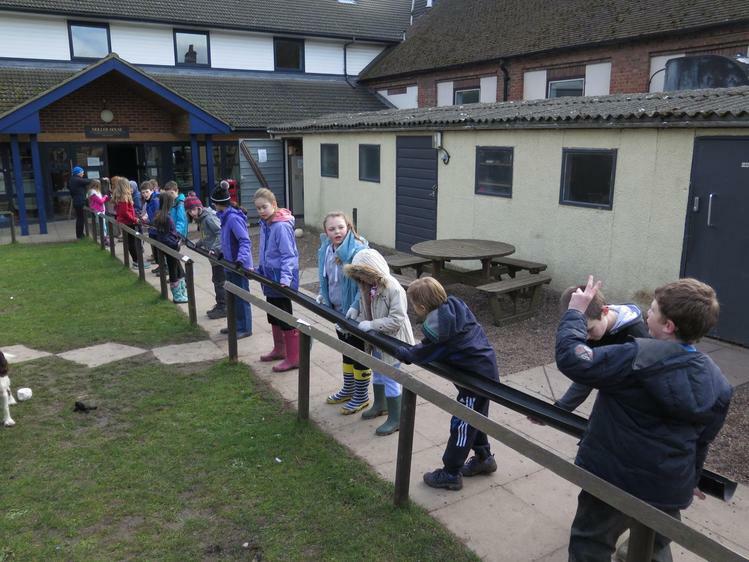 All the teachers are very impressed by our rooms and gave us 10 out of 10 for presentation and being tidy. 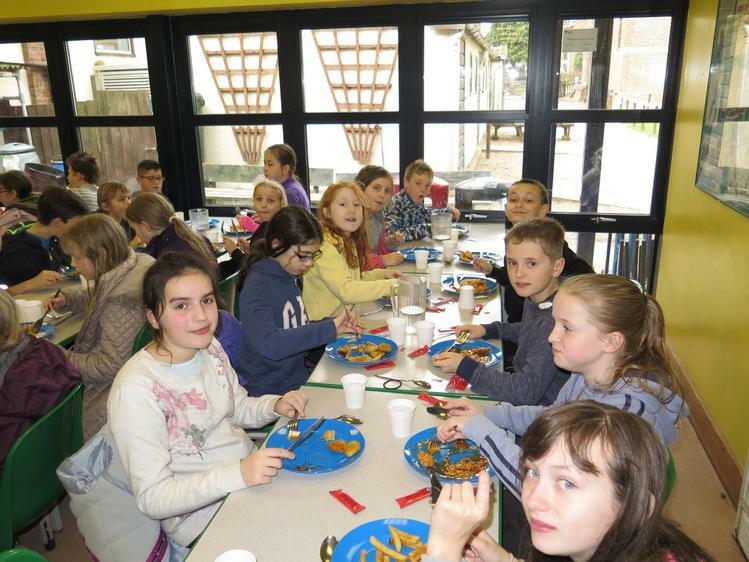 Breakfast was pancakes with golden syrup...we were aloud to have as many as we wanted. 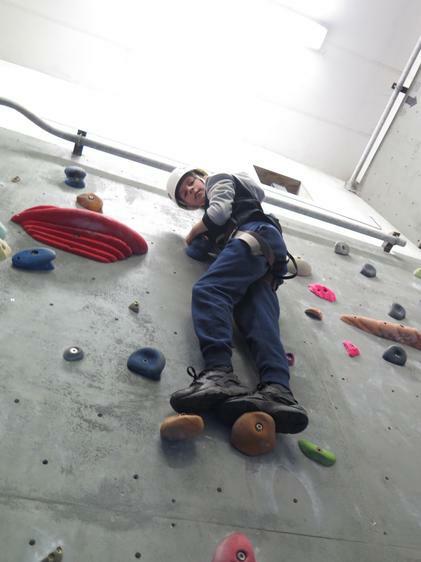 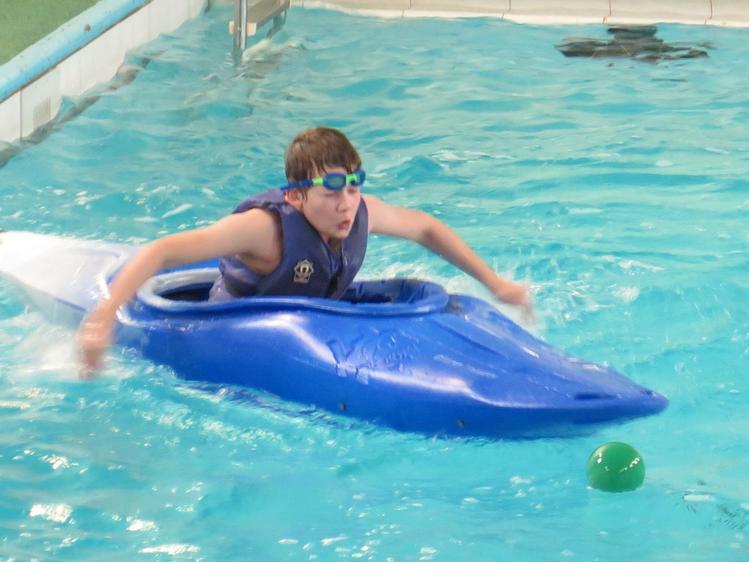 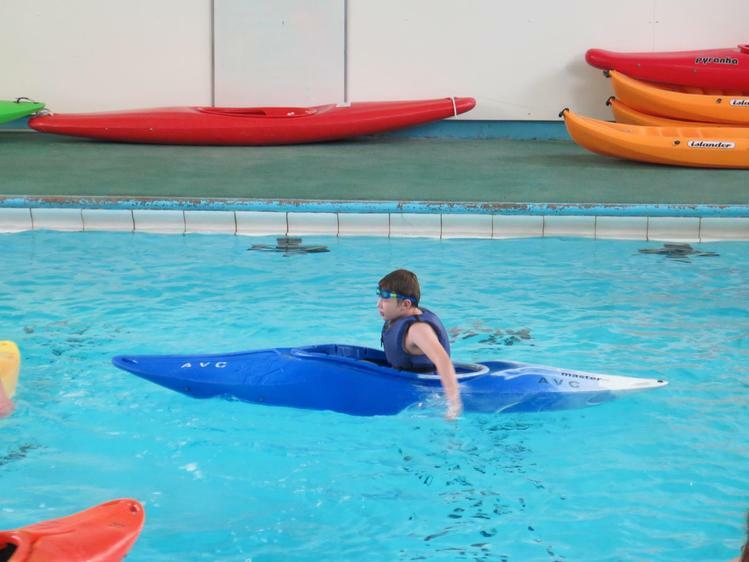 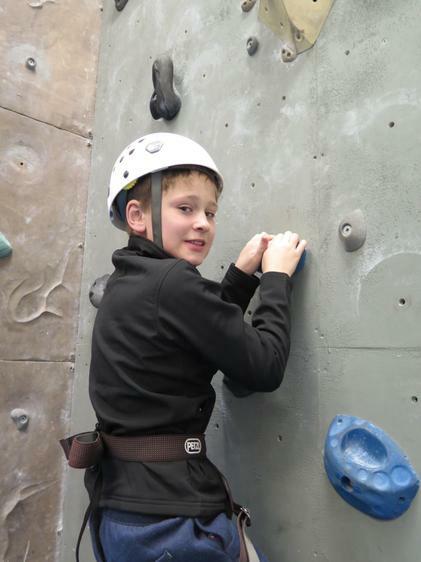 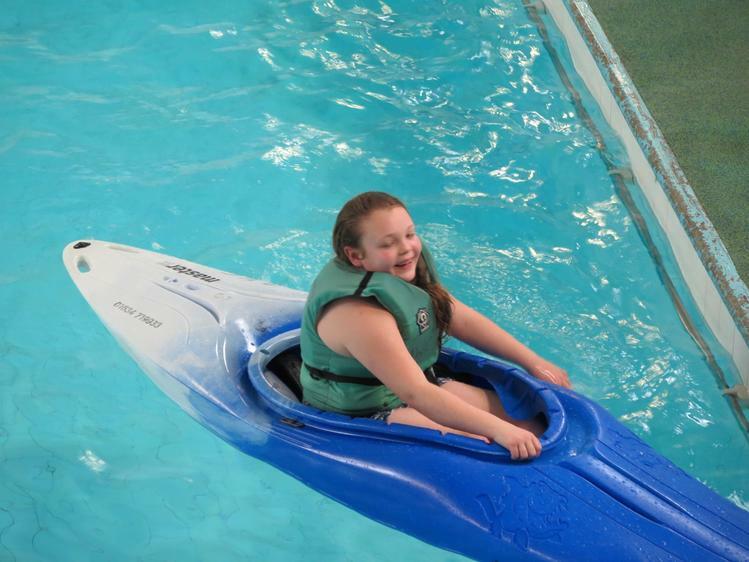 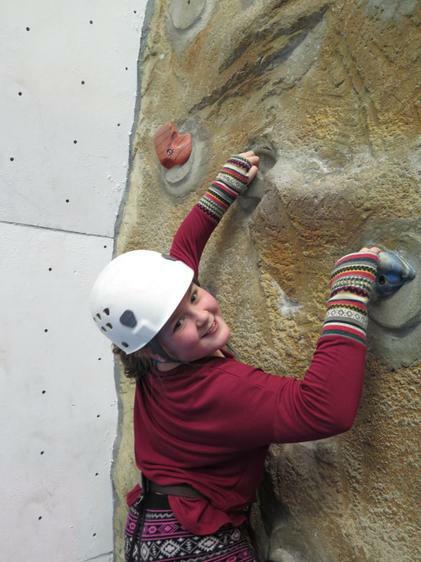 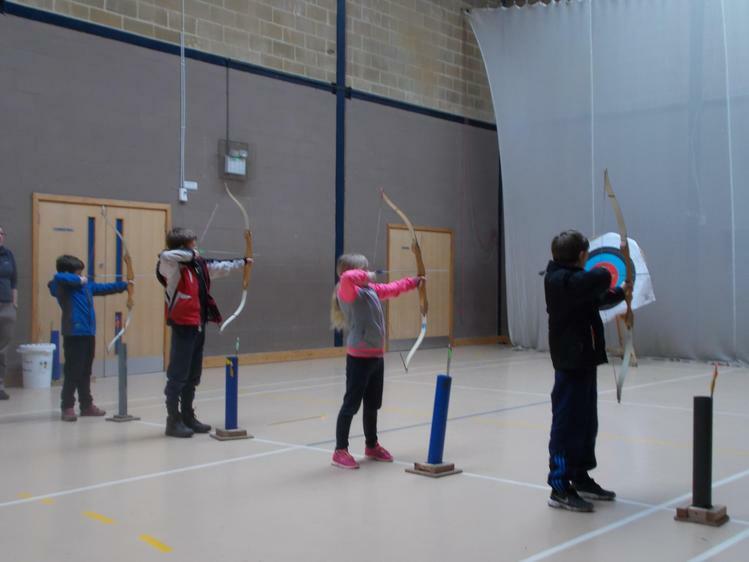 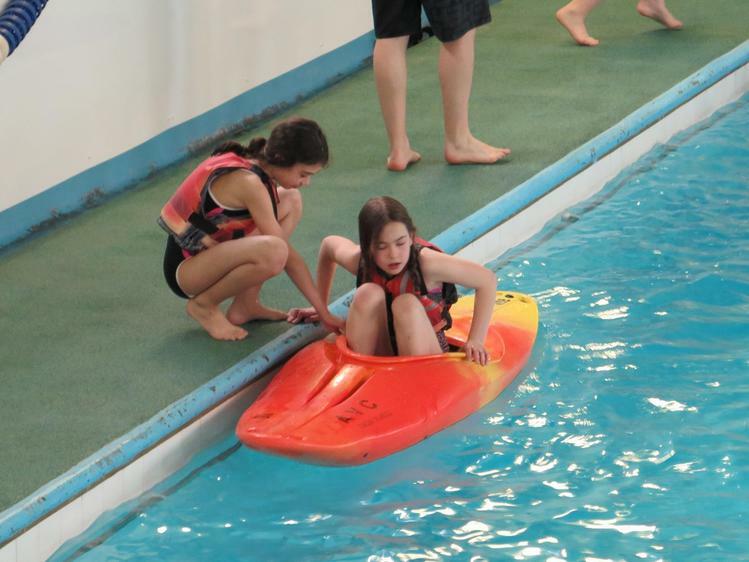 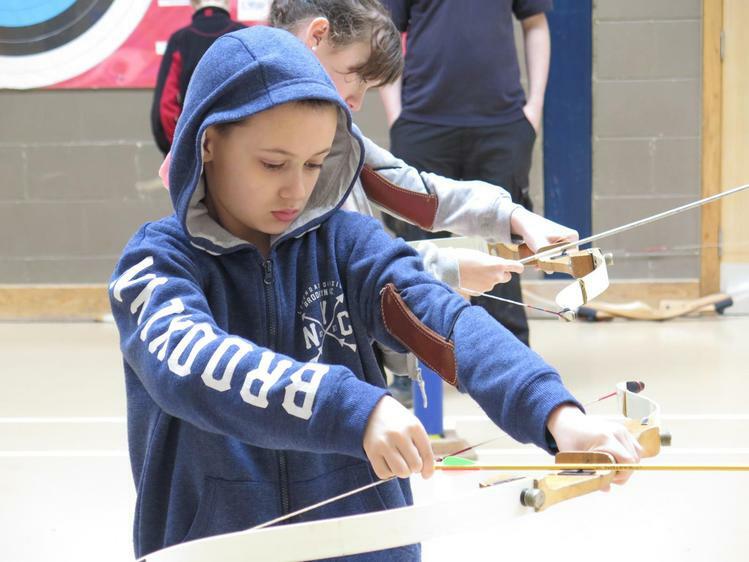 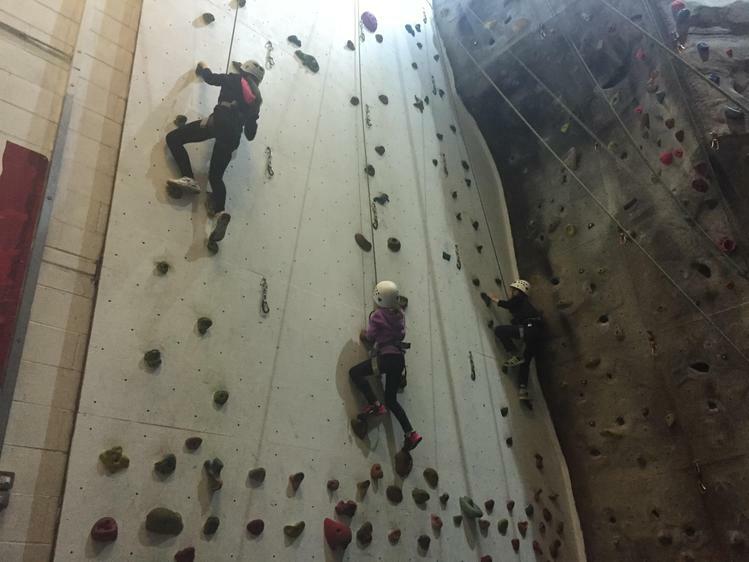 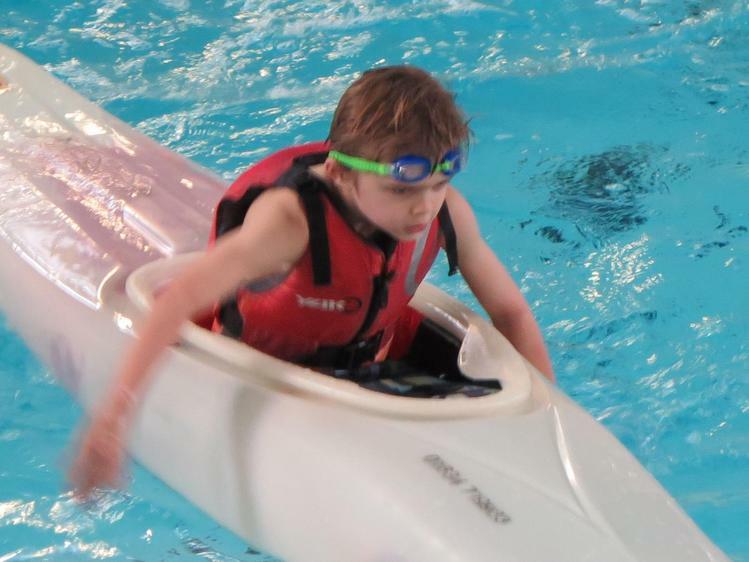 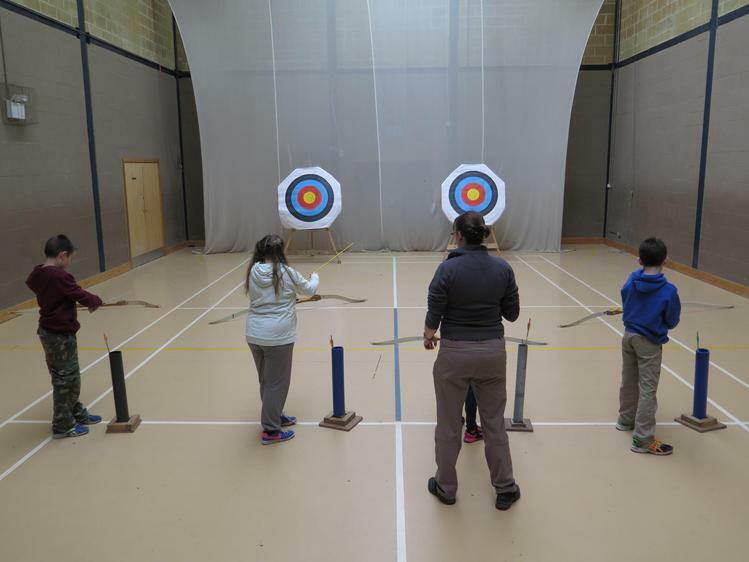 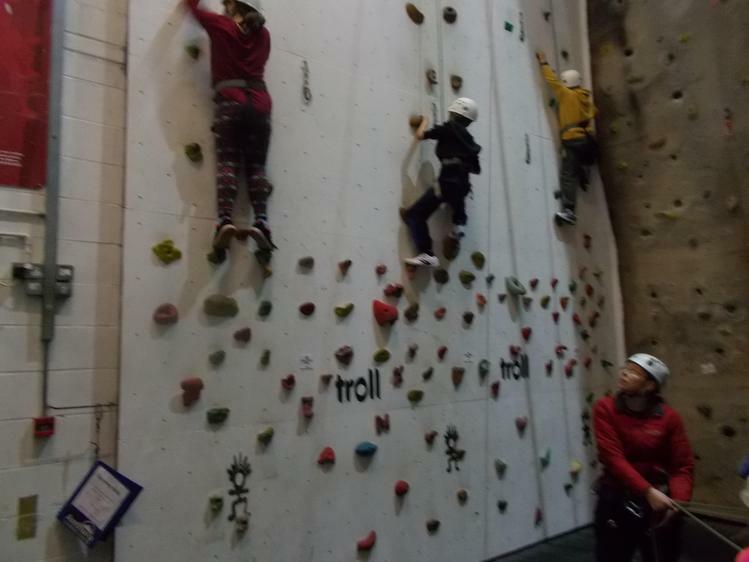 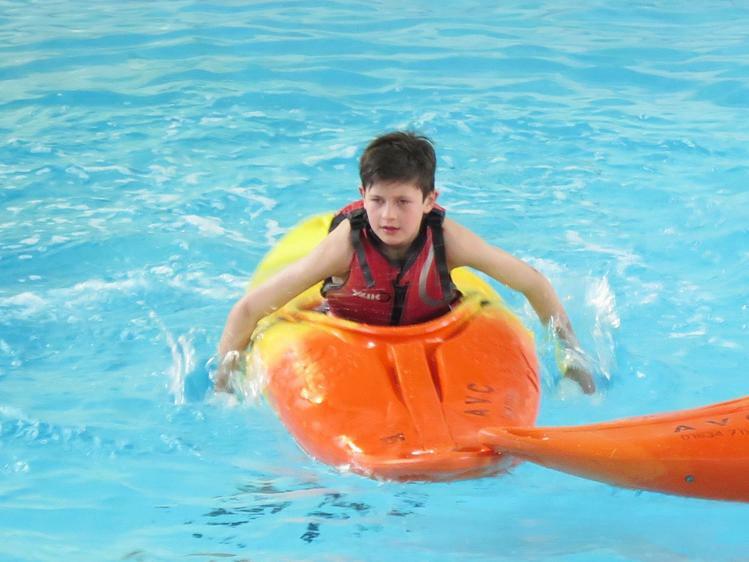 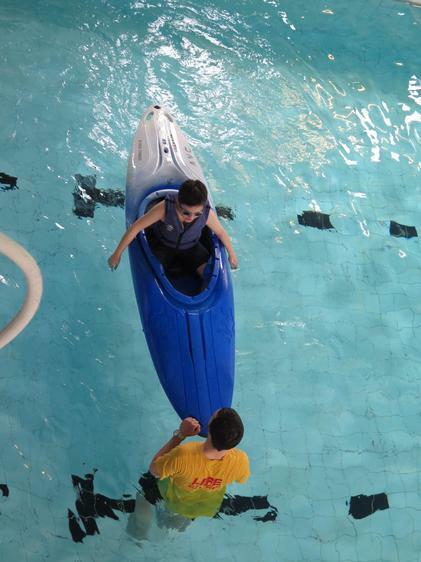 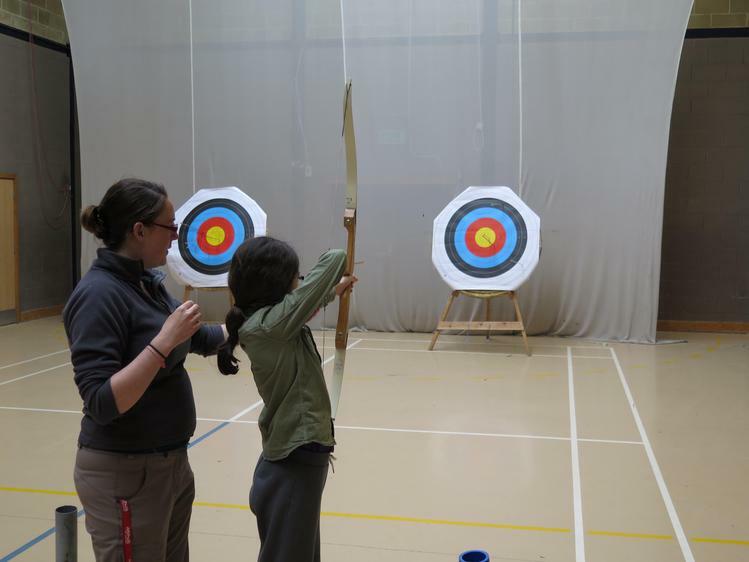 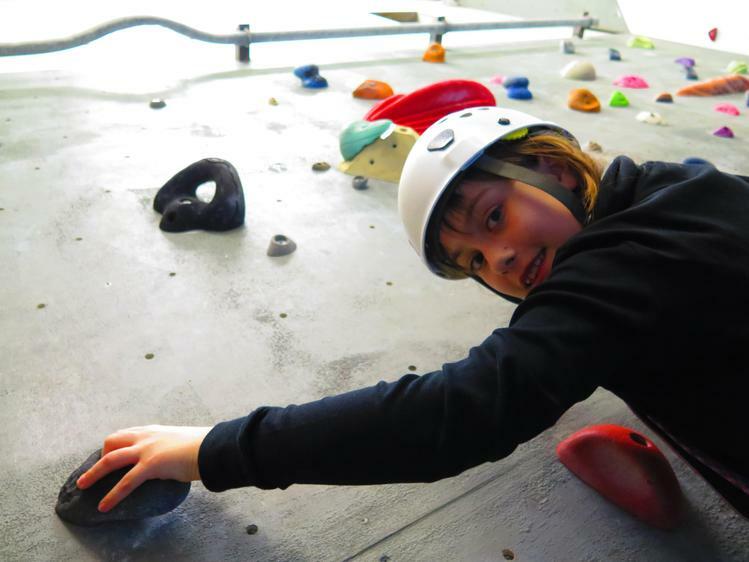 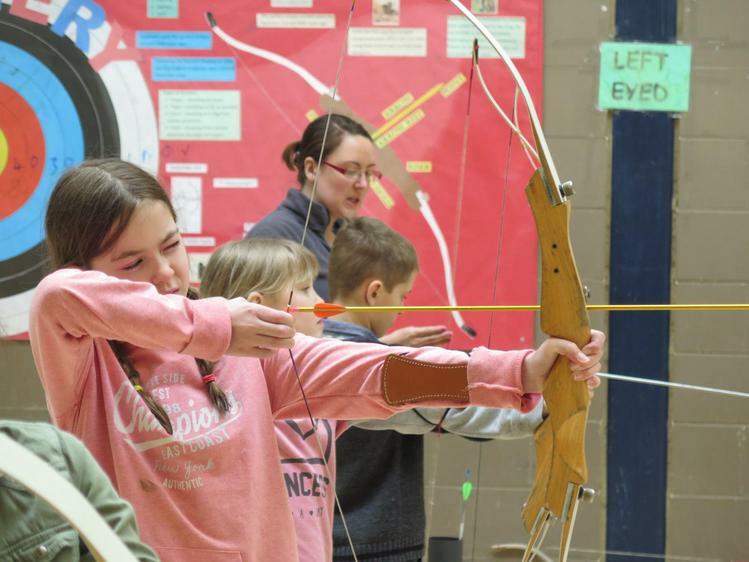 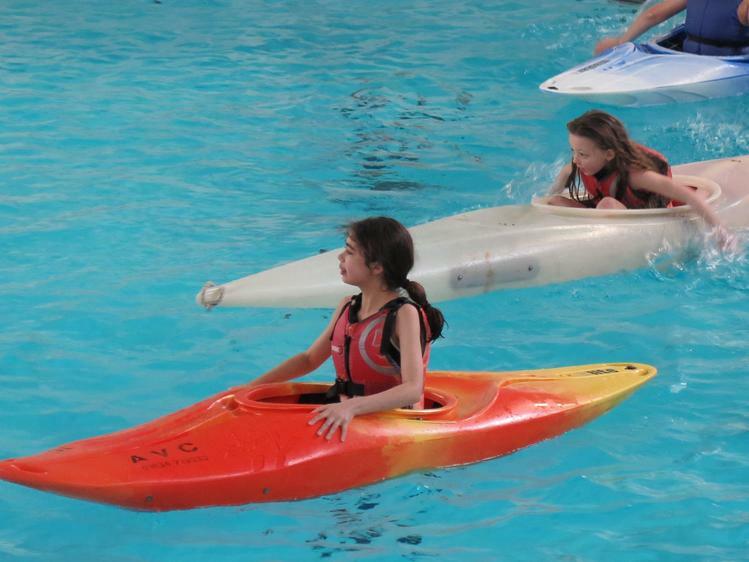 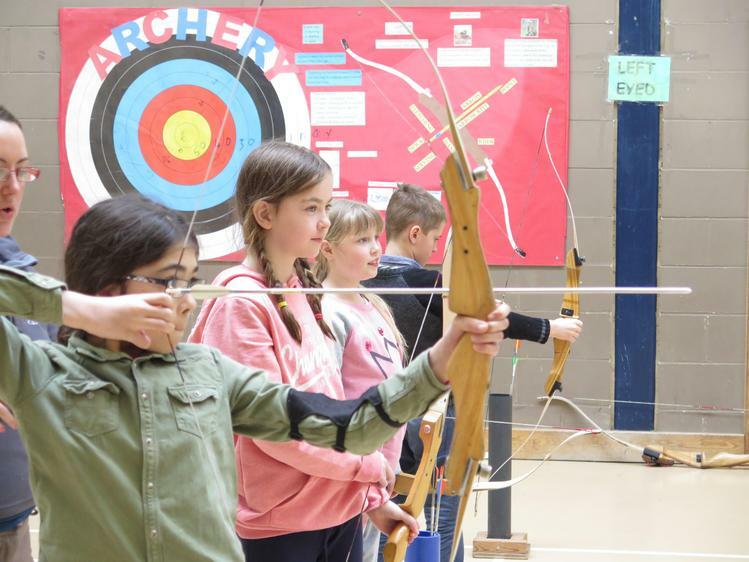 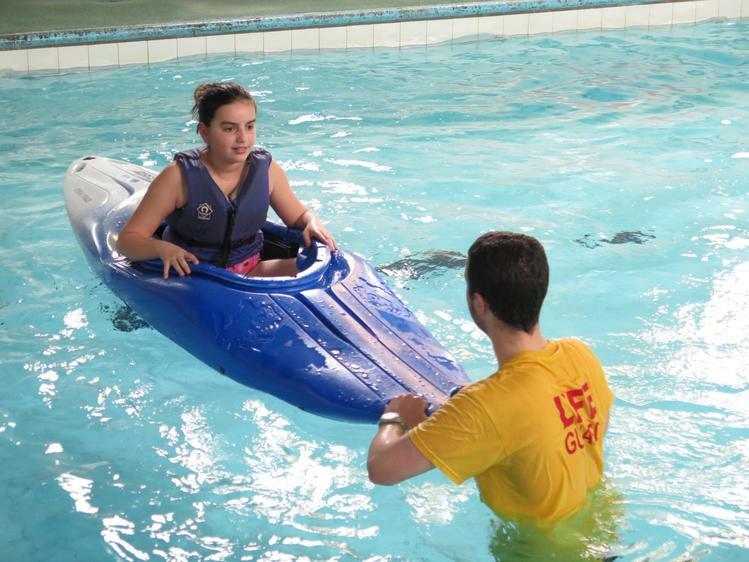 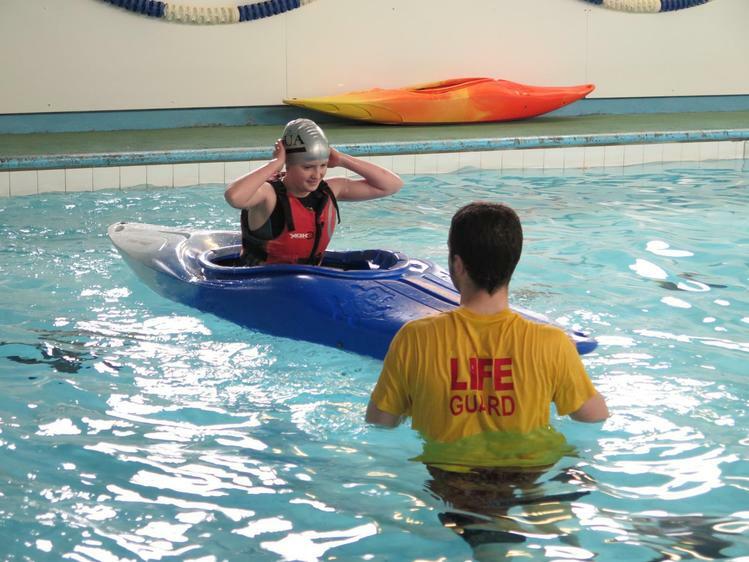 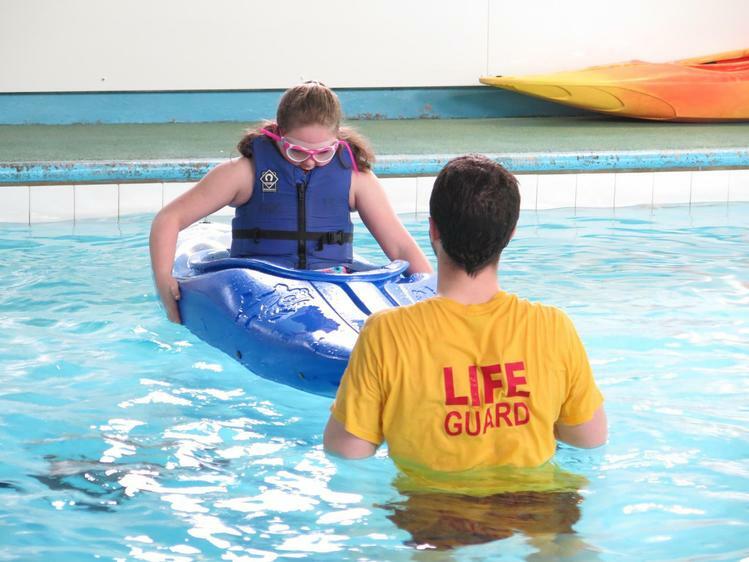 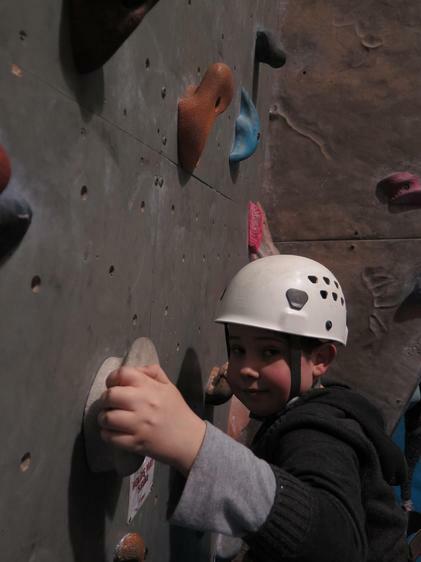 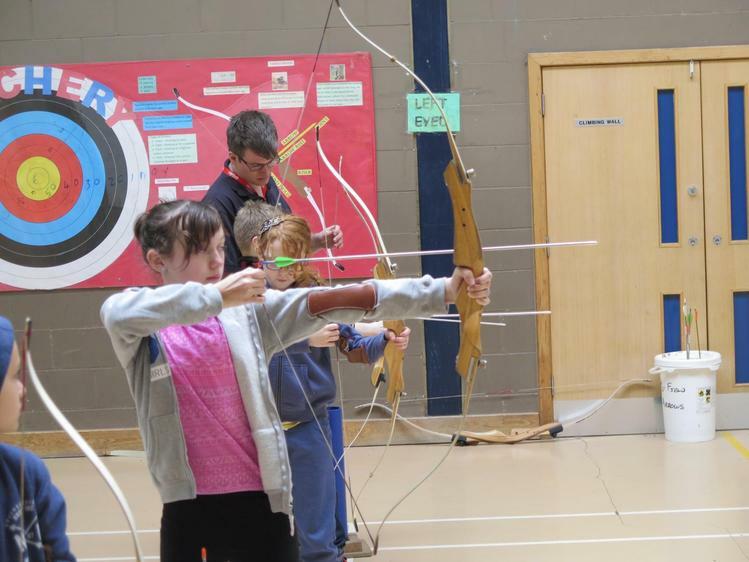 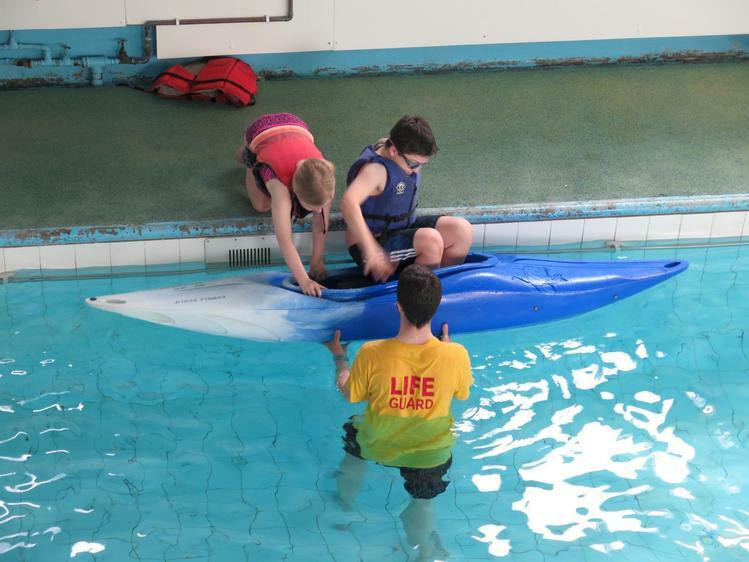 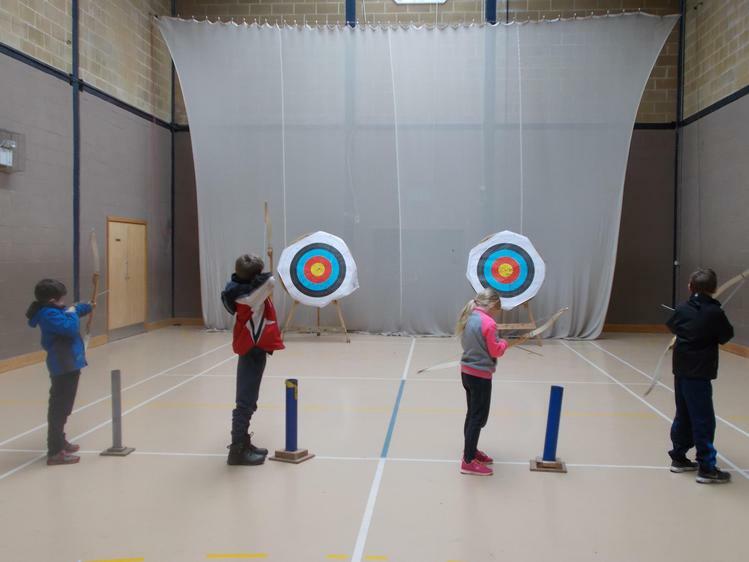 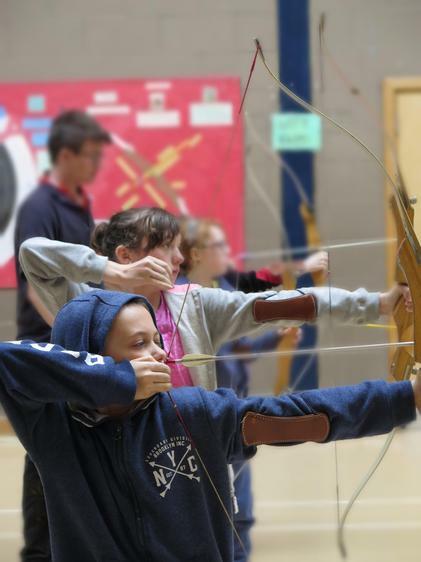 Our activities today were Archery, pool Kayak and Climbing. 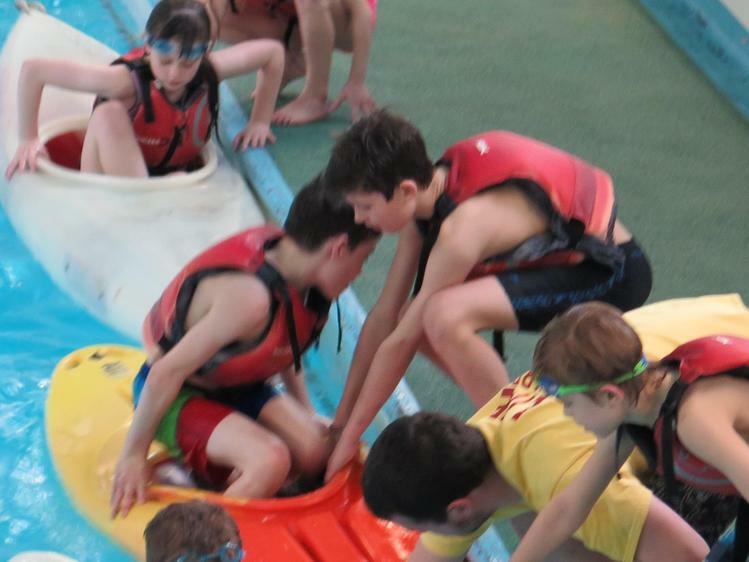 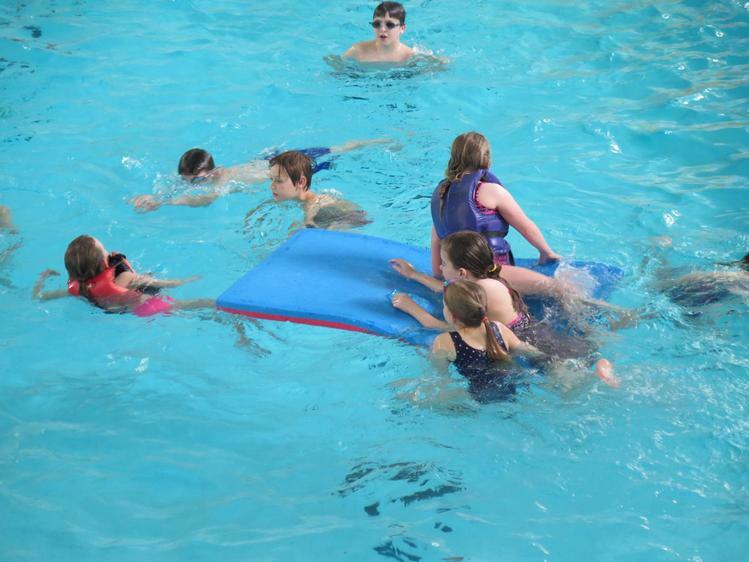 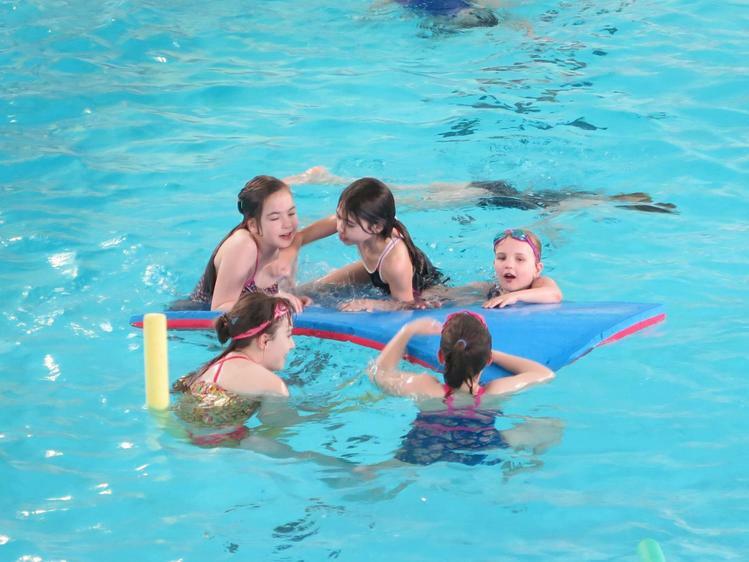 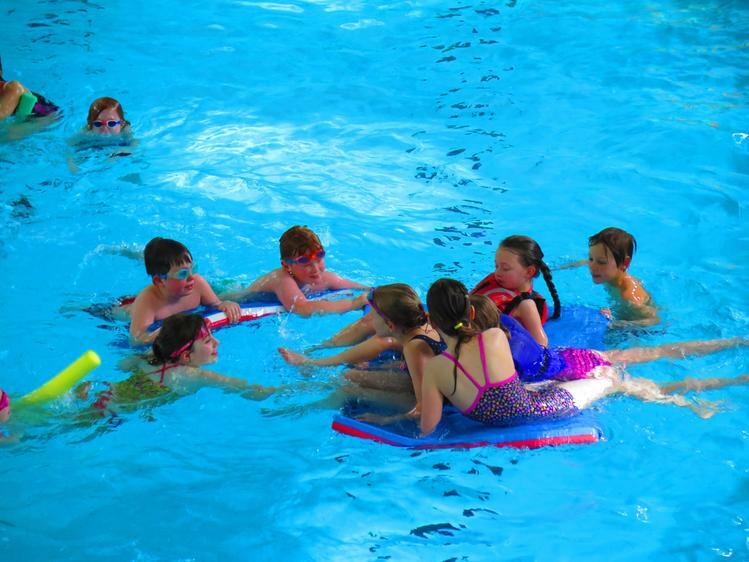 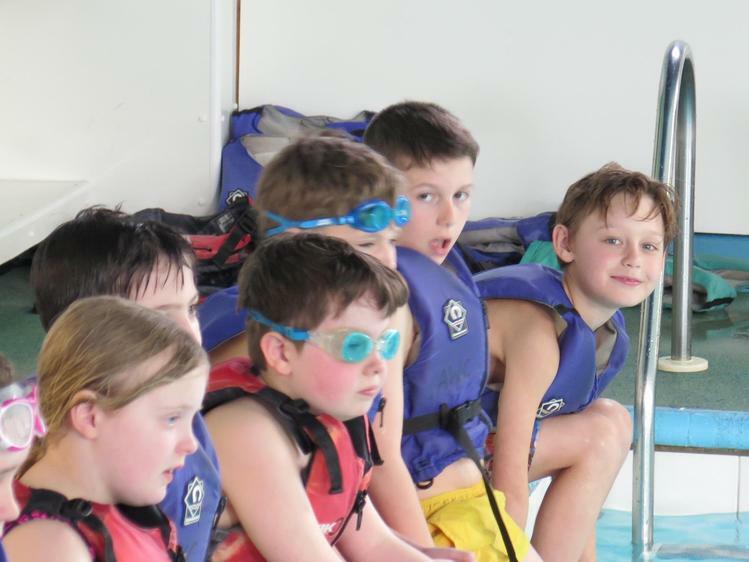 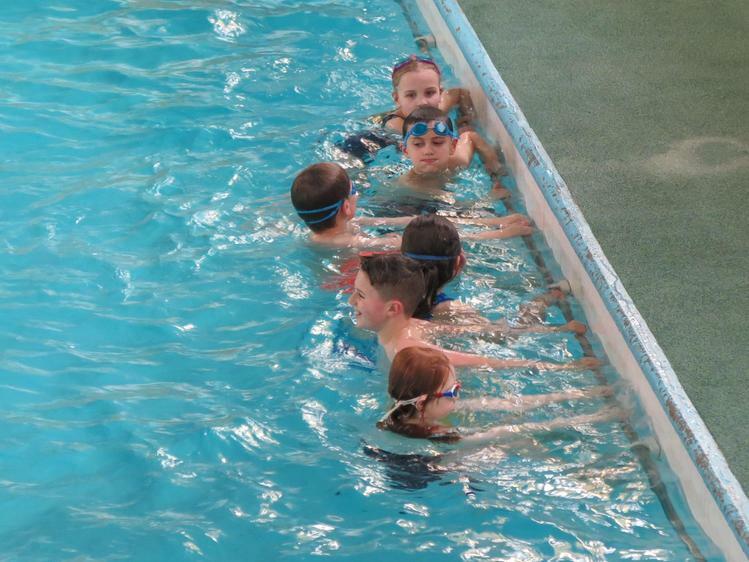 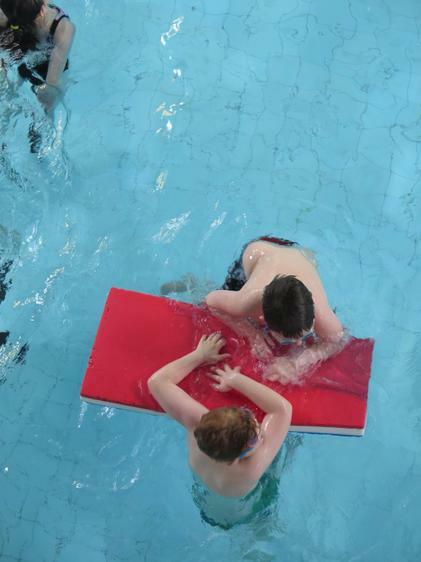 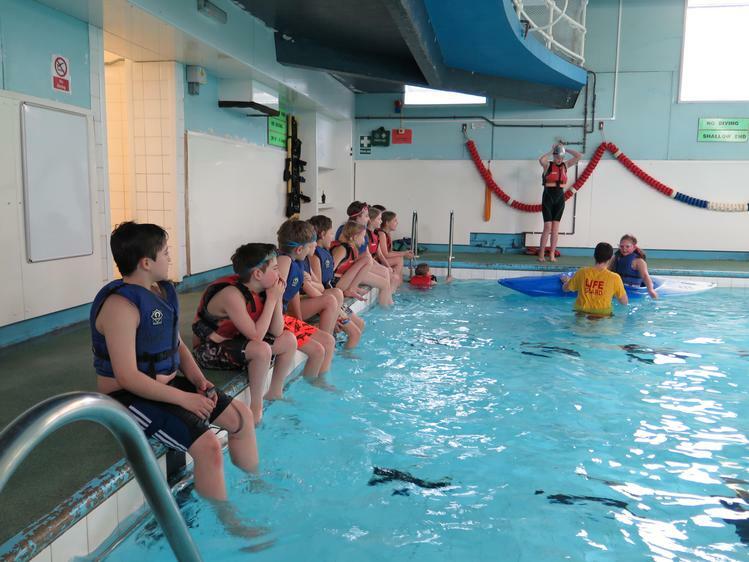 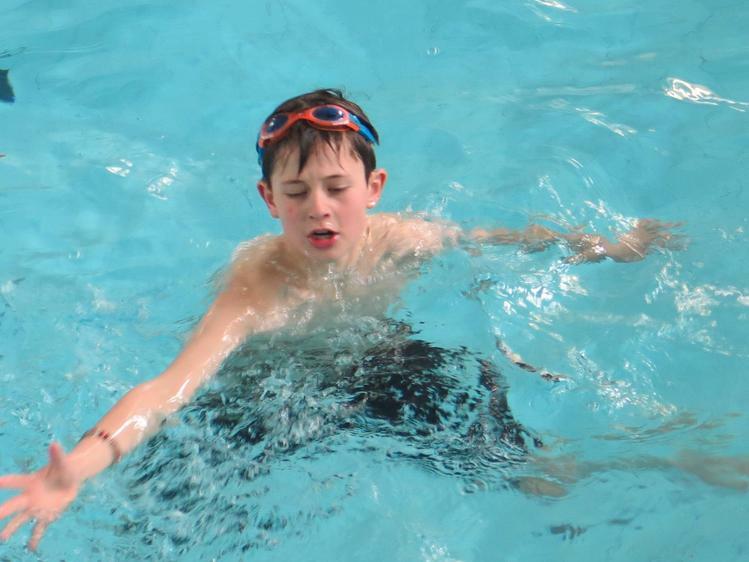 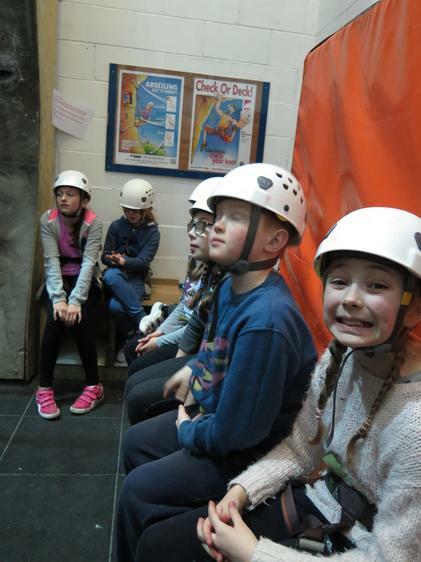 Many of us overcame our fears of height and water today...we are feeling proud! 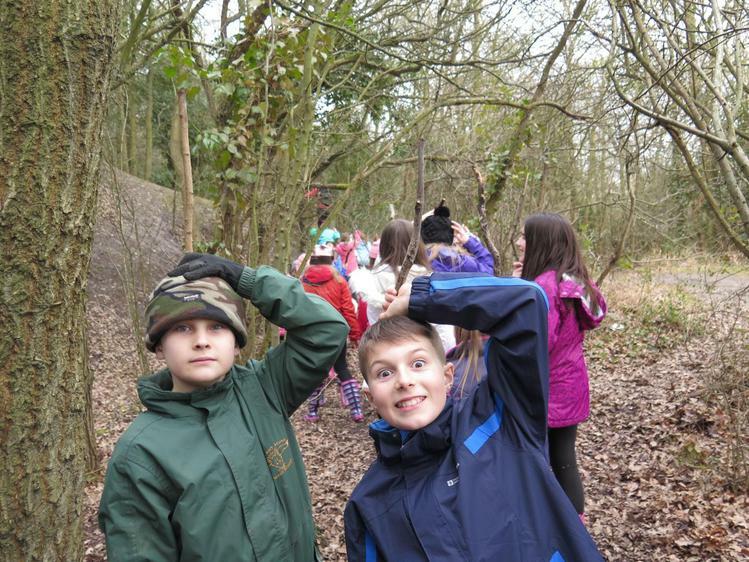 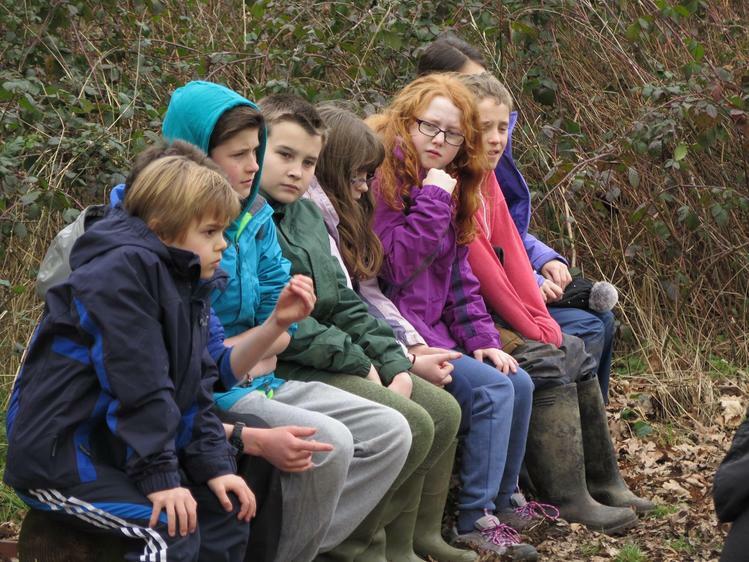 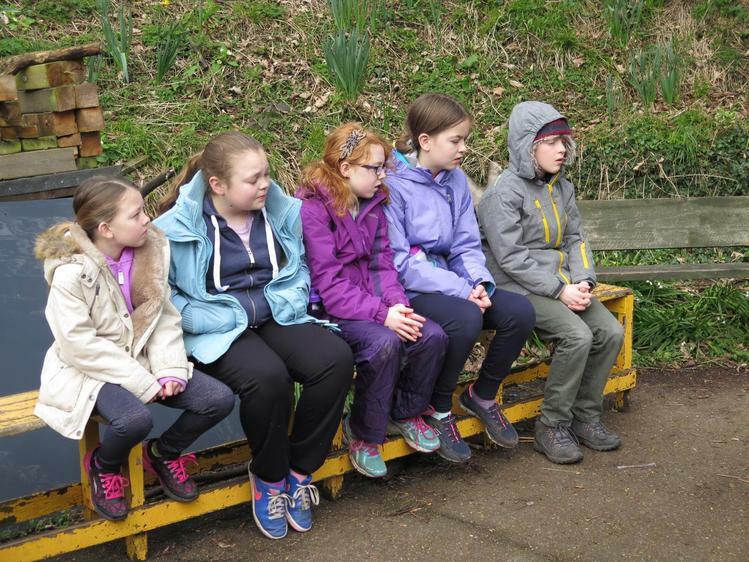 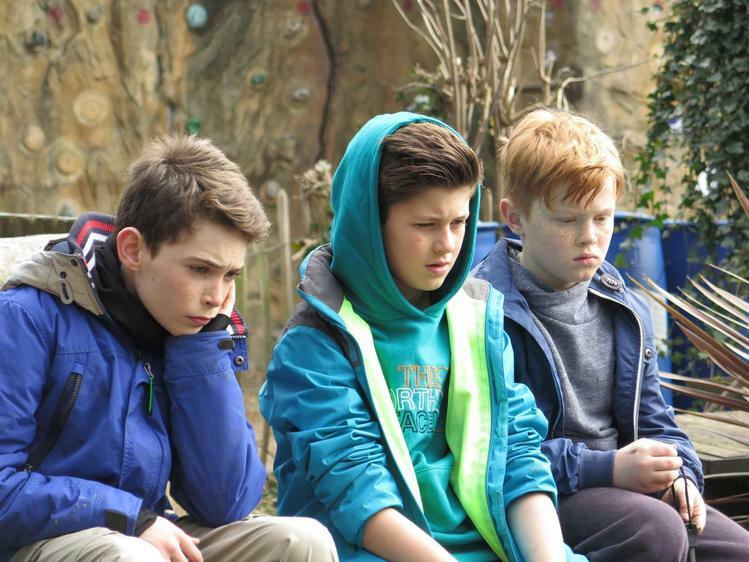 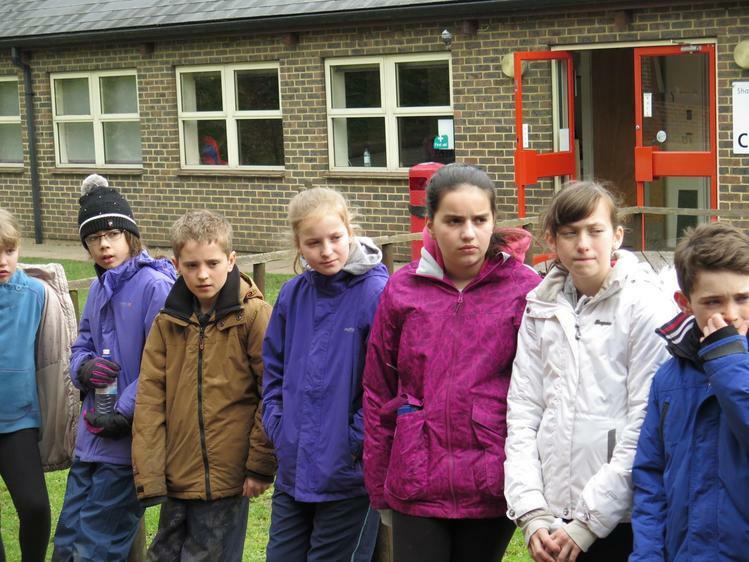 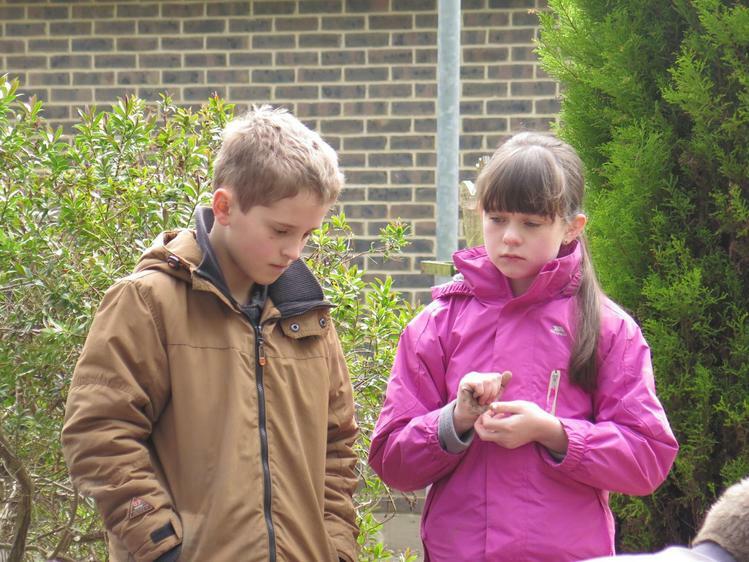 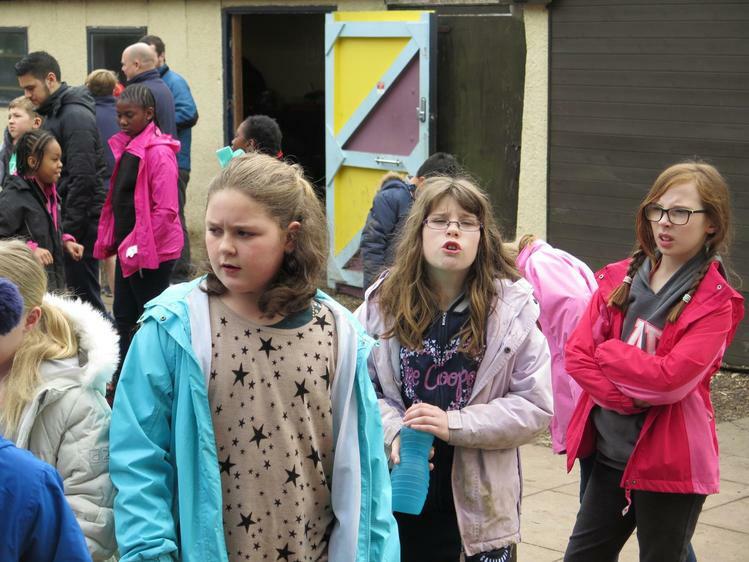 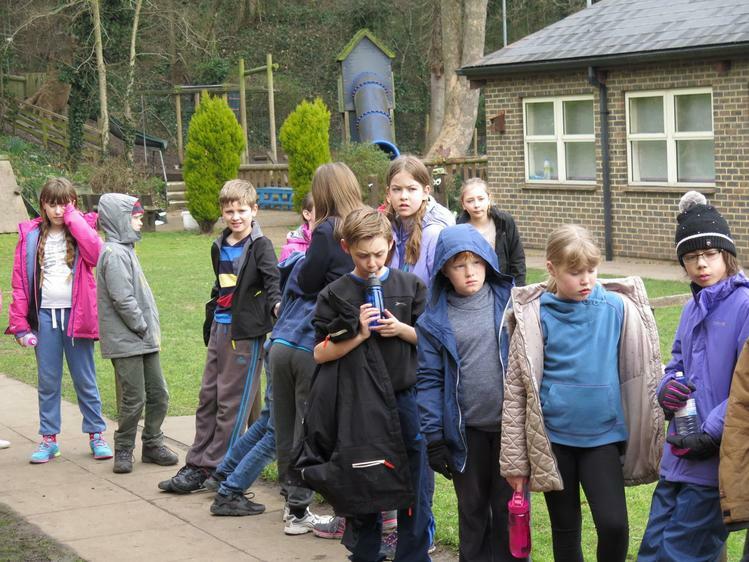 Soon we have to go orienteering and then our teachers have planned a quiz night. 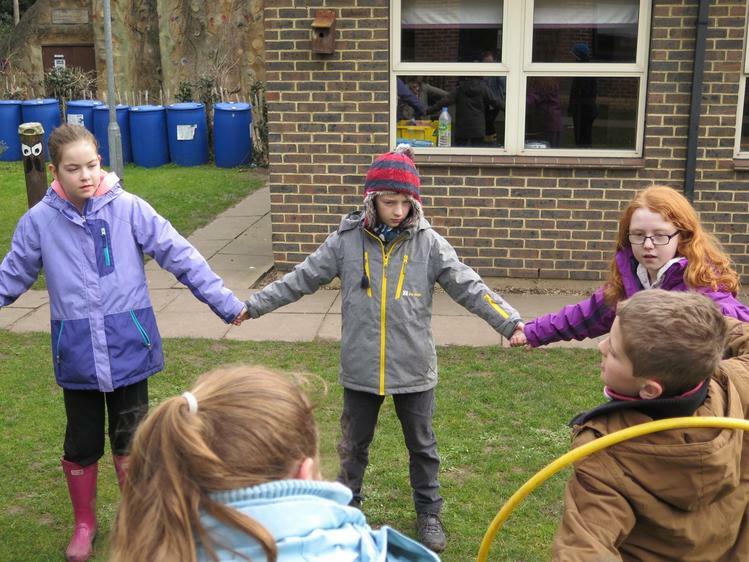 As we approach our final night at Arethusa, I want to say that it has been a pleasure being with your children this week. 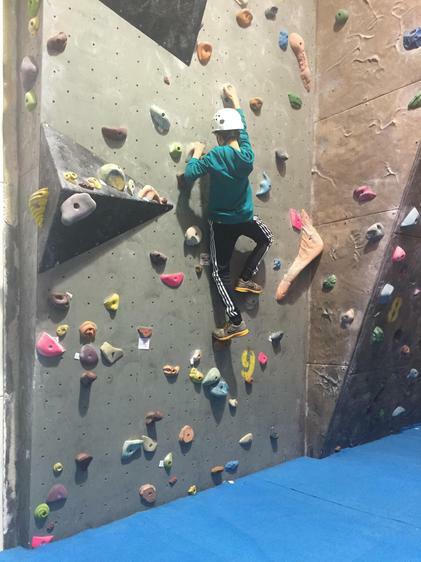 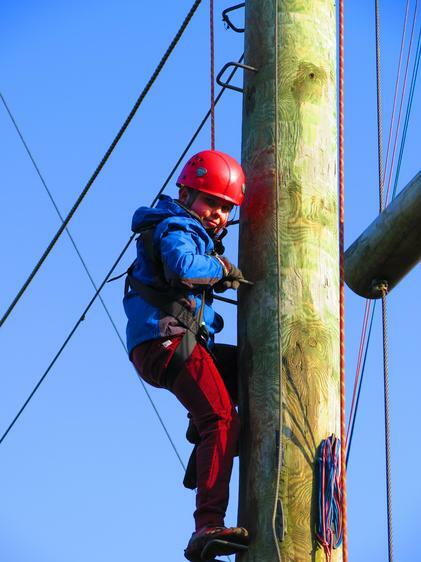 The immense feeling of pride I have had, each day, watching the children grow in confidence as they push themselves and face their fears, has been very rewarding and a privlege. 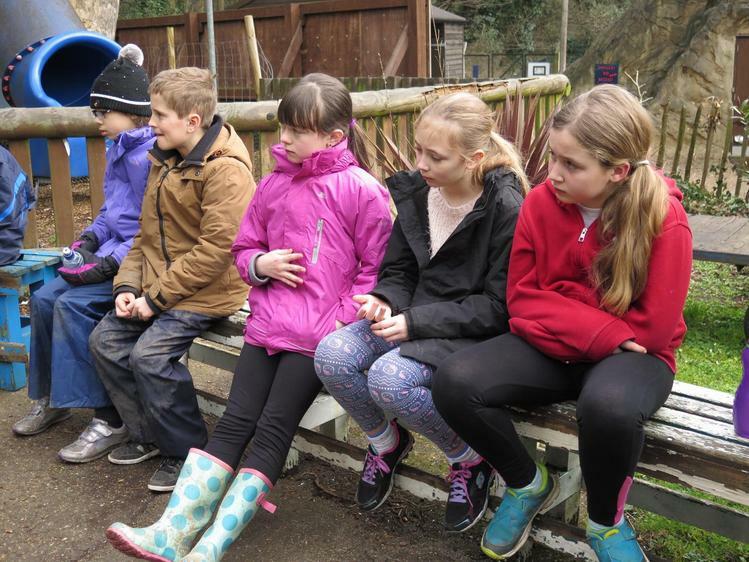 We have been able to laugh a lot...we have had a few tears, but all in all it has been a fabulous week and I hope you are able to look at the photos and share the memories with your children when they return. 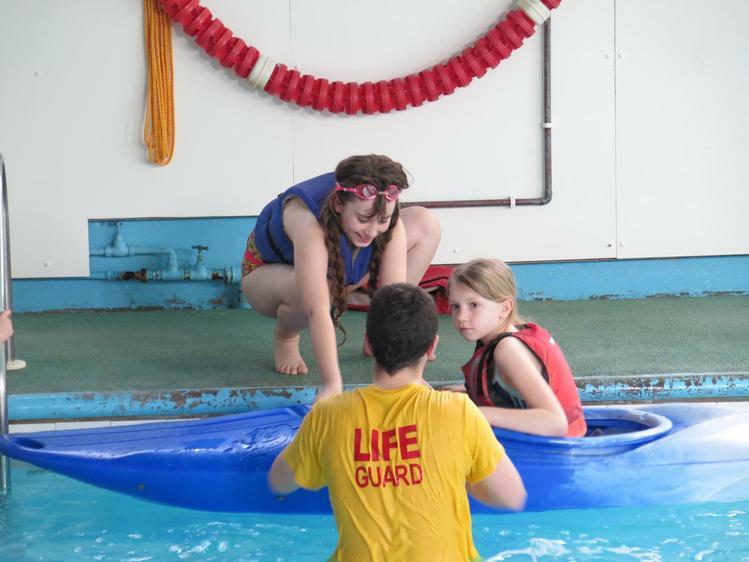 Thank you for your trust in letting my staff and I take care of your special people for the week...they have been awesome! 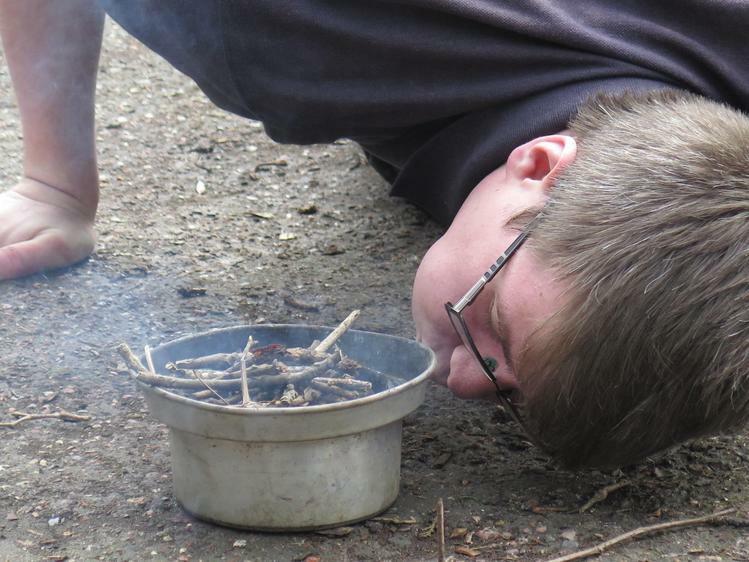 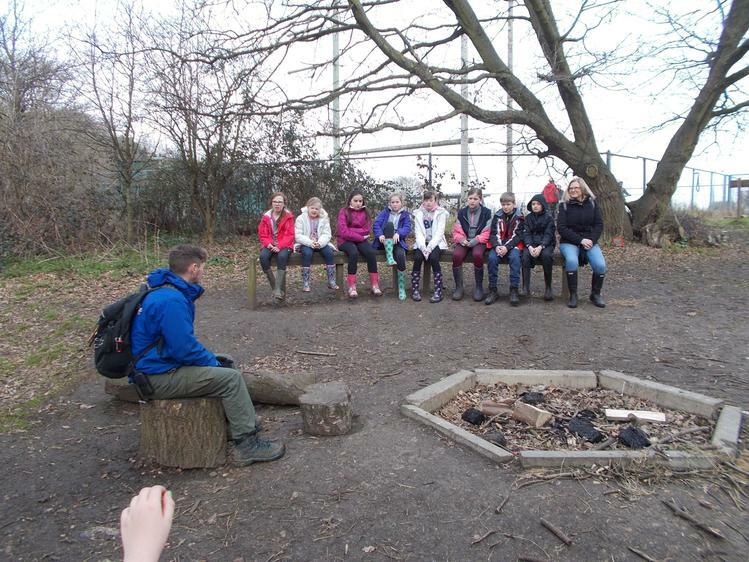 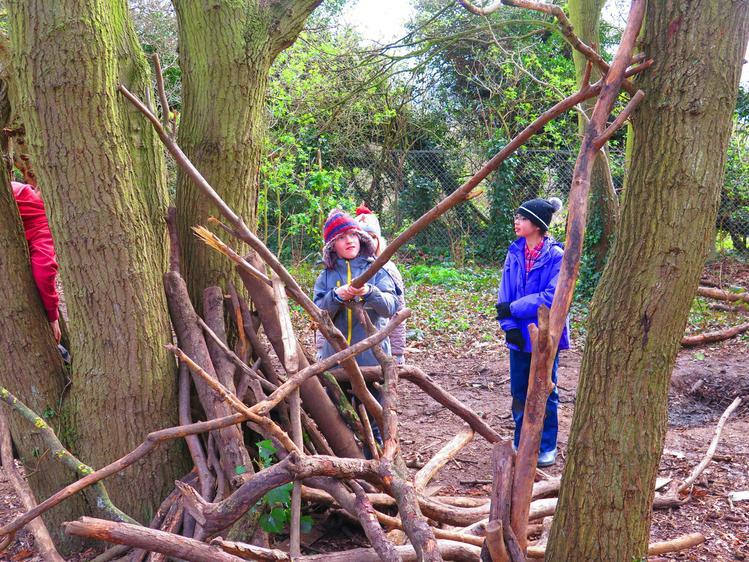 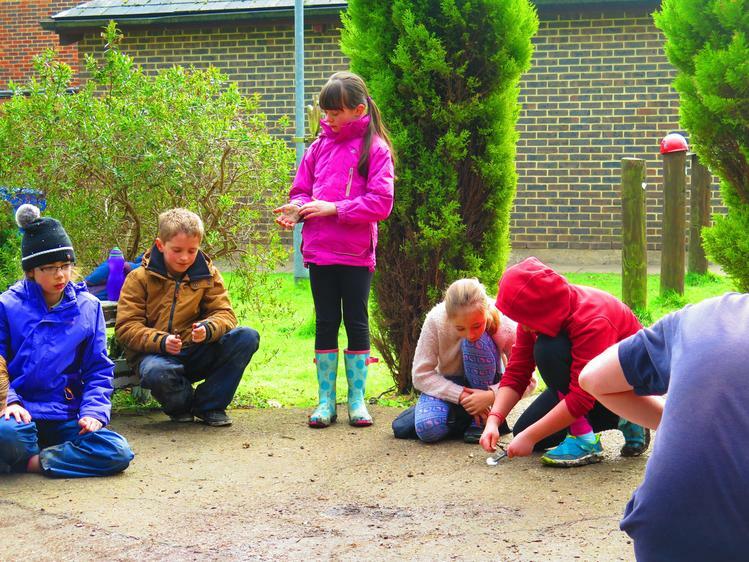 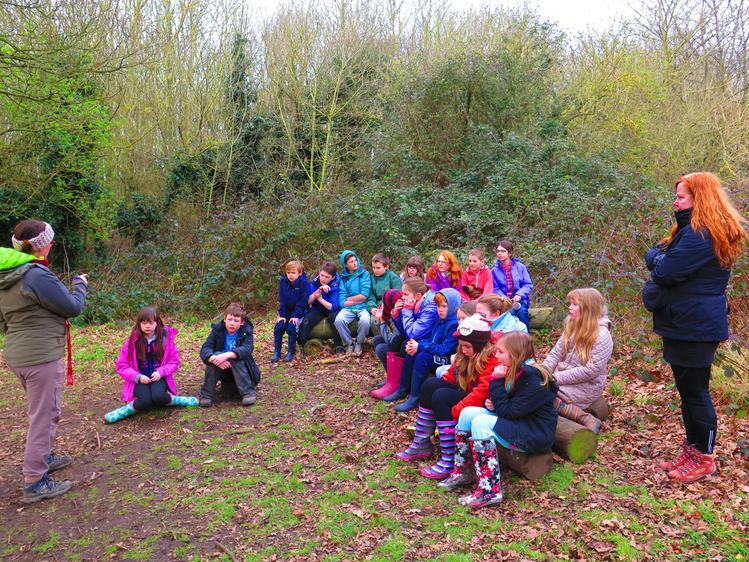 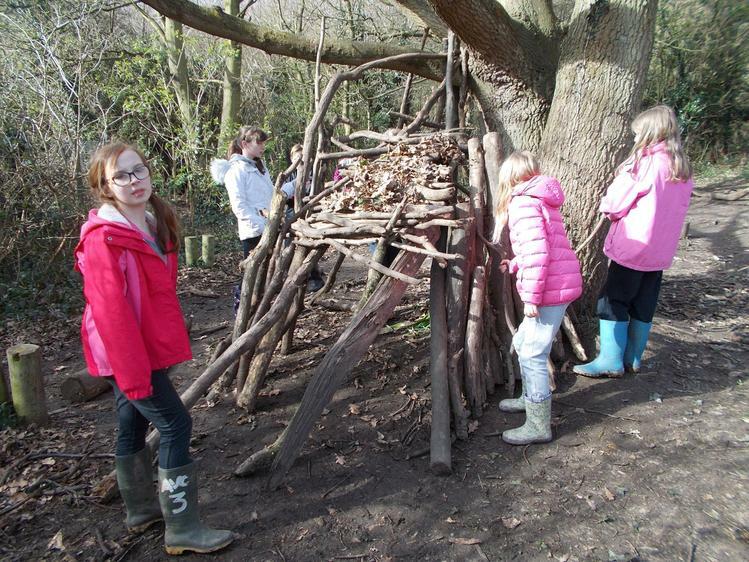 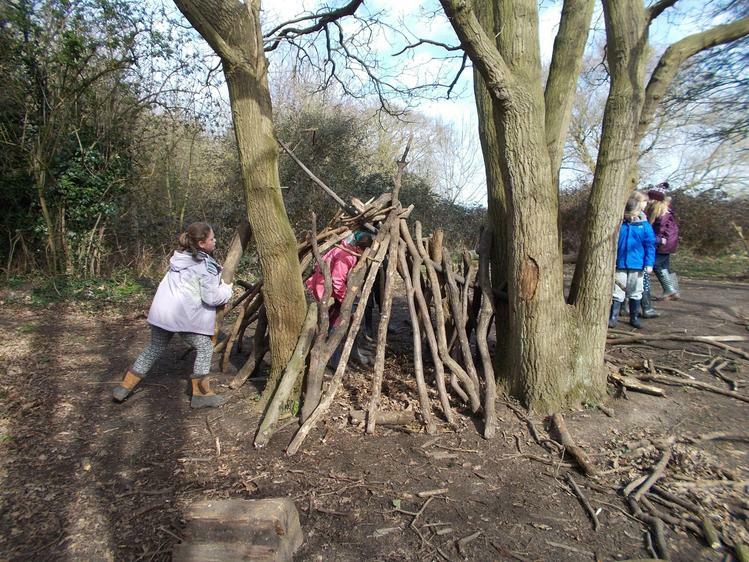 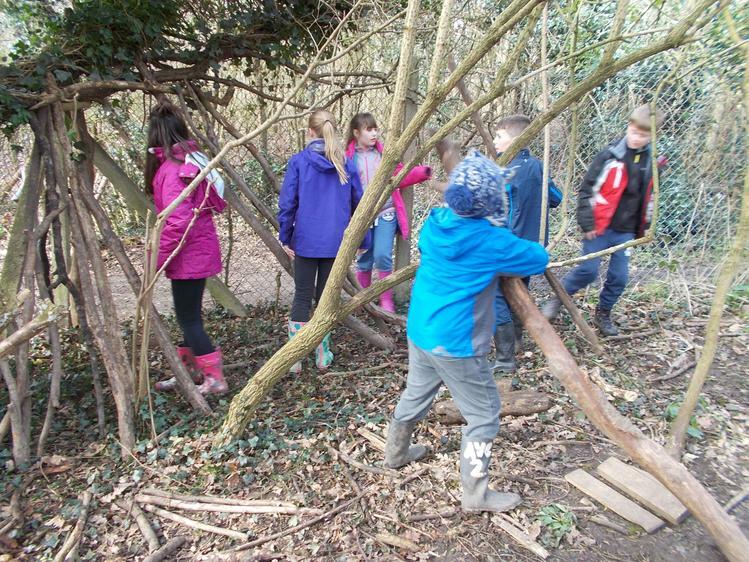 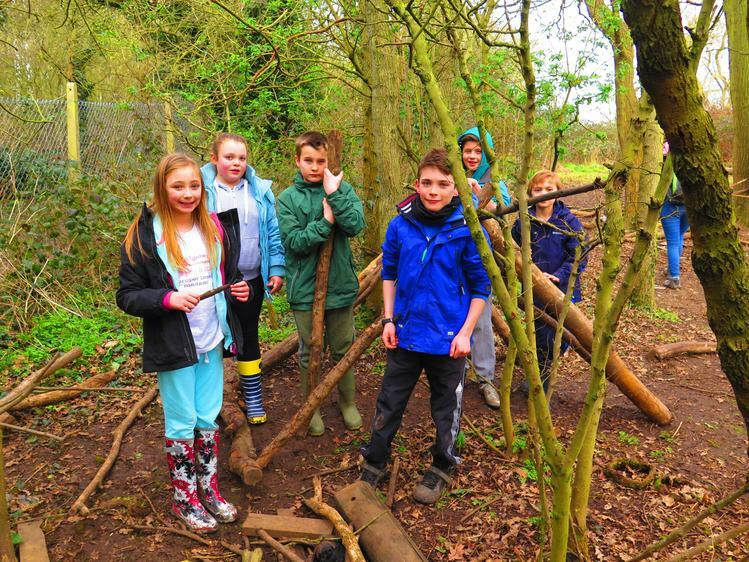 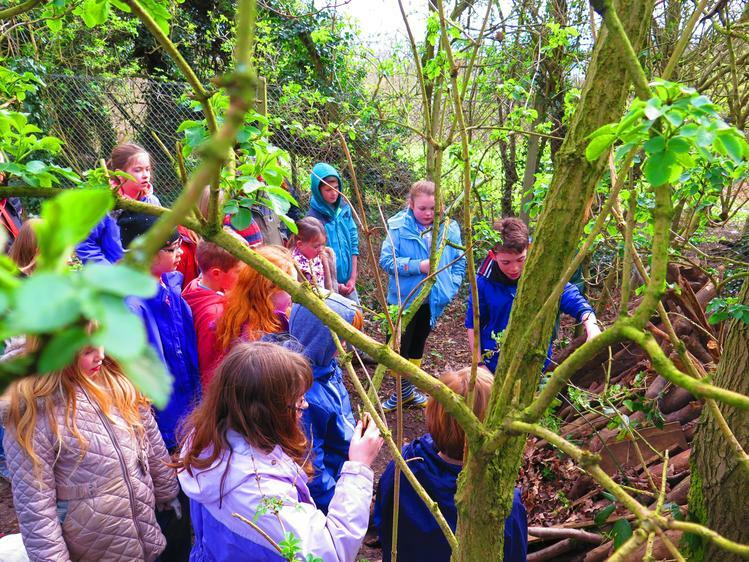 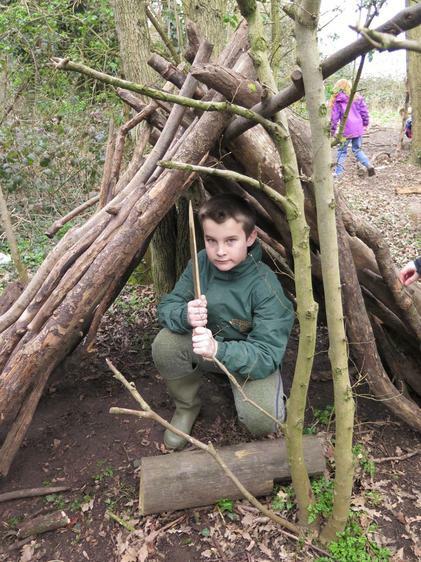 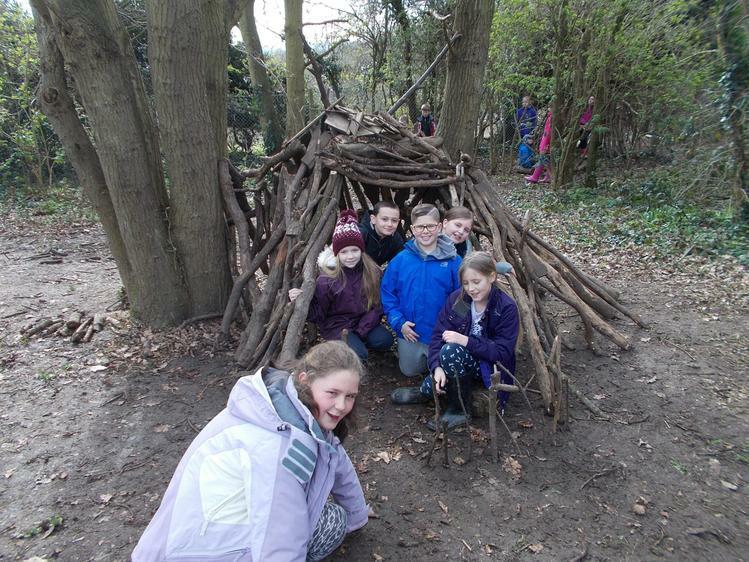 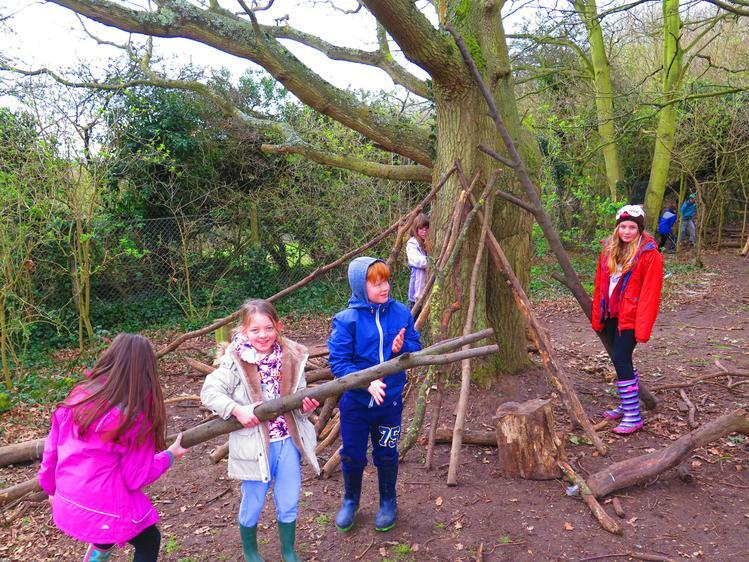 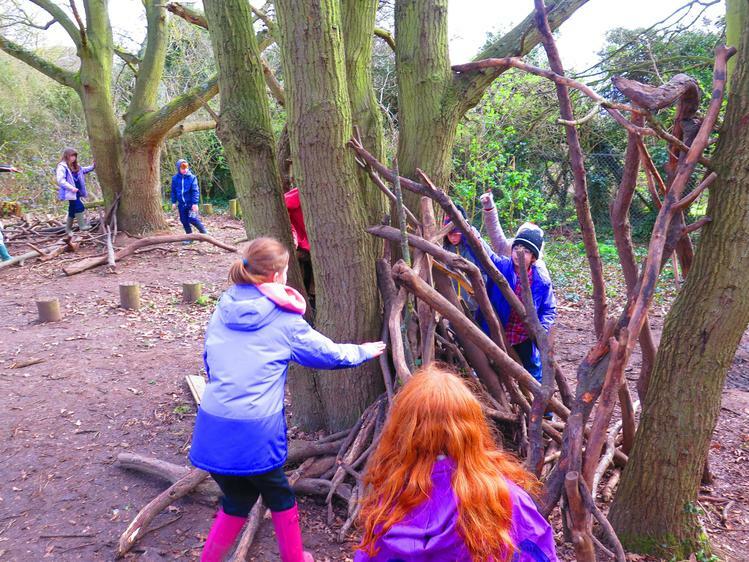 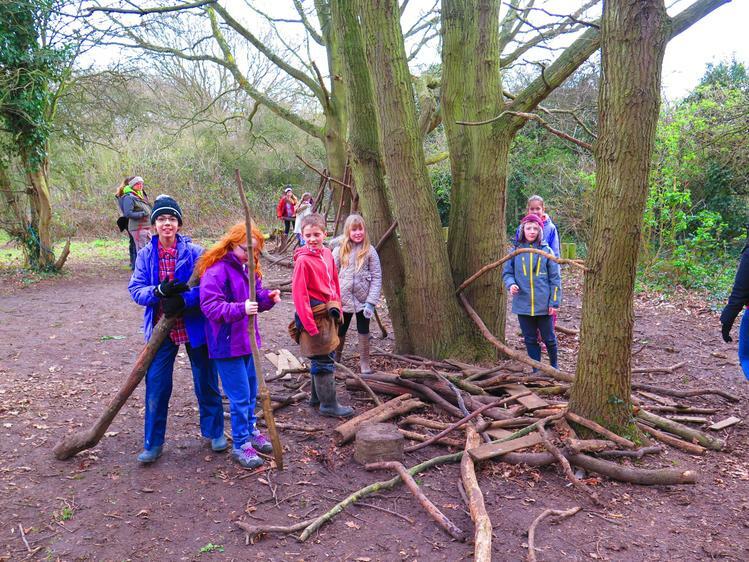 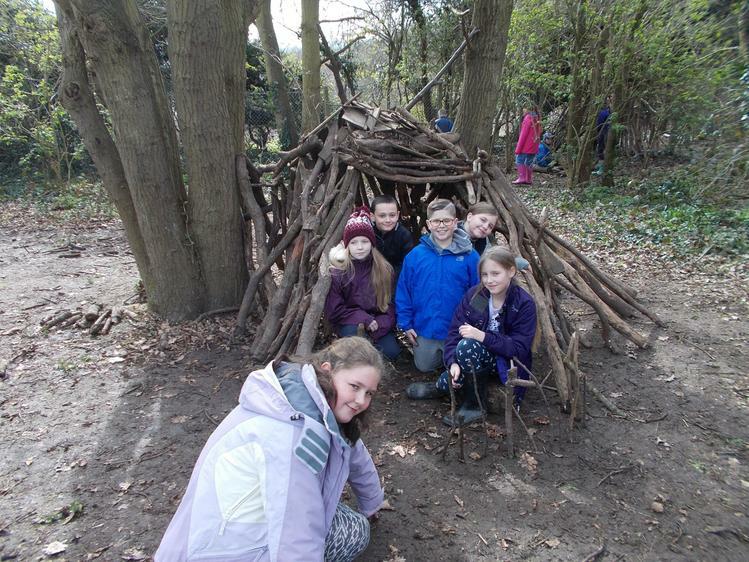 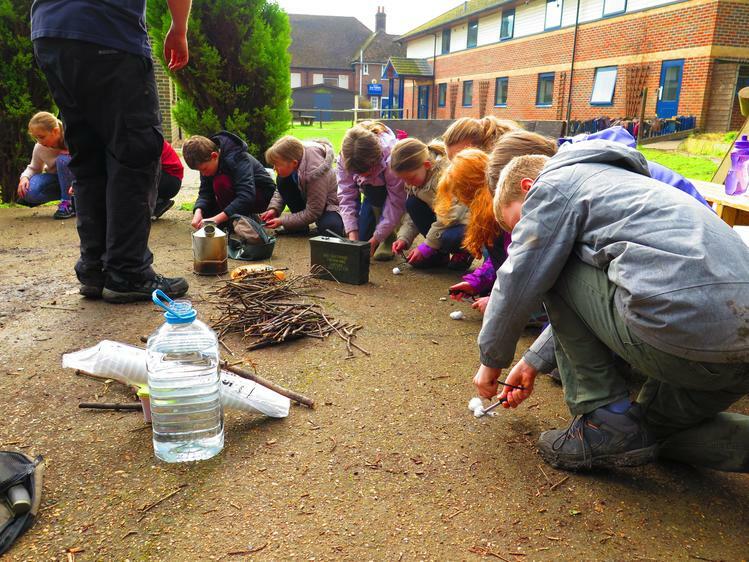 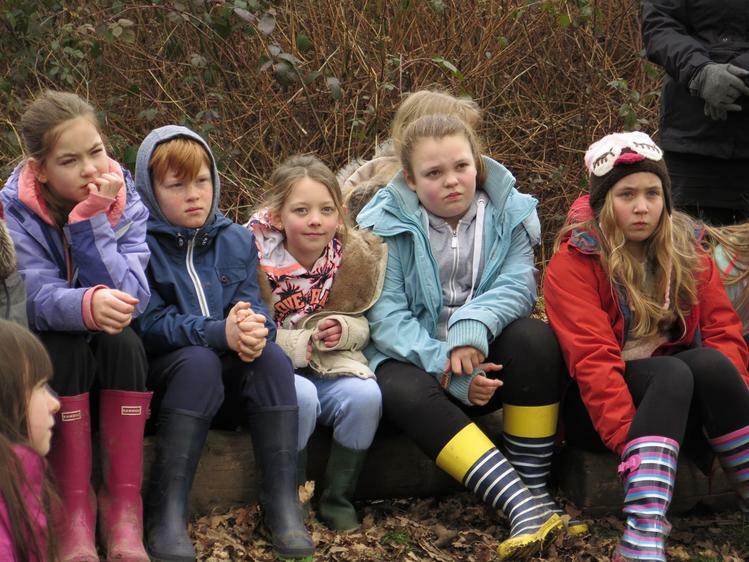 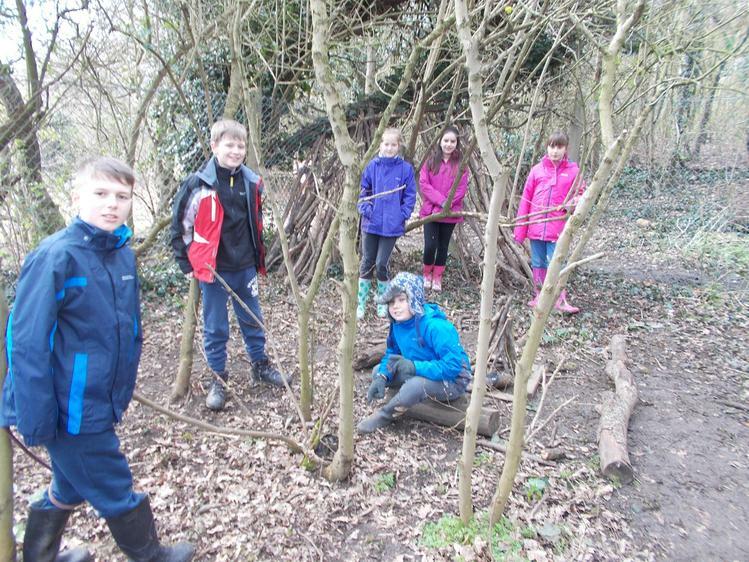 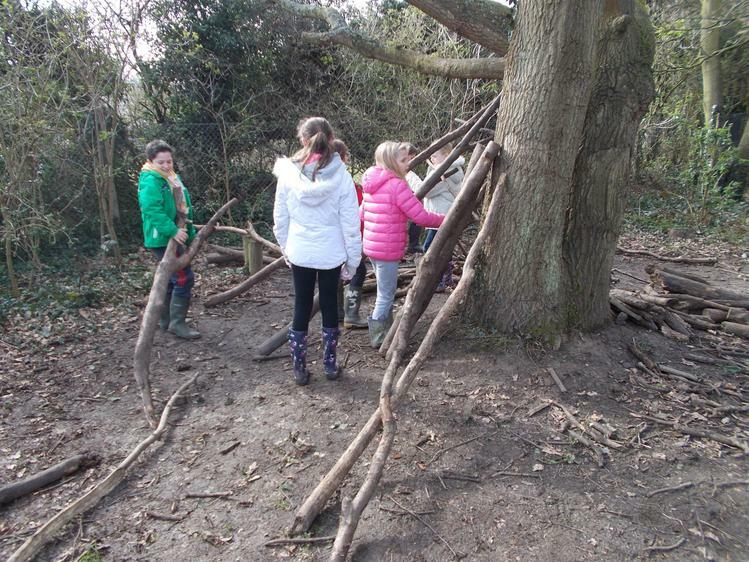 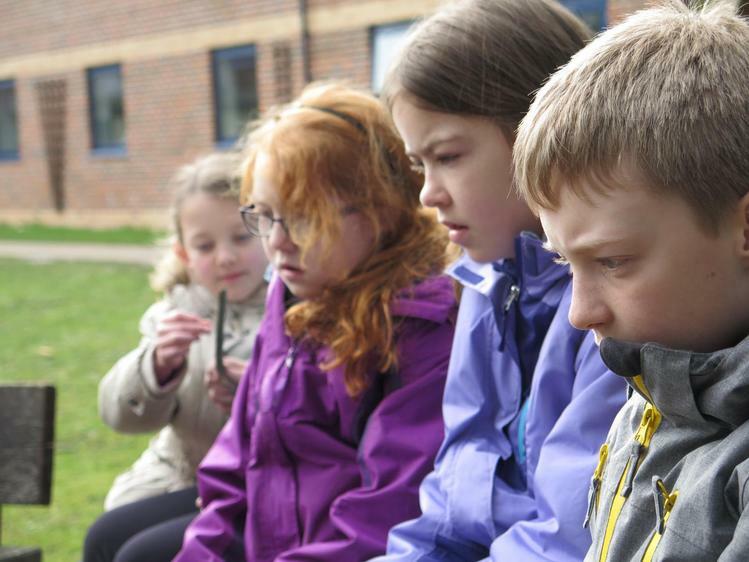 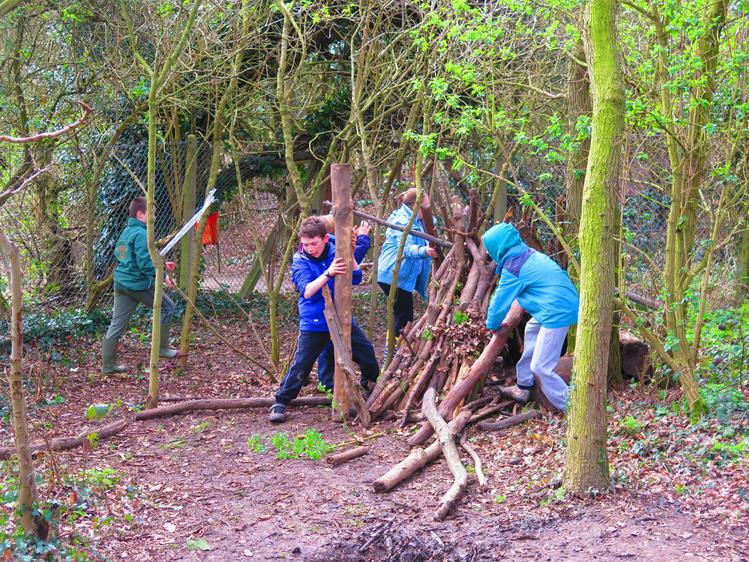 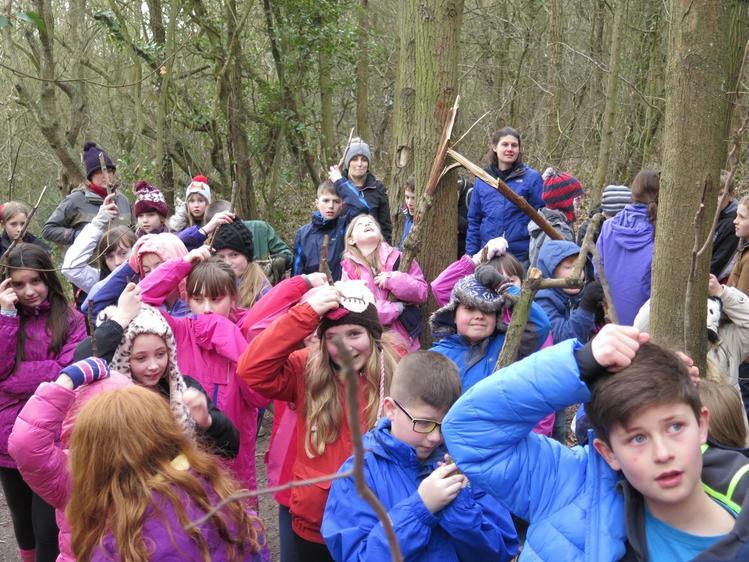 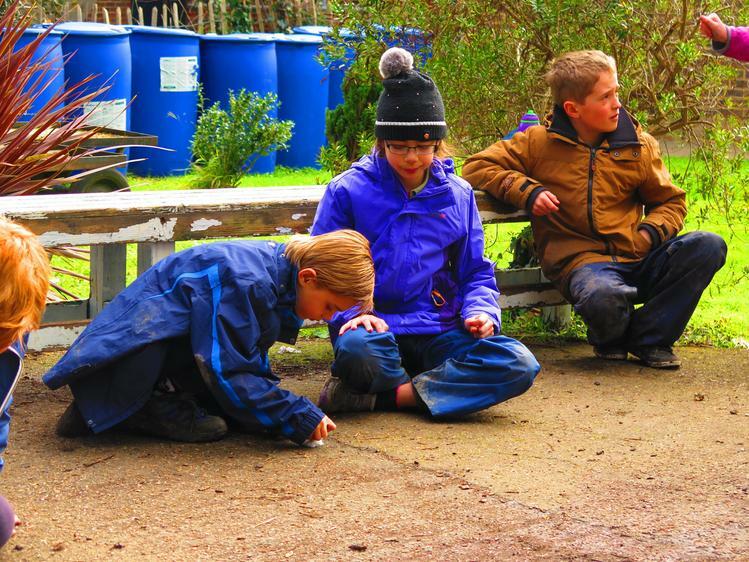 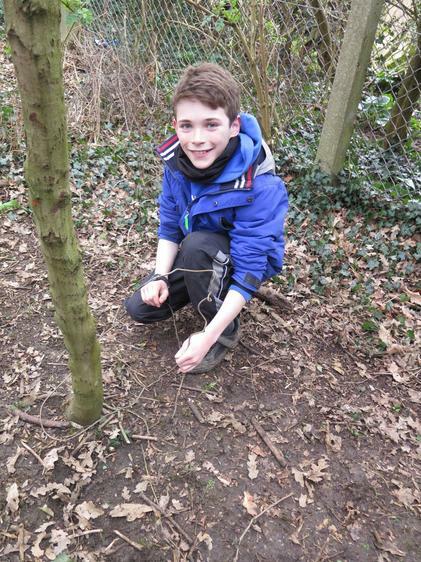 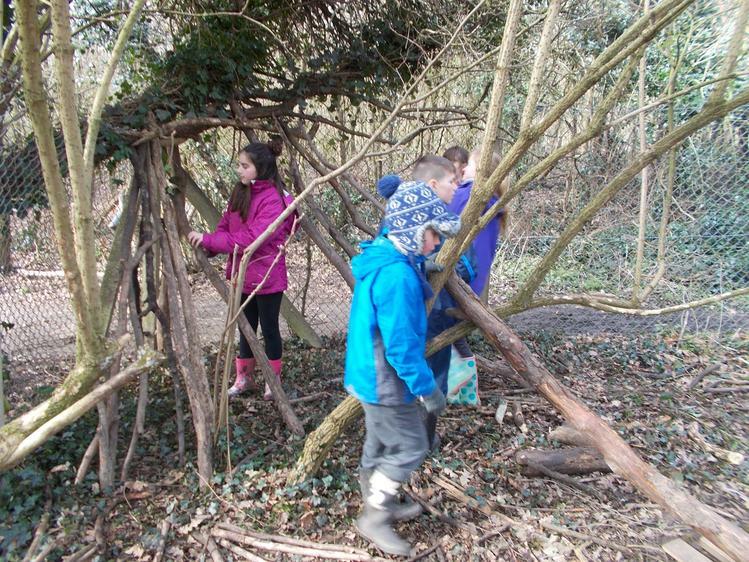 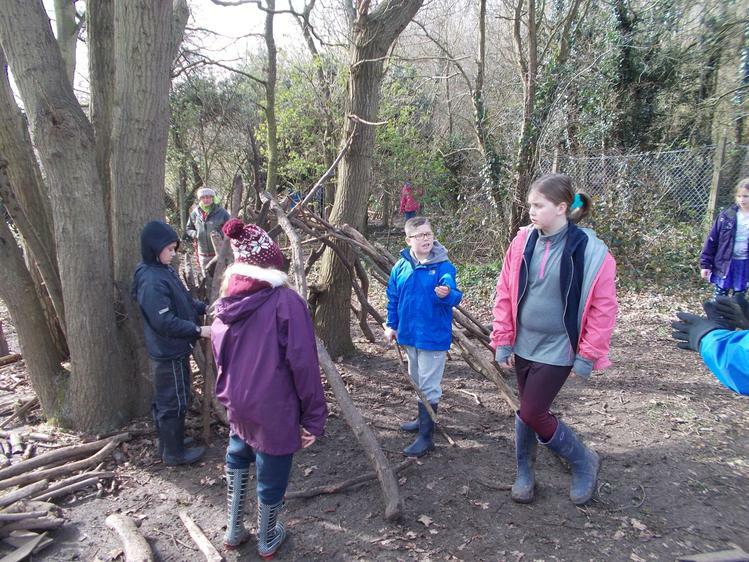 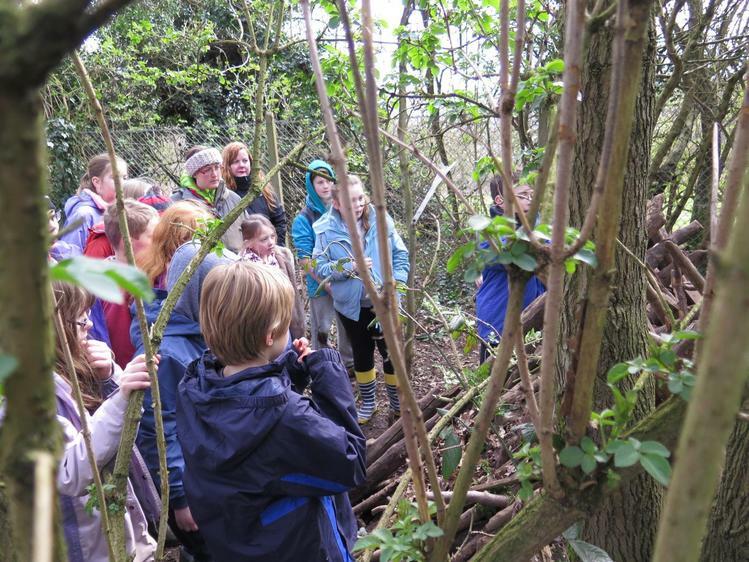 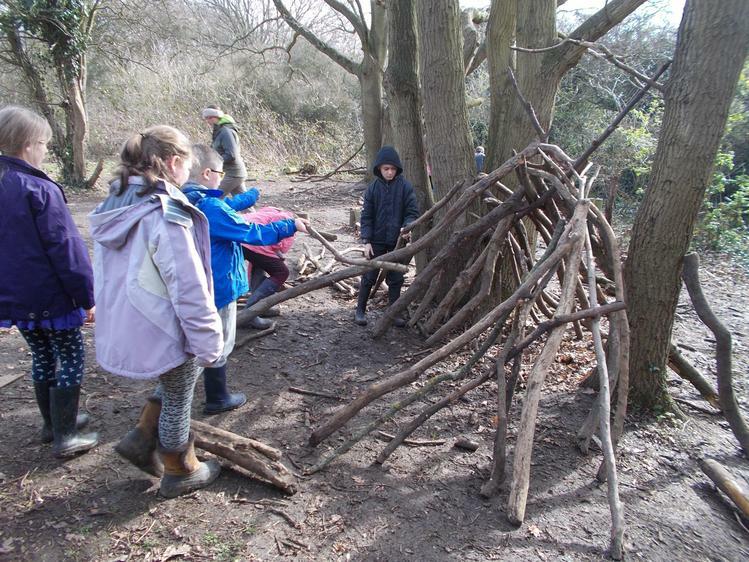 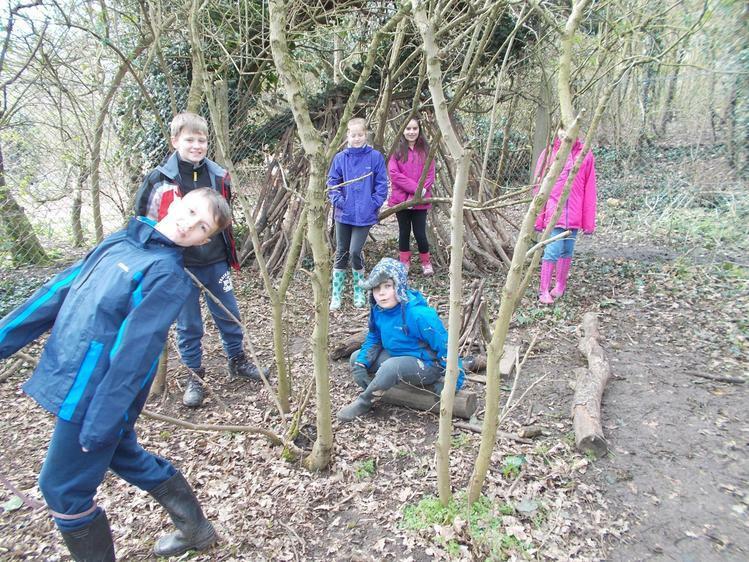 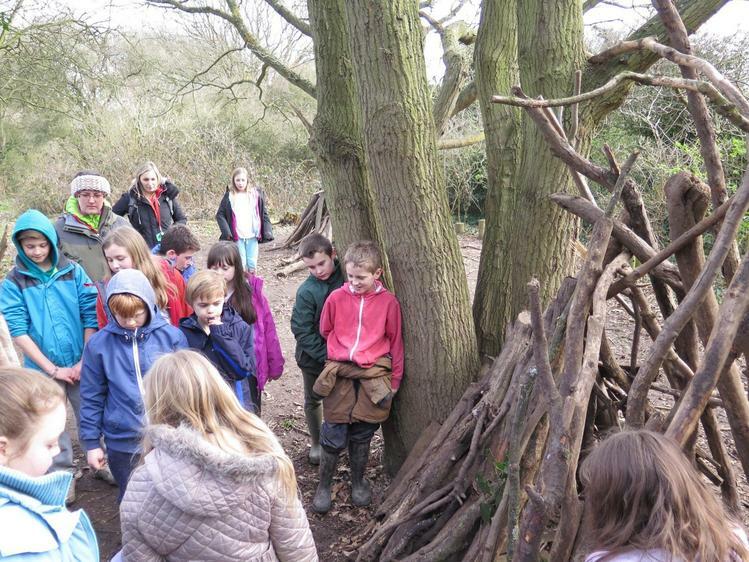 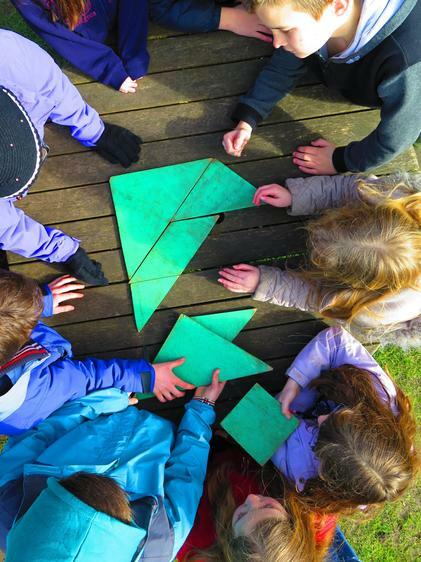 Today the children have taken part in bush craft- they collected wood and created fires using magnesium rods for the spark. 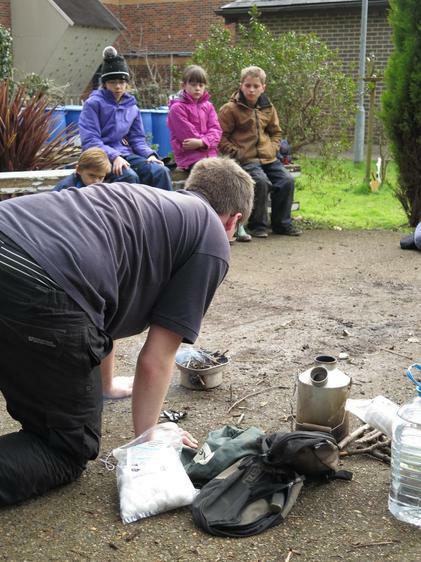 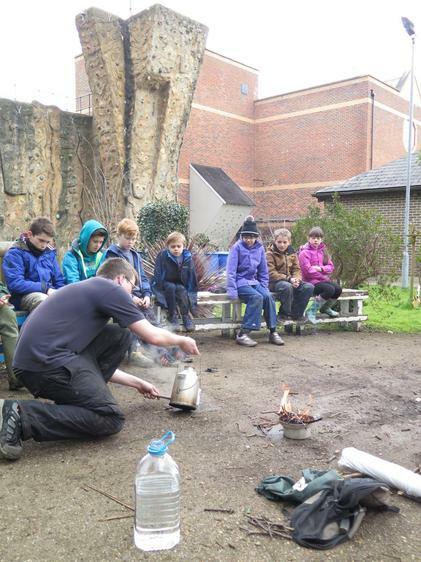 They then fed the fire and were able to boil water to make hot chocolate. 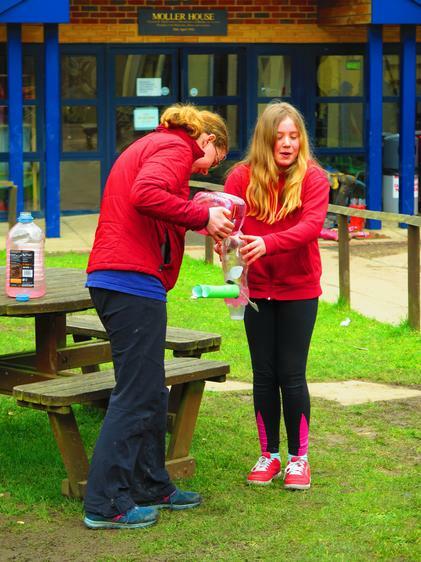 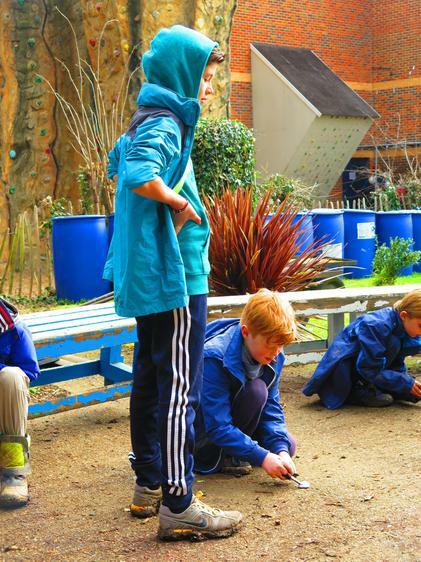 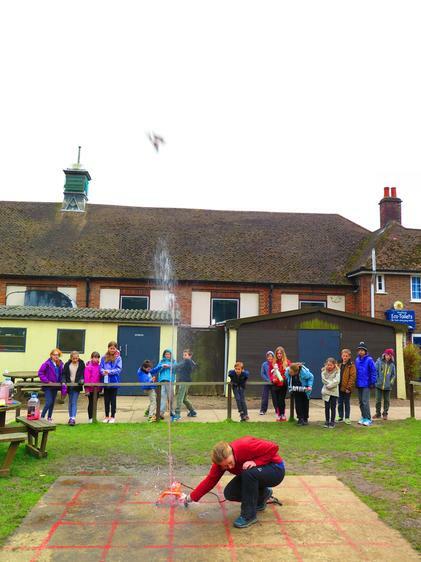 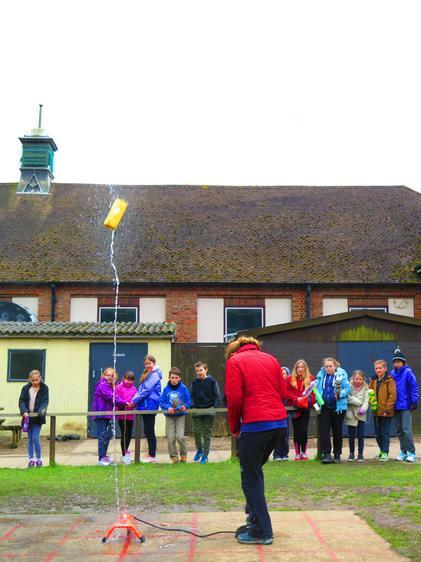 They also made rockets and then launched them in a competition to see which one went highest. 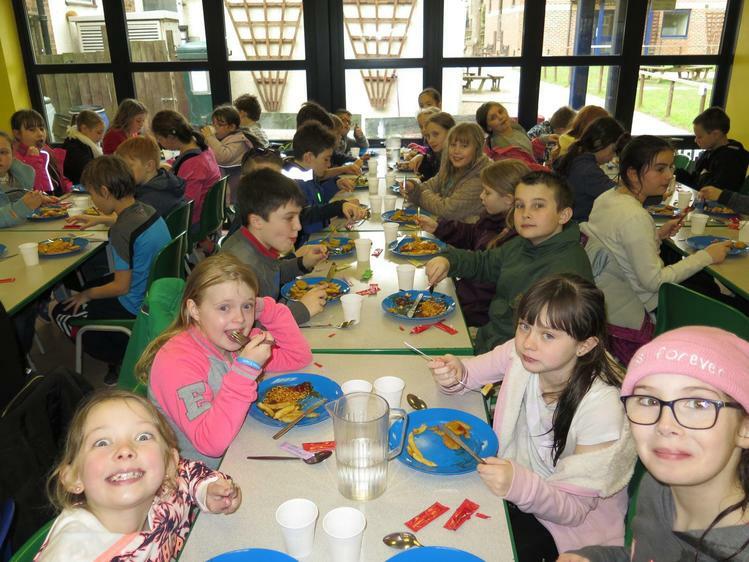 We had a lovely packed lunch! 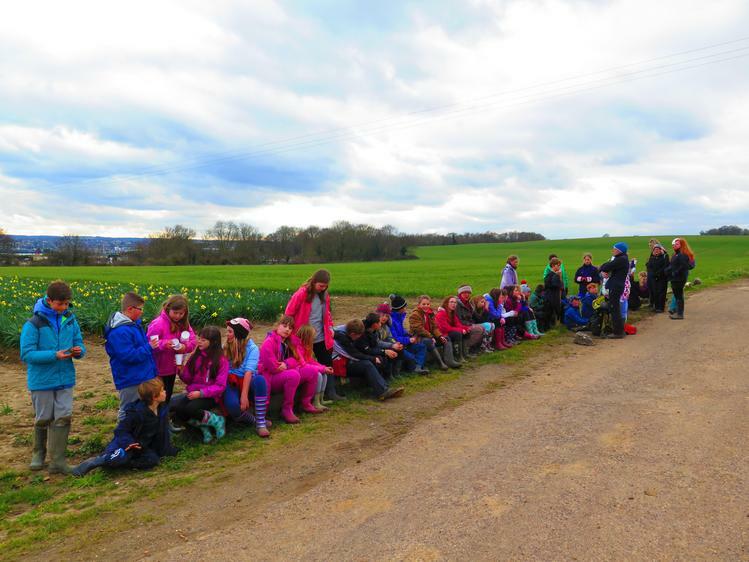 In the afternoon we walked through the woods to the top field. 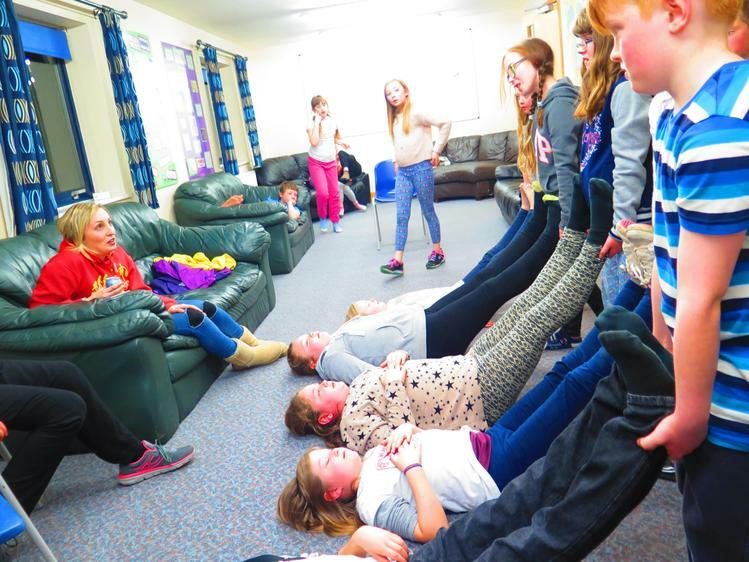 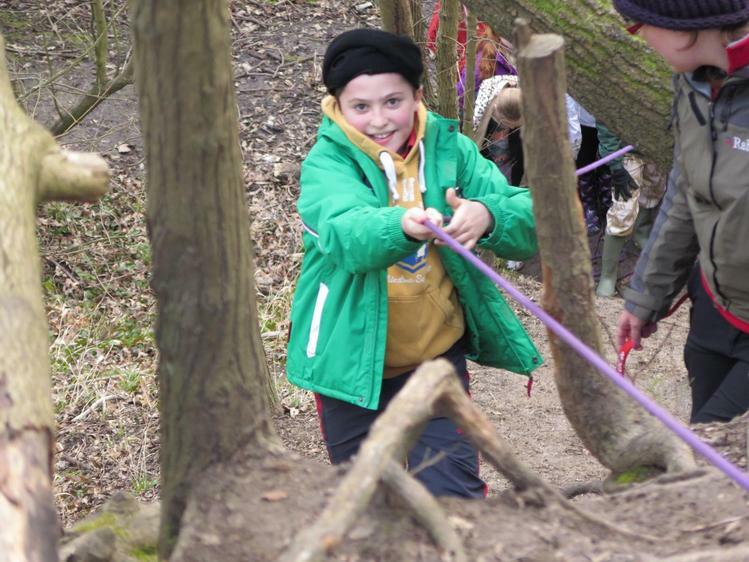 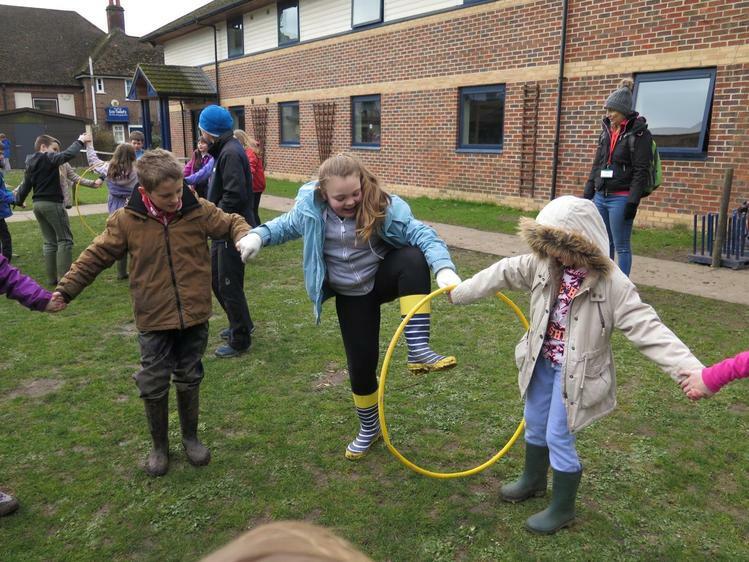 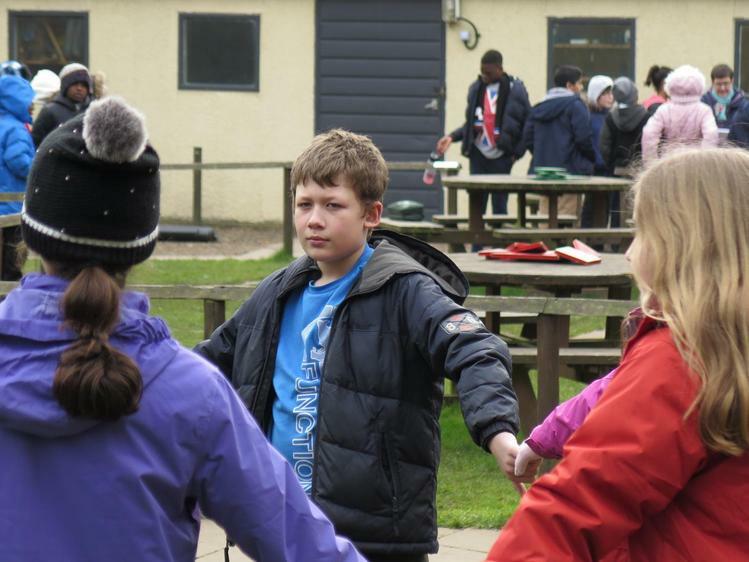 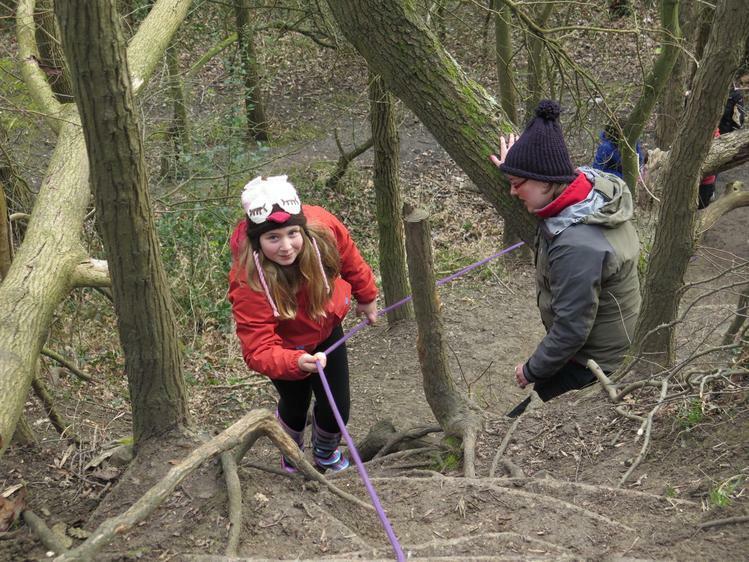 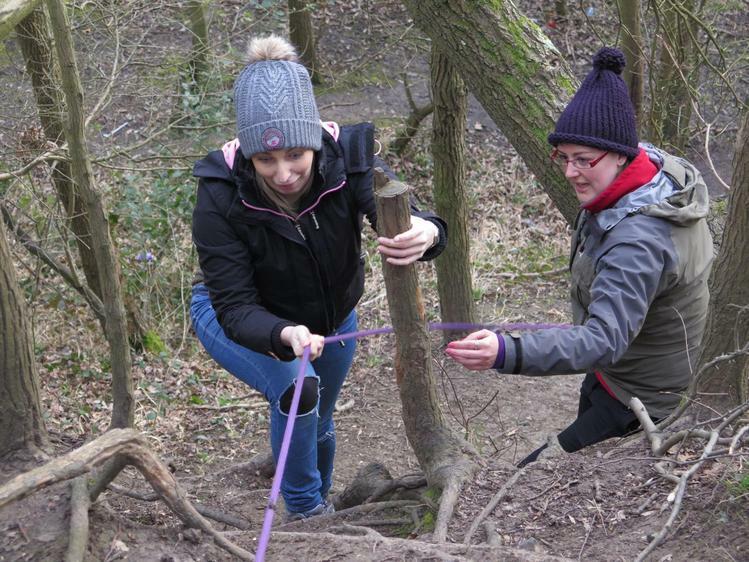 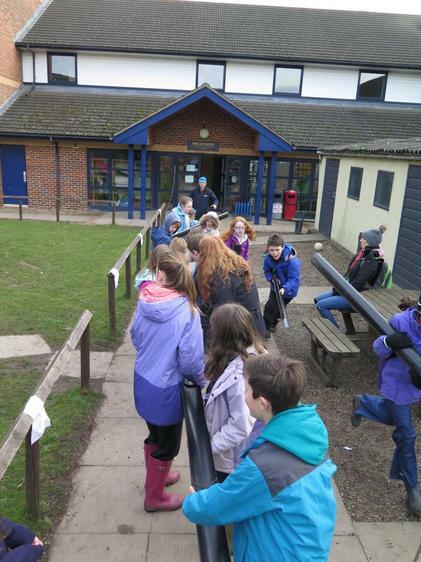 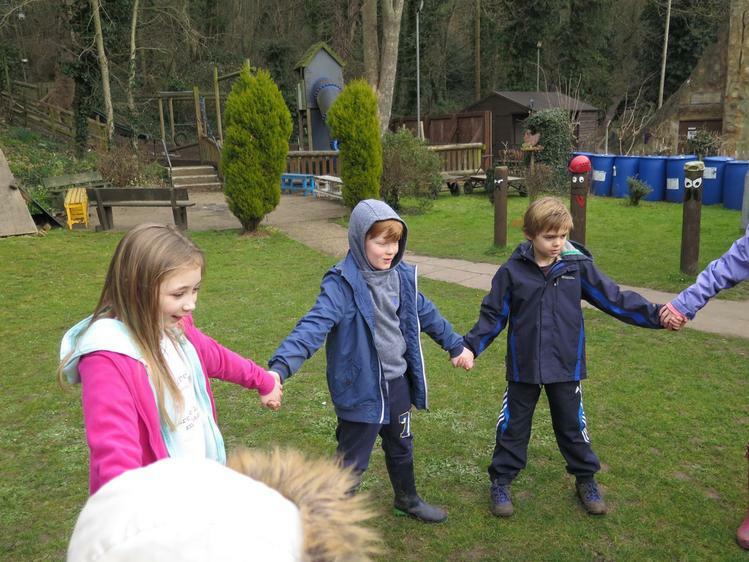 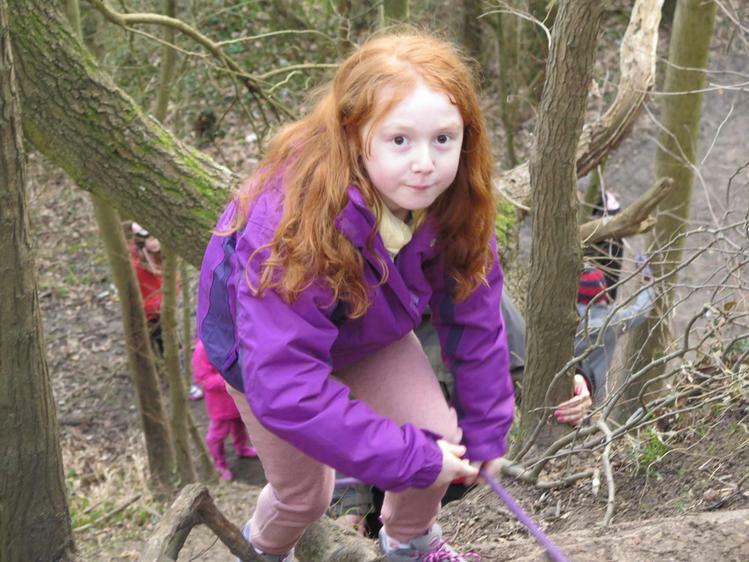 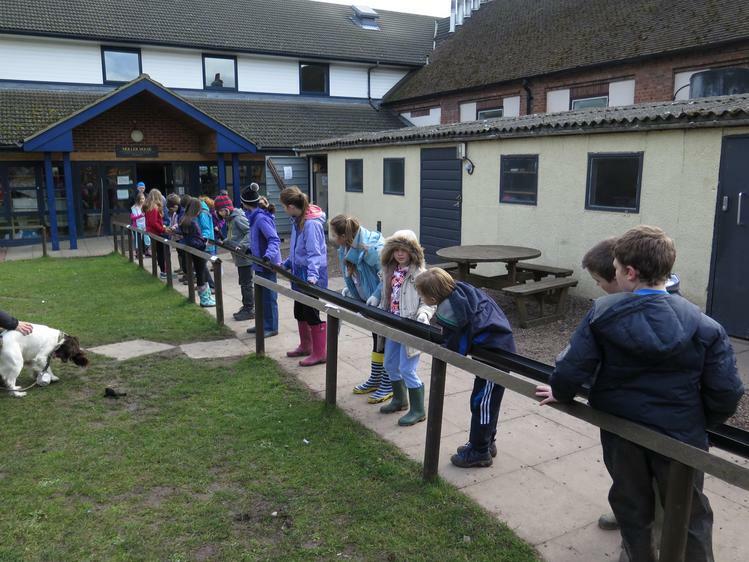 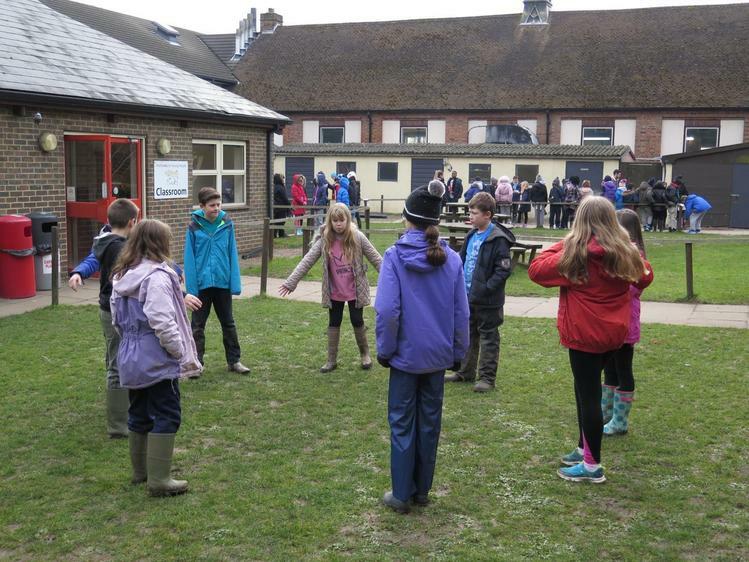 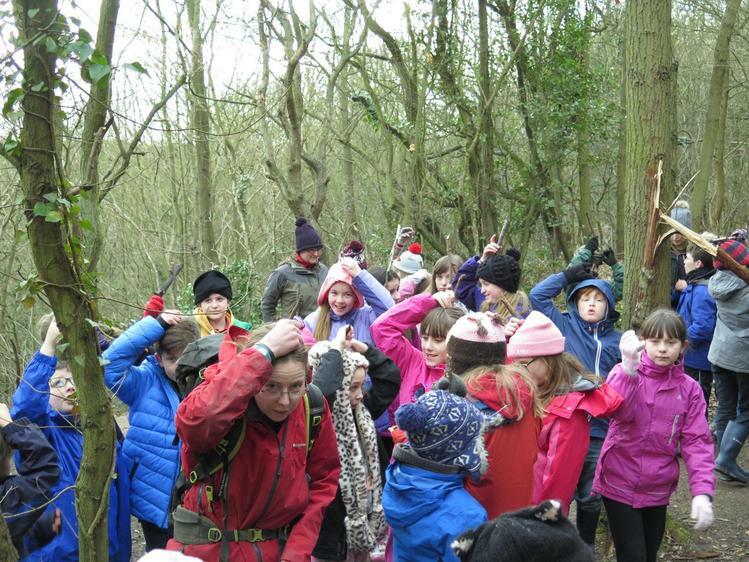 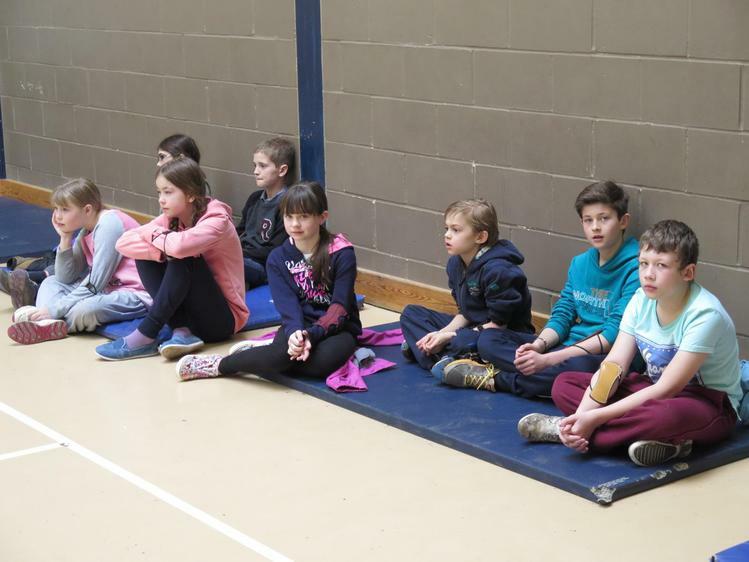 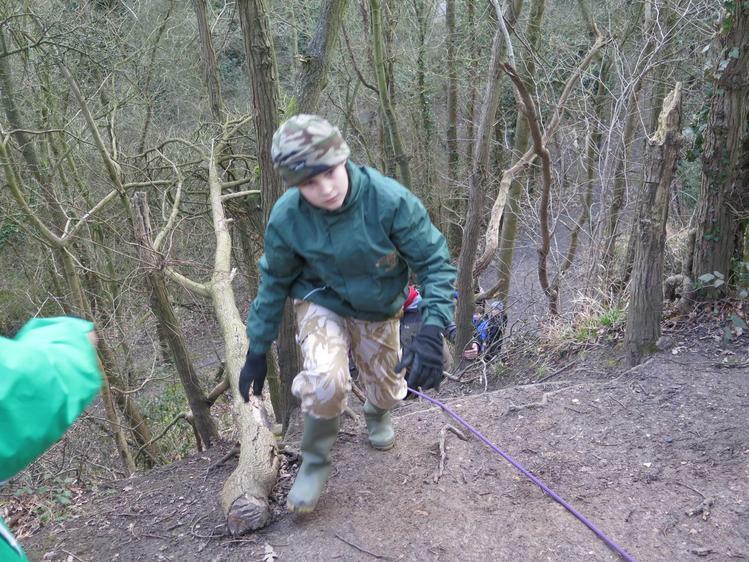 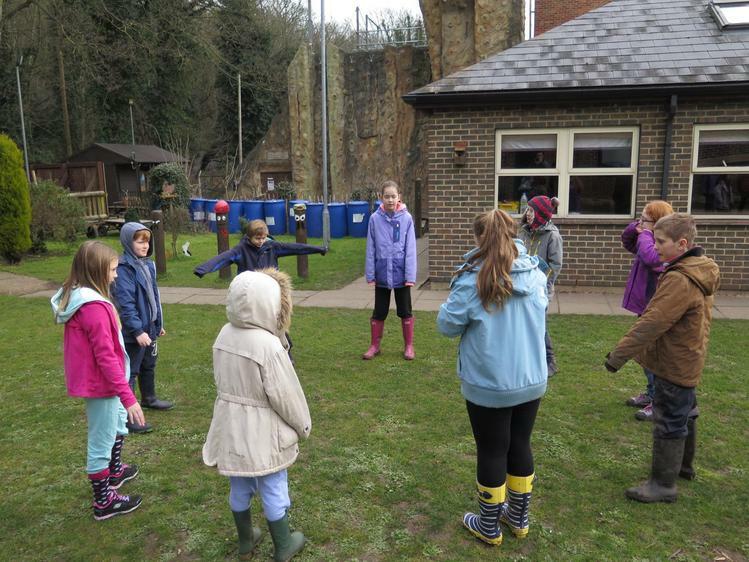 Once up there, the children had problem solving activities on the low ropes. 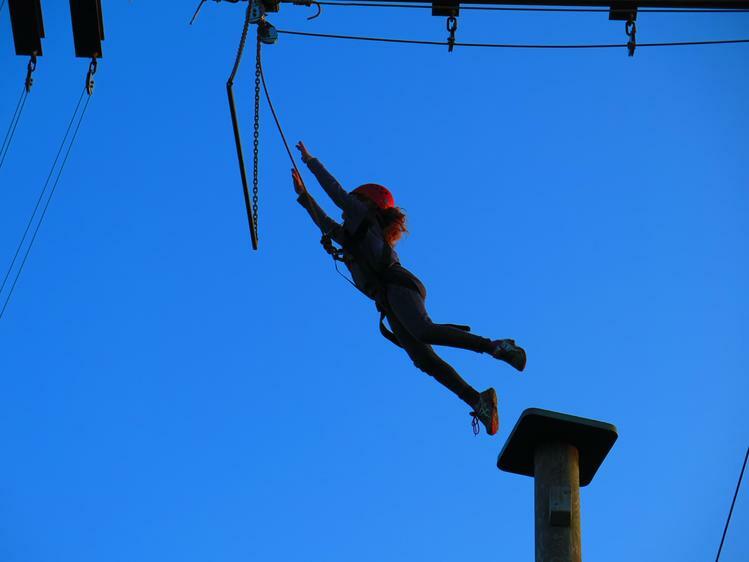 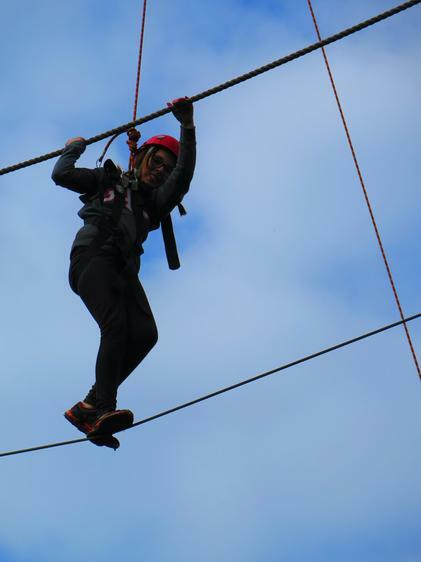 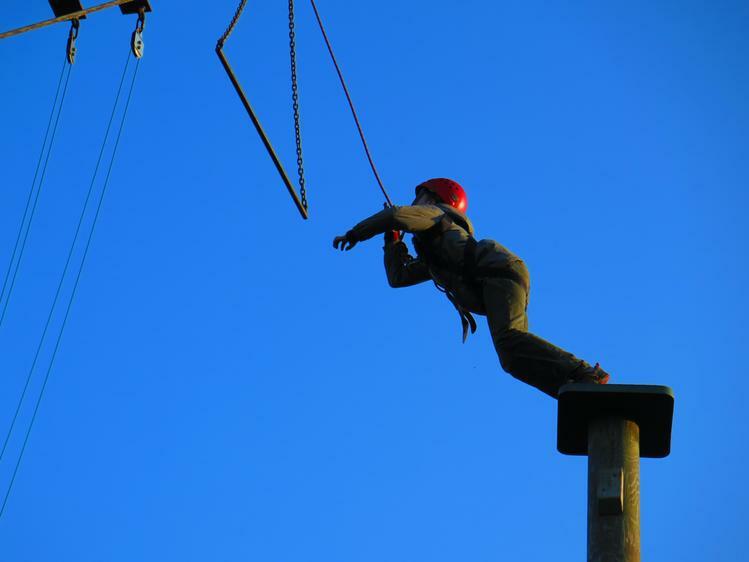 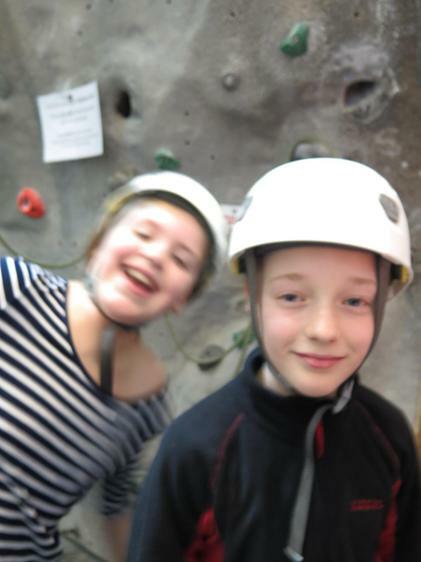 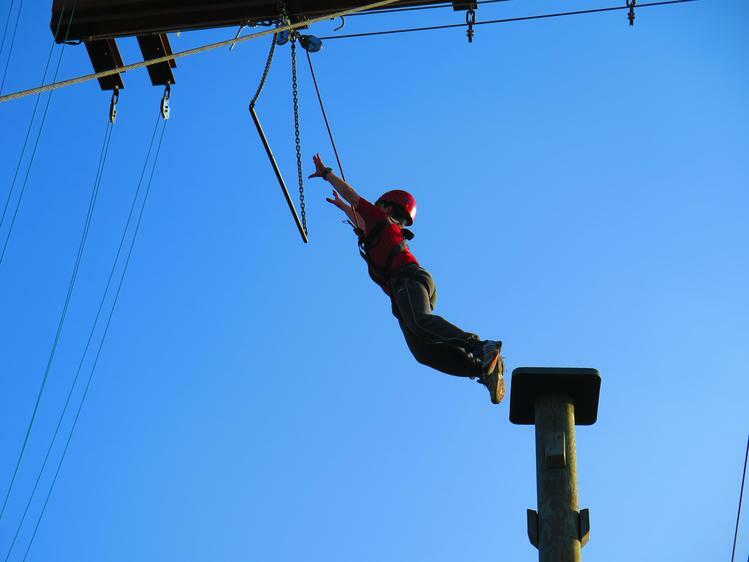 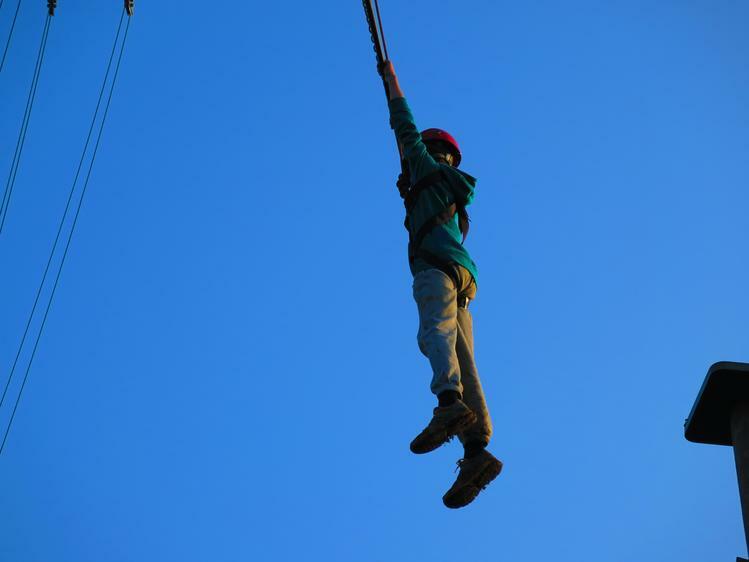 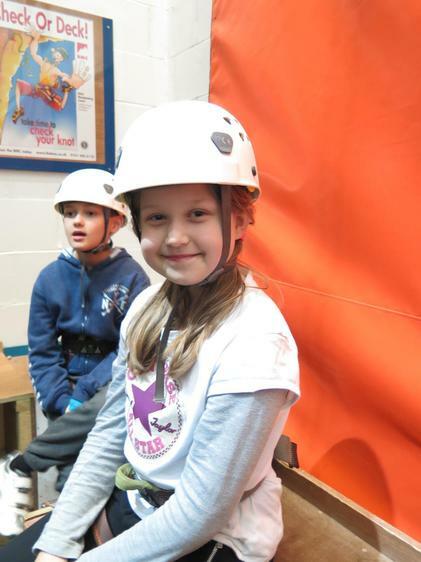 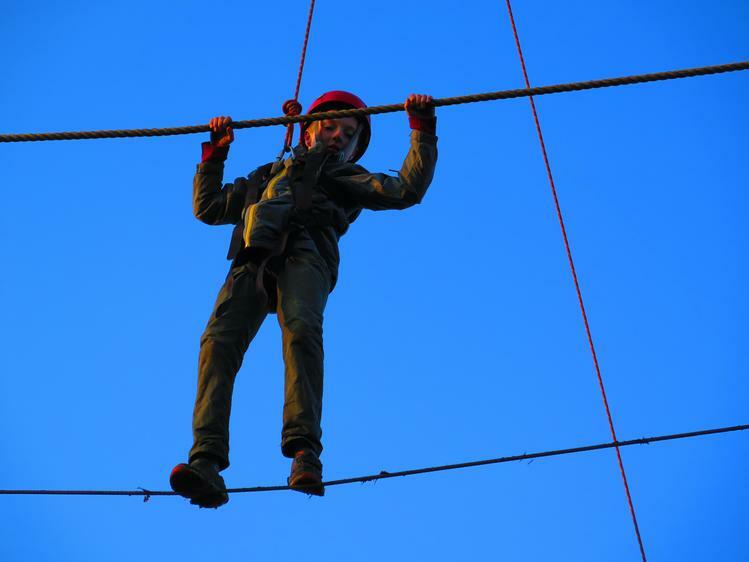 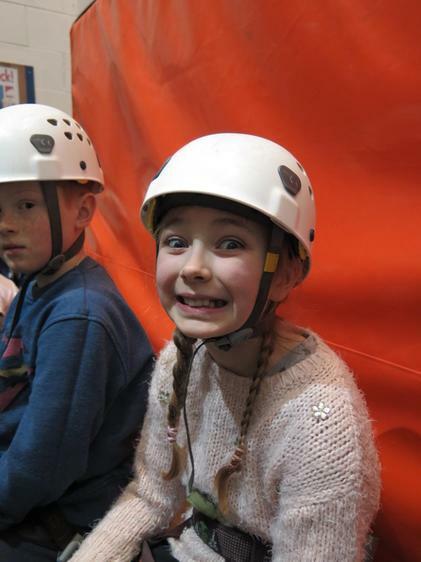 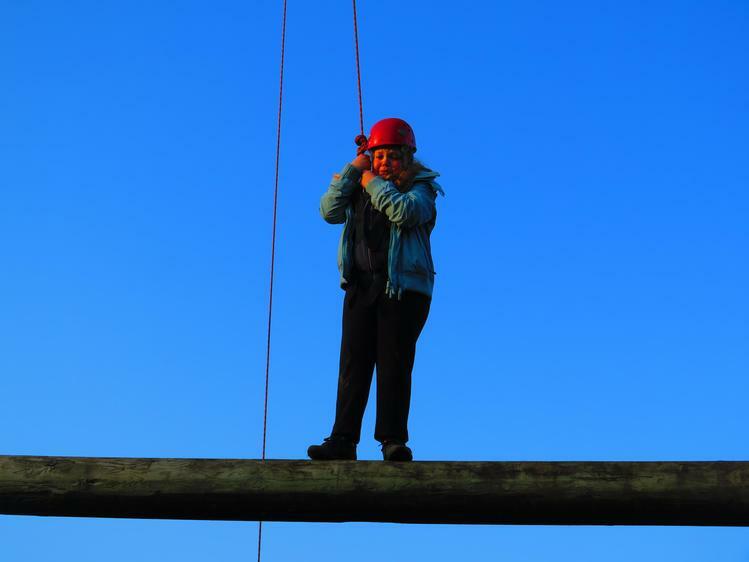 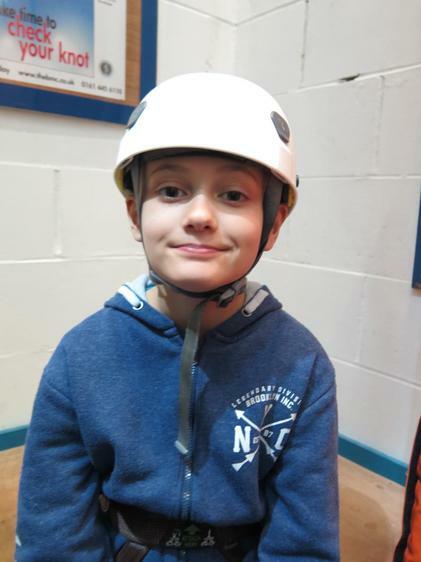 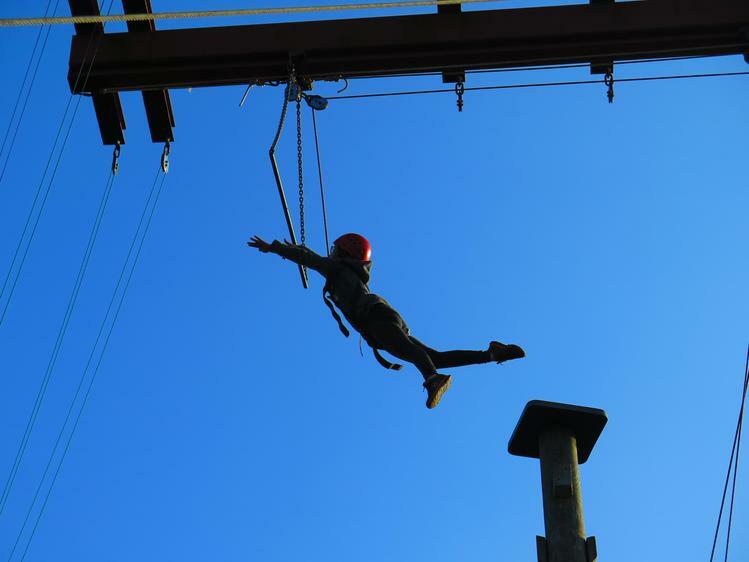 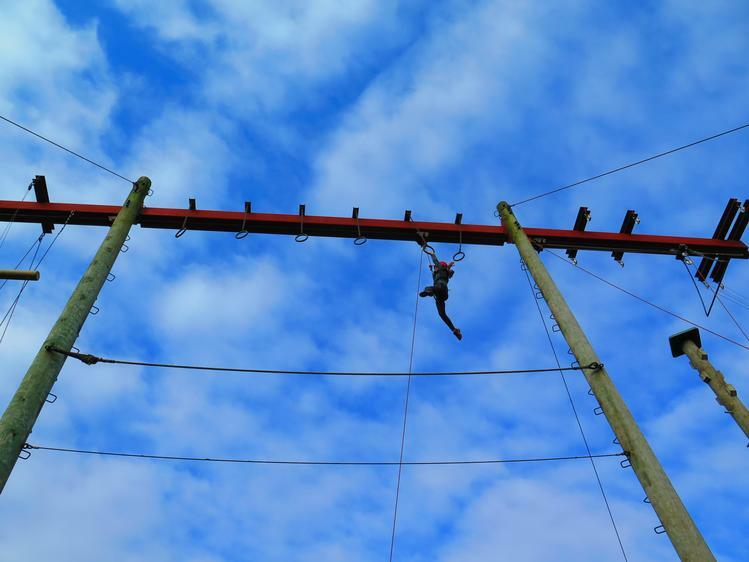 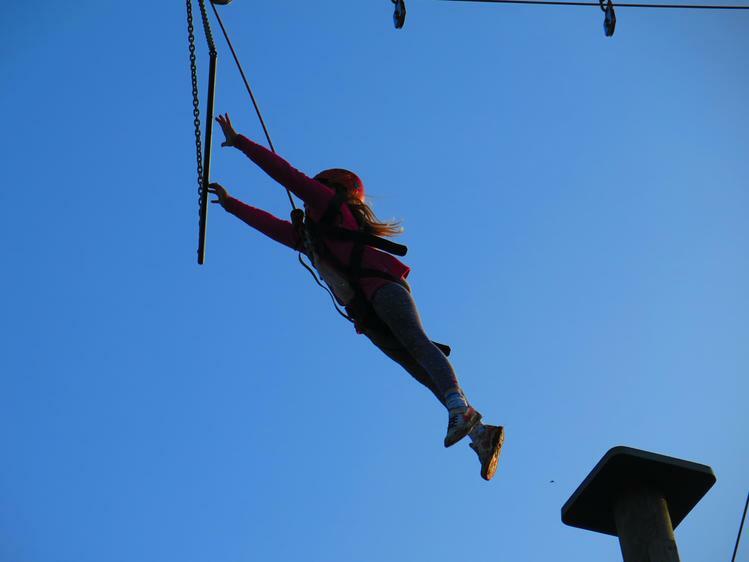 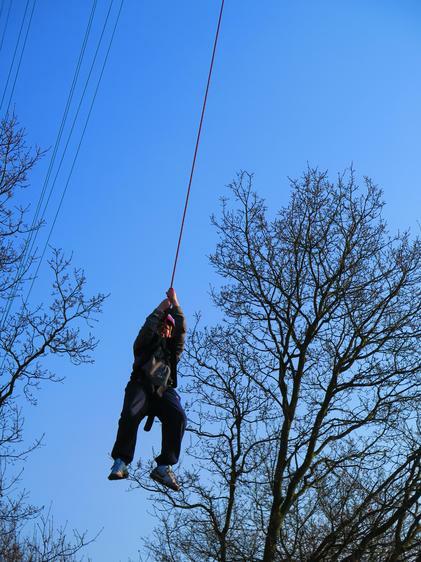 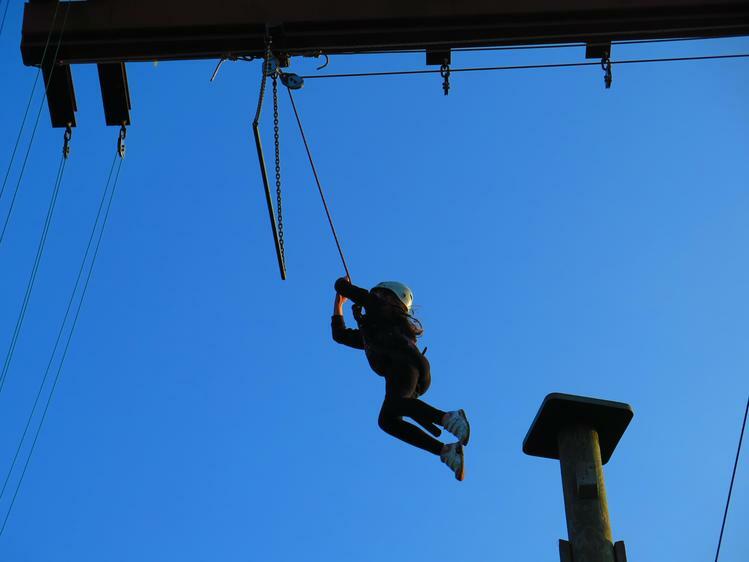 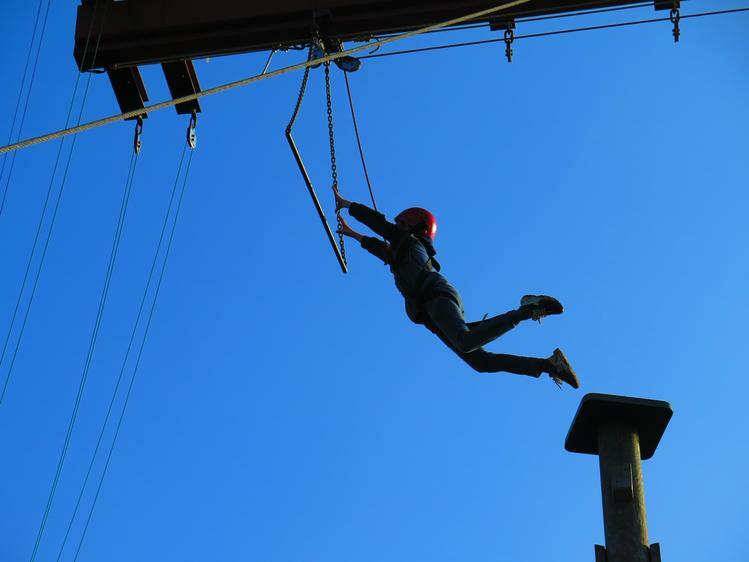 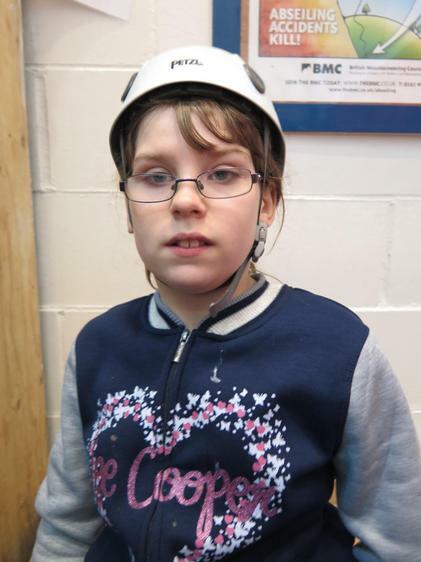 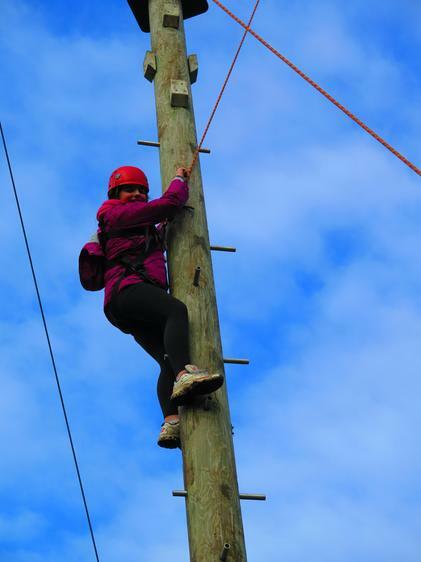 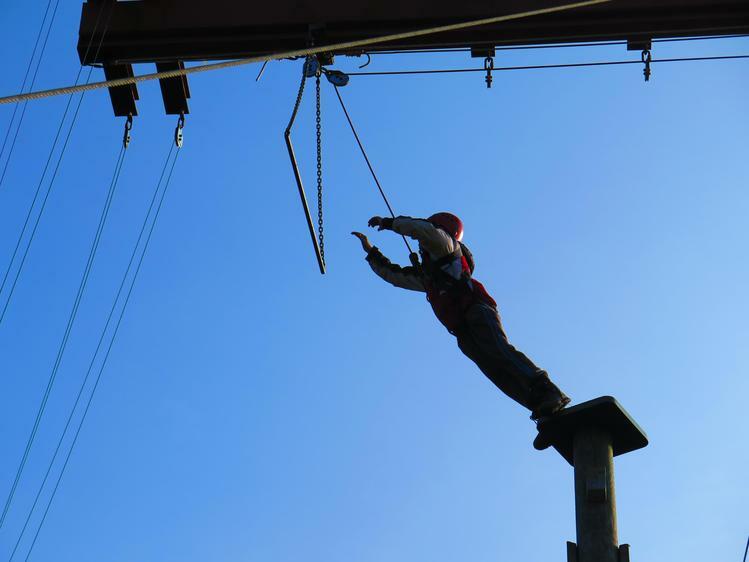 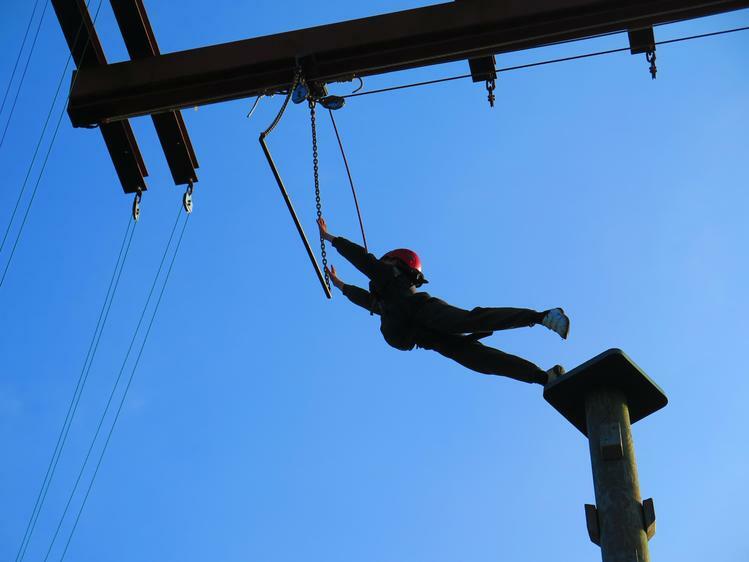 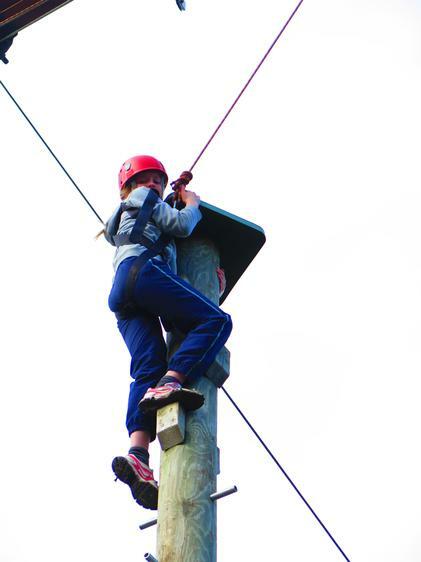 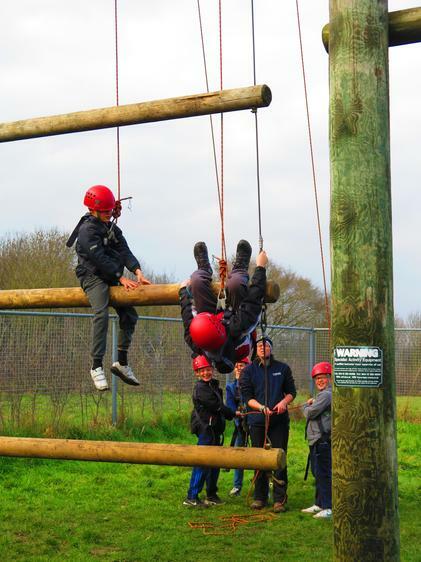 They also went on the high ropes- as you can see by the photos, these activities were not for the faint-hearted. 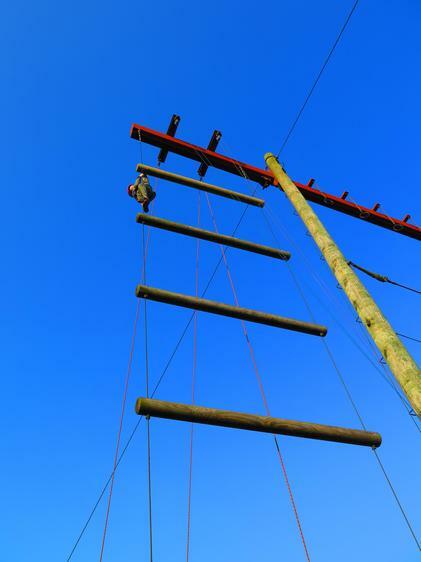 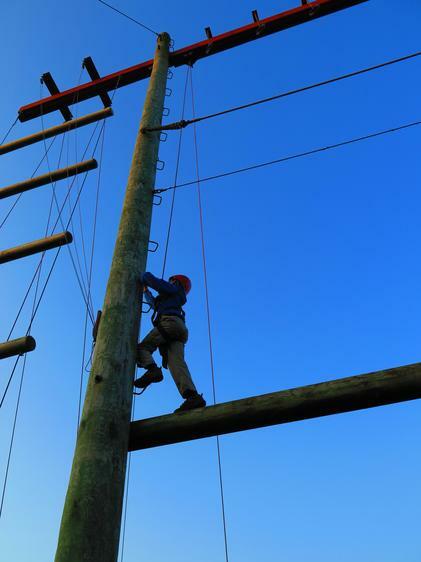 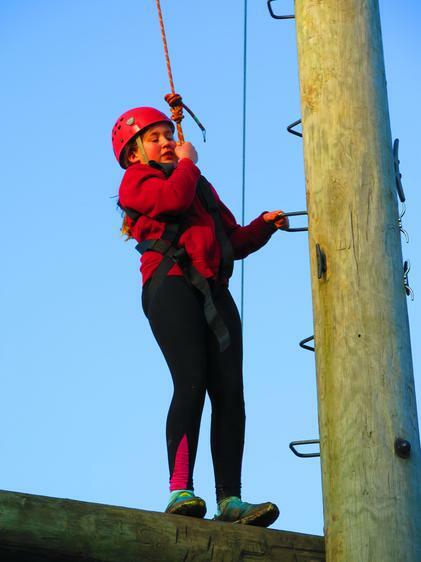 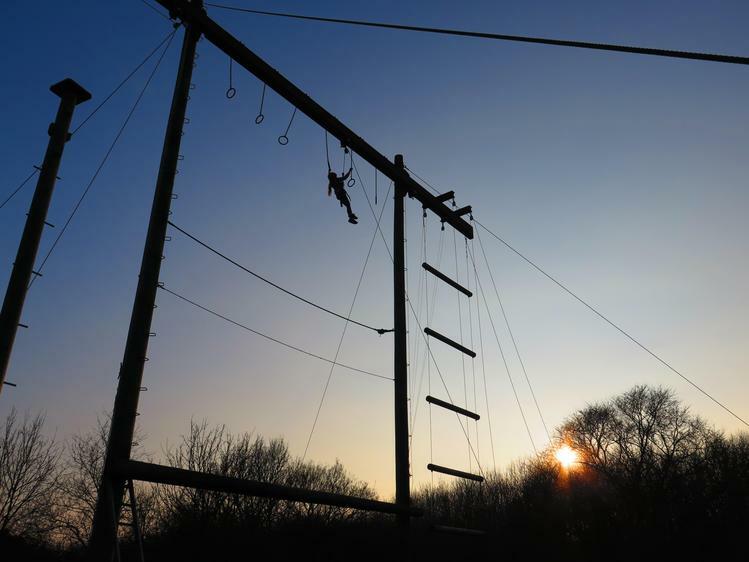 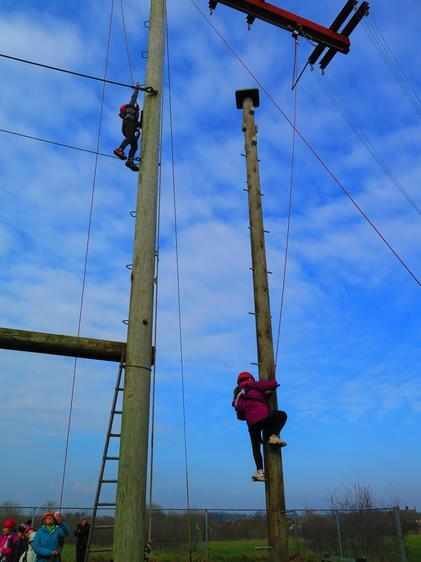 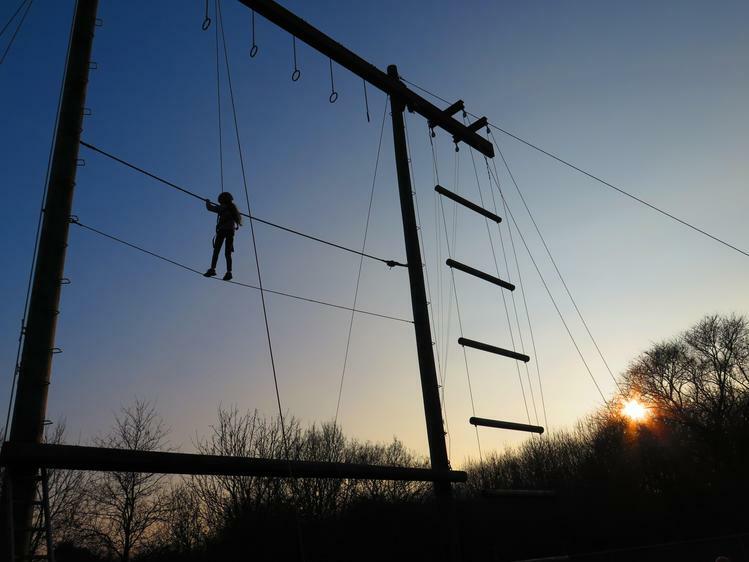 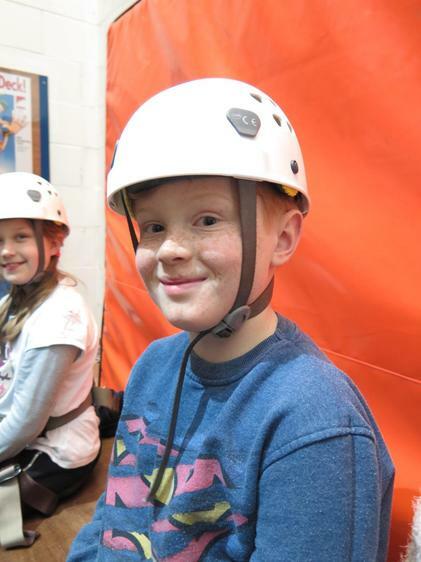 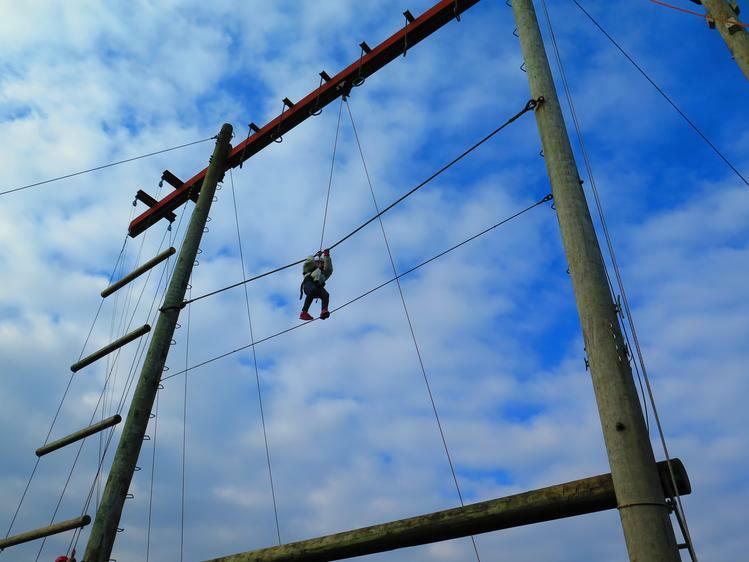 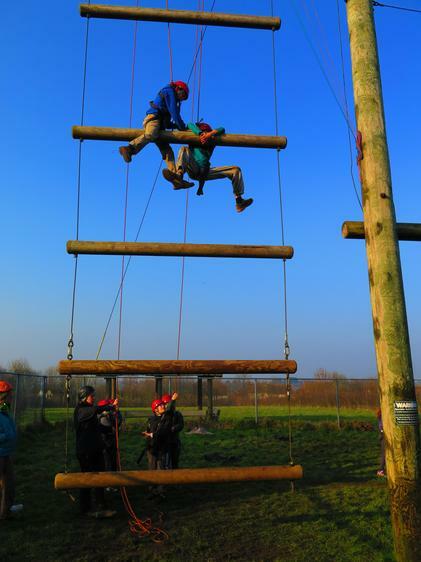 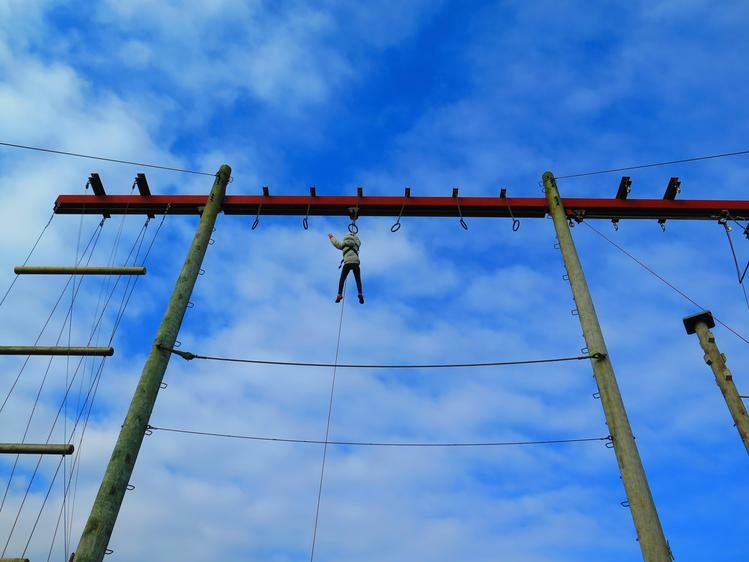 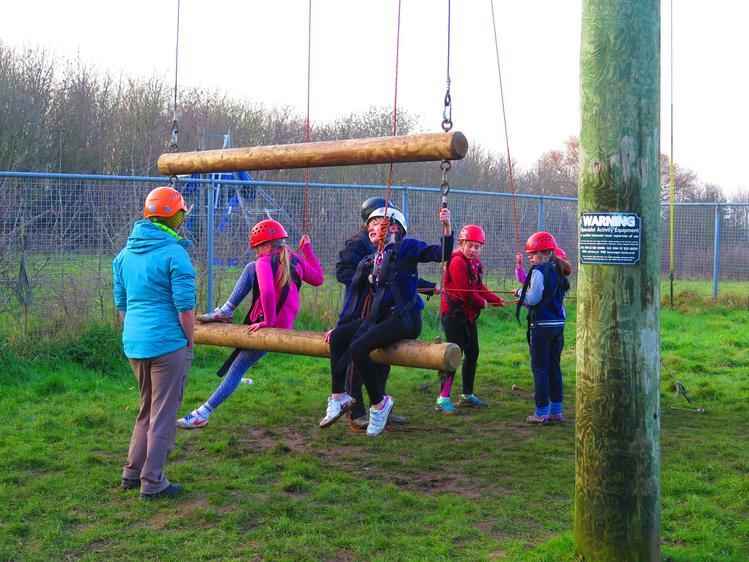 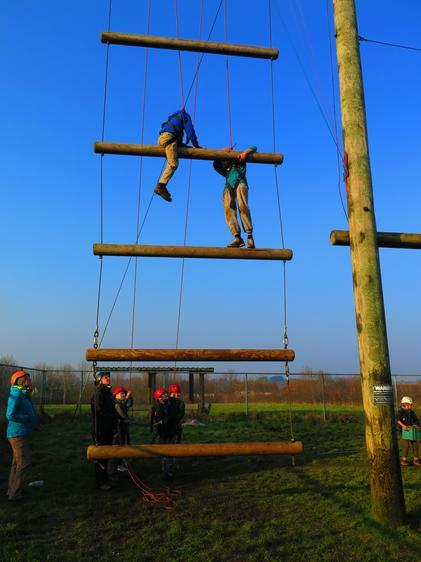 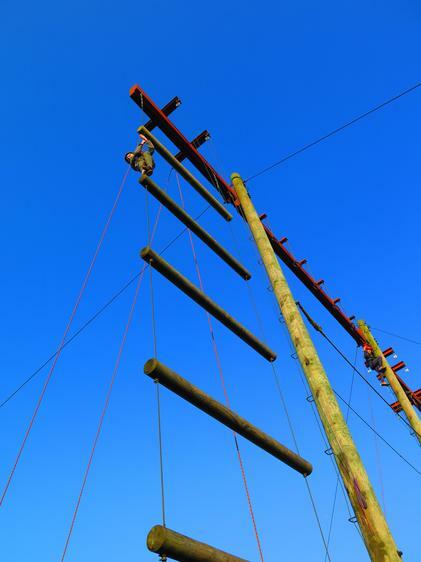 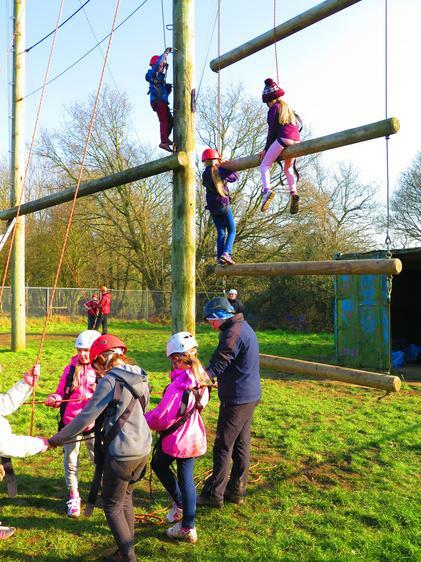 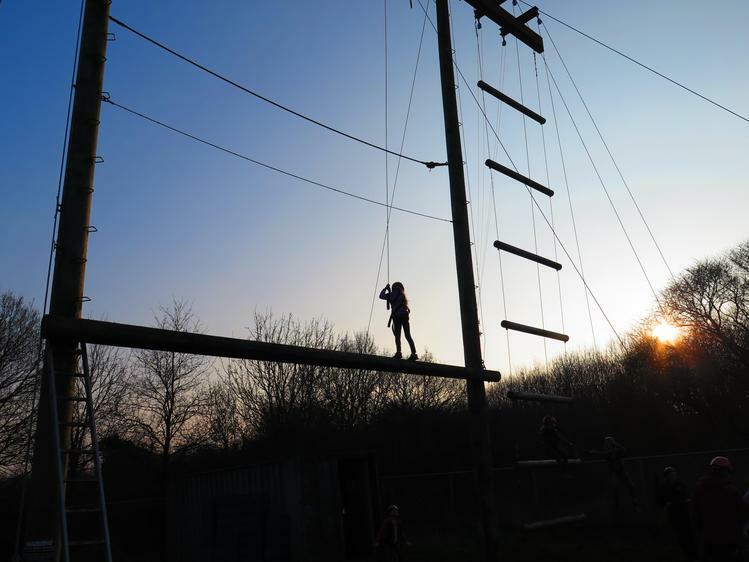 The maximum height of the high ropes was over 13 meters off the ground. 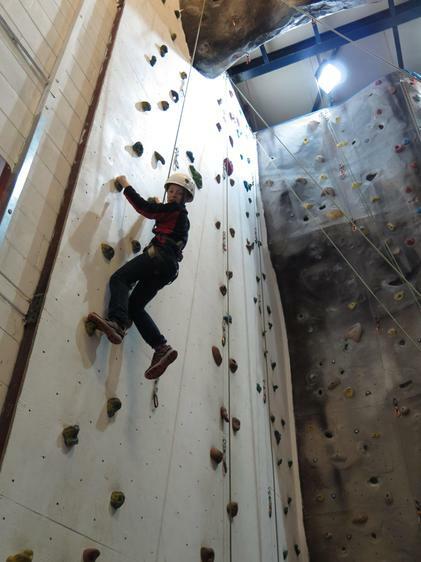 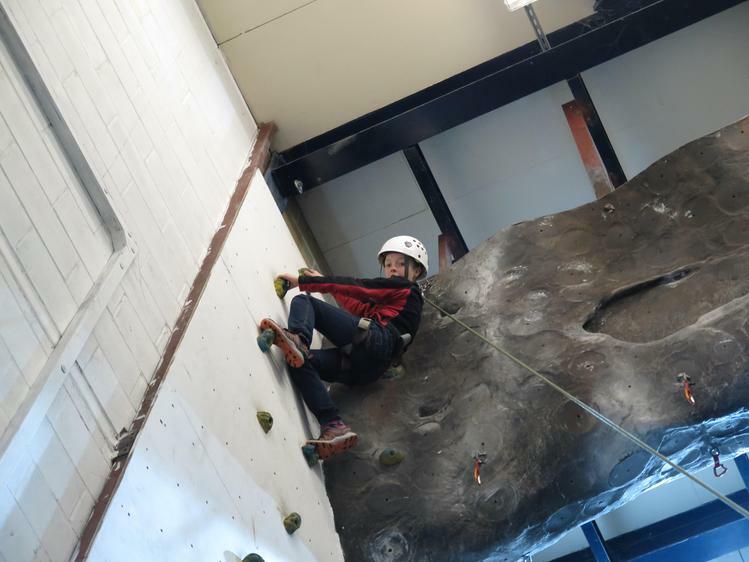 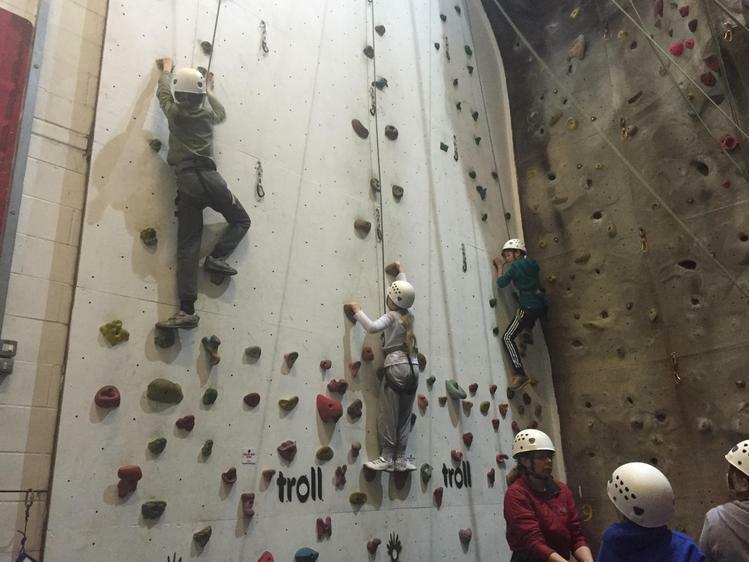 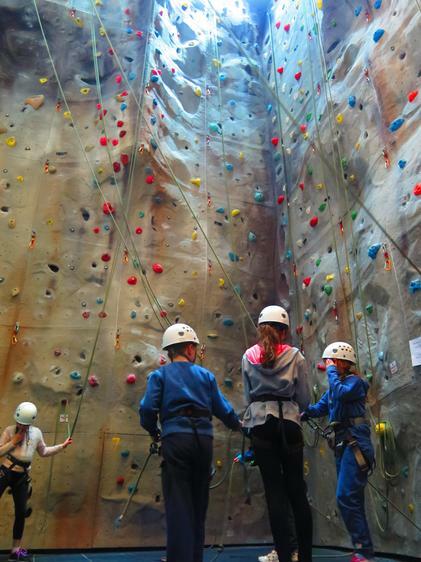 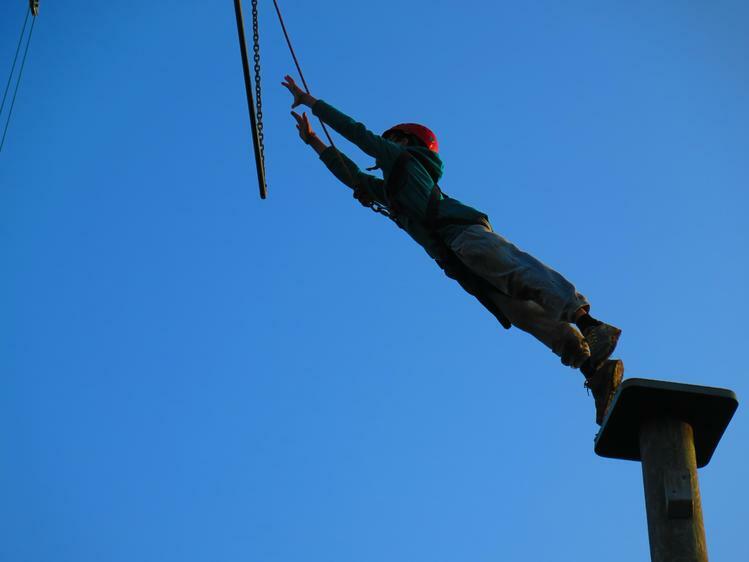 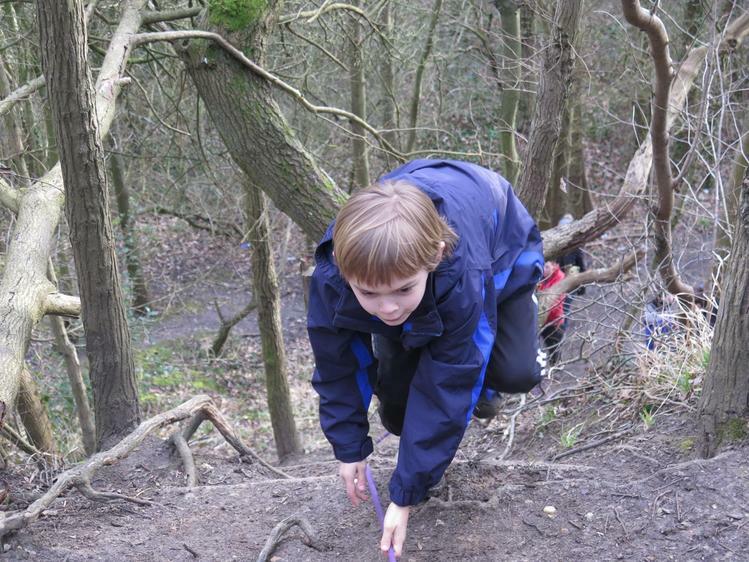 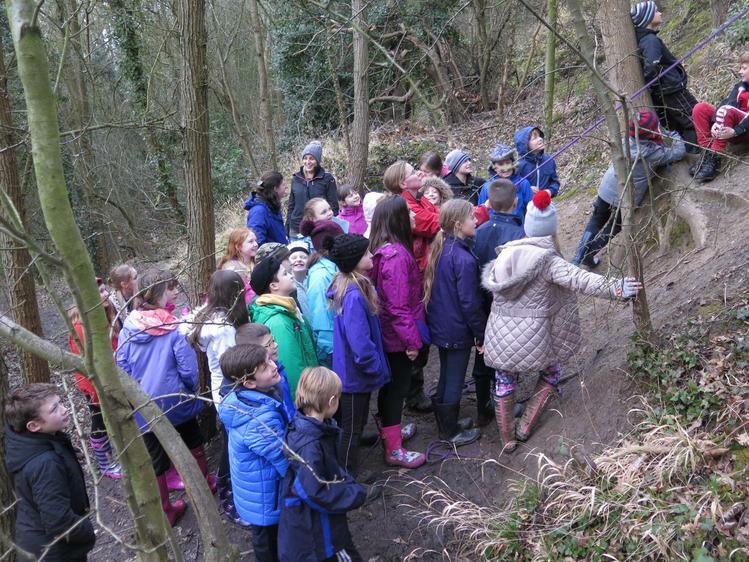 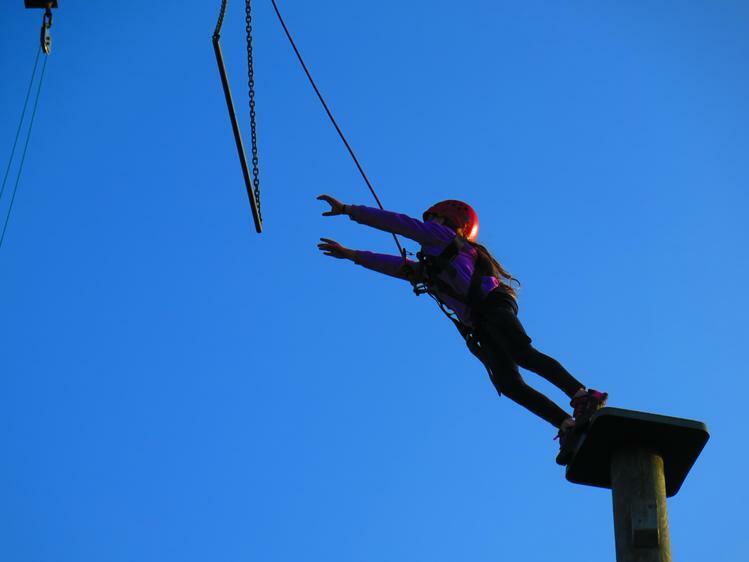 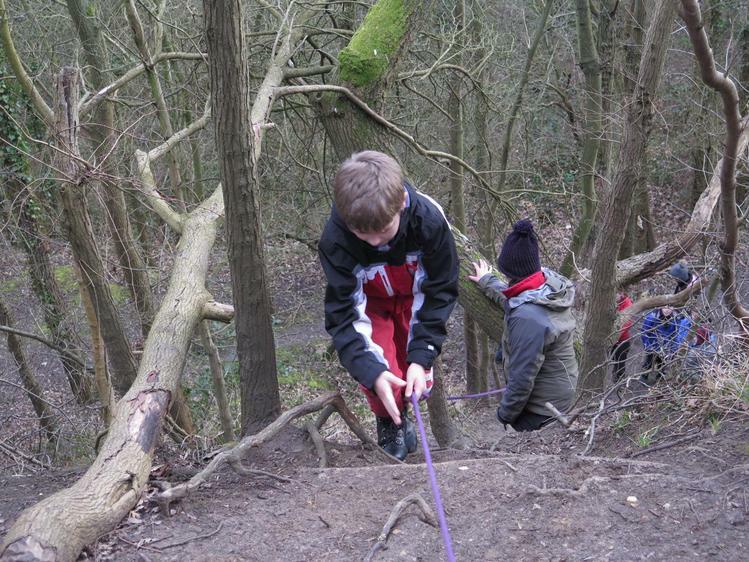 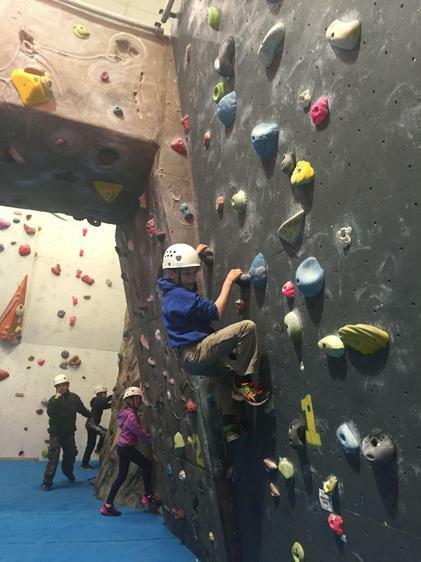 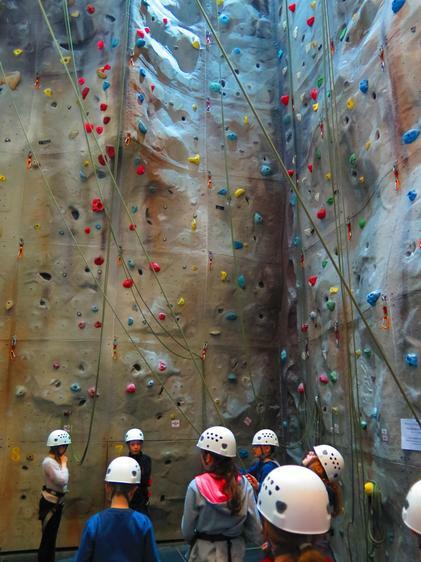 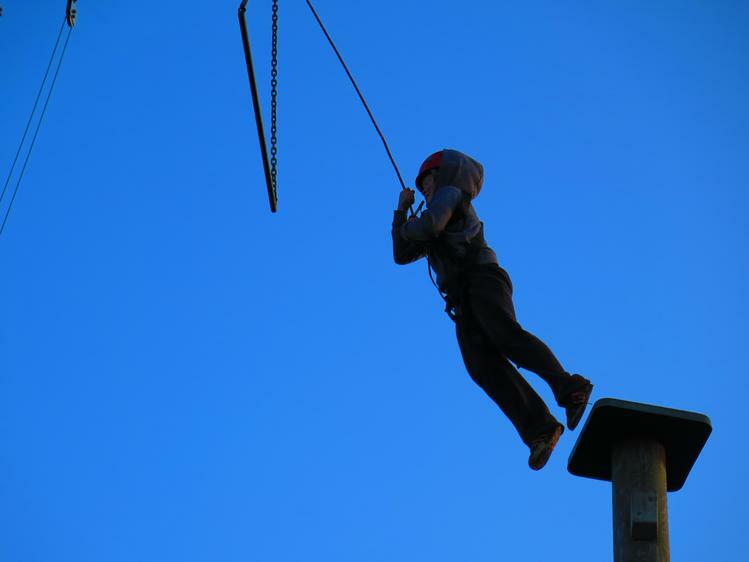 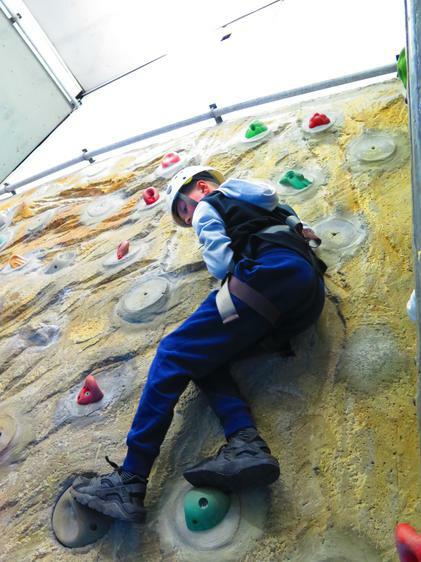 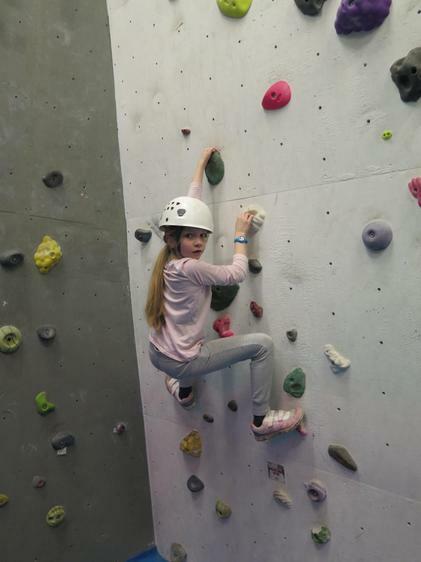 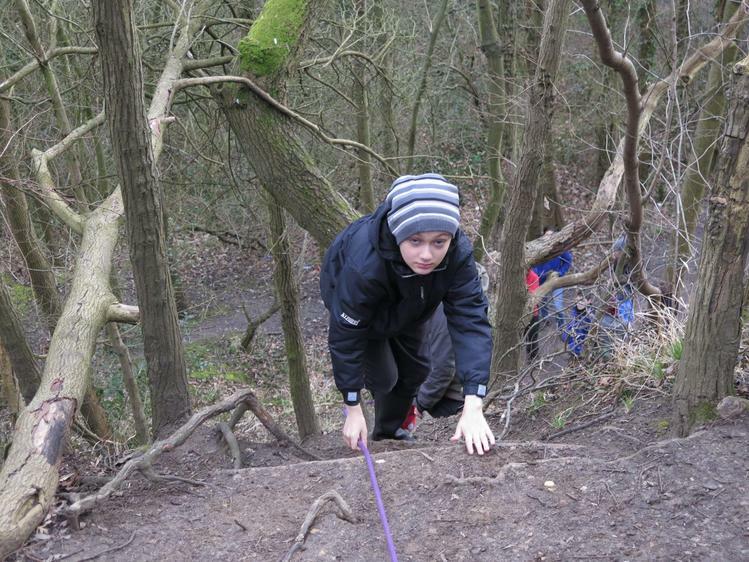 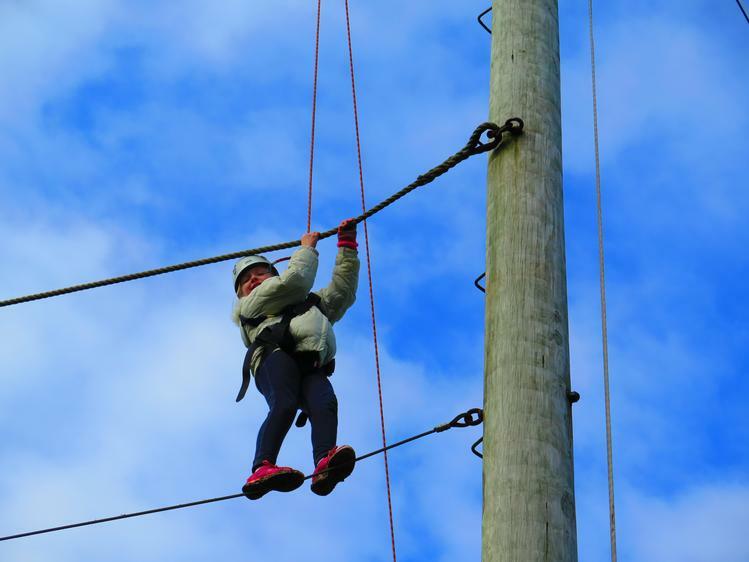 The leap of faith that the children had to climb was at a height of 11 meters. 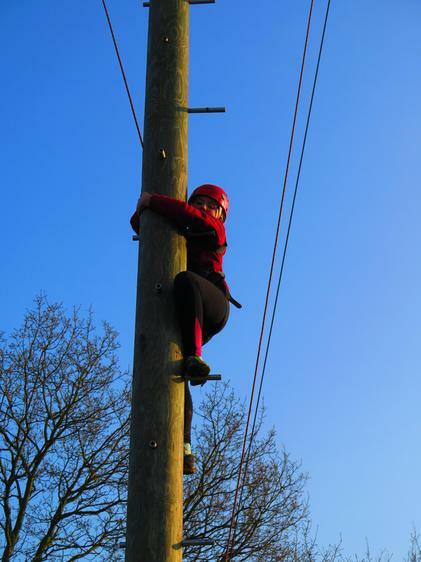 The pole was wobbly at the top. 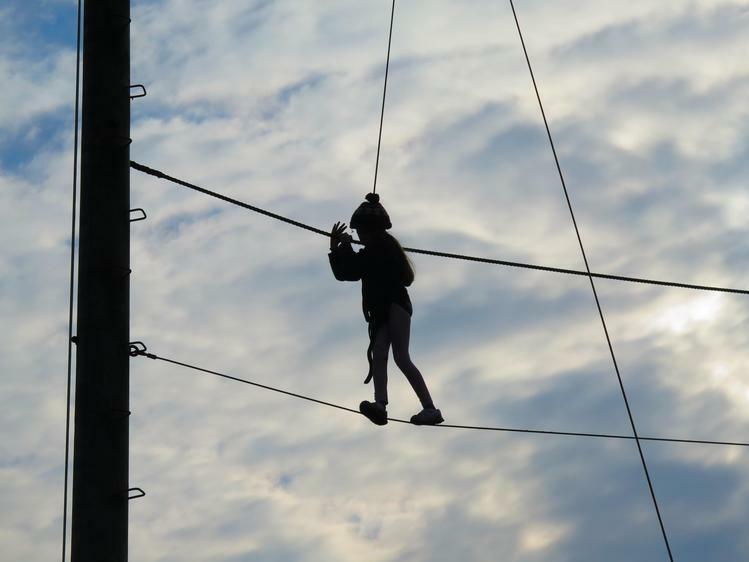 If they were able to get up onto the platform, they then had to throw themselves off towards the trapeze that was almost 3 meters away! 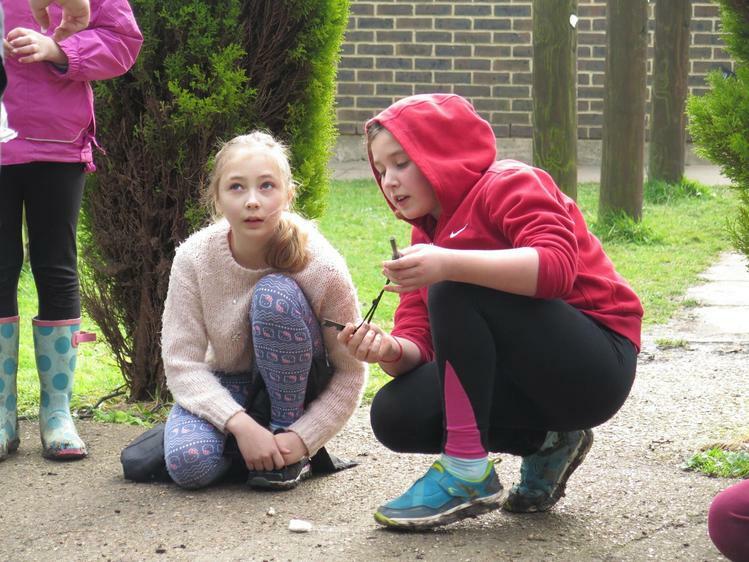 Enjoy the photos and I assure you they have all come back to base camp in one piece and are very much looking forward to seeing you all tomorrow.